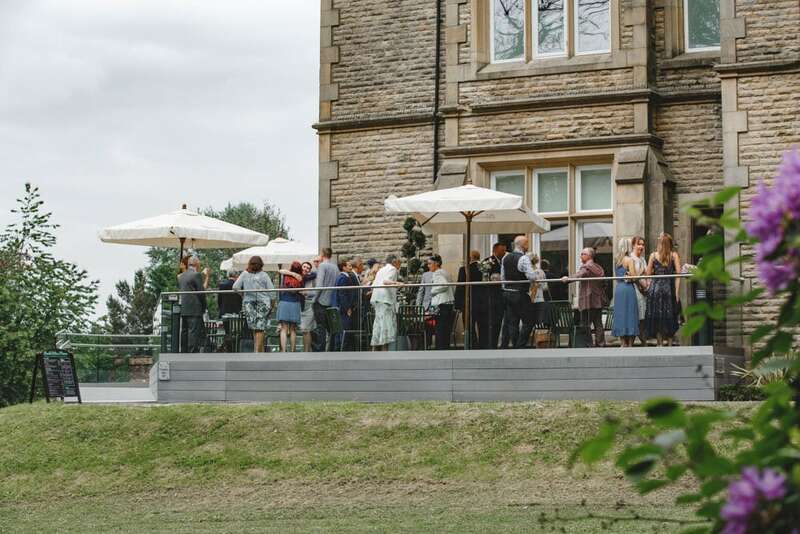 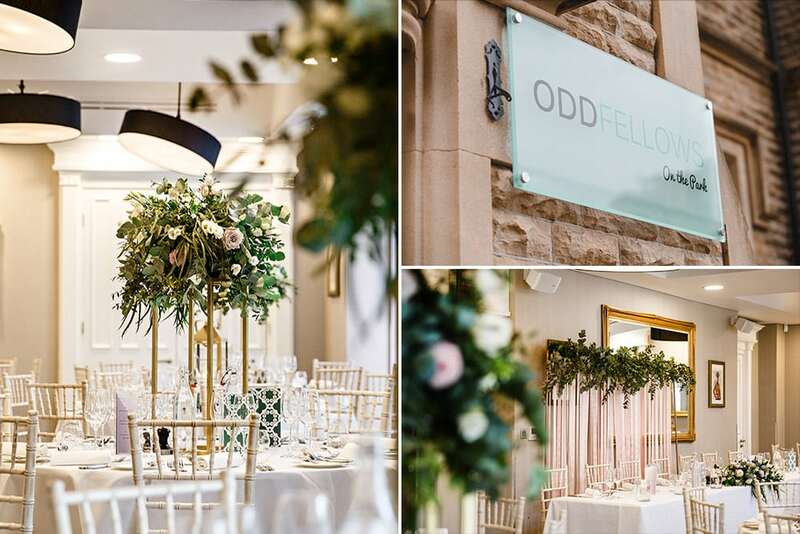 Oddfellows On The Park, what a place, Laura + Liam certainly had amazing taste when it comes to booking their dream wedding venue. 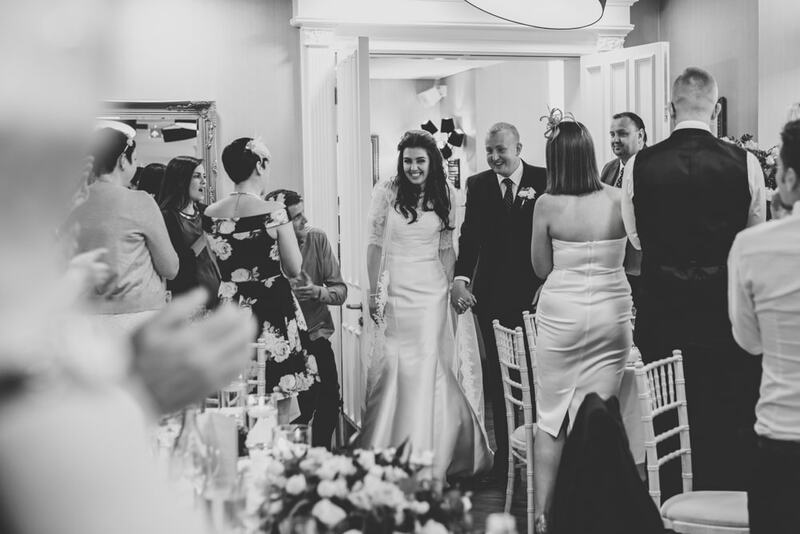 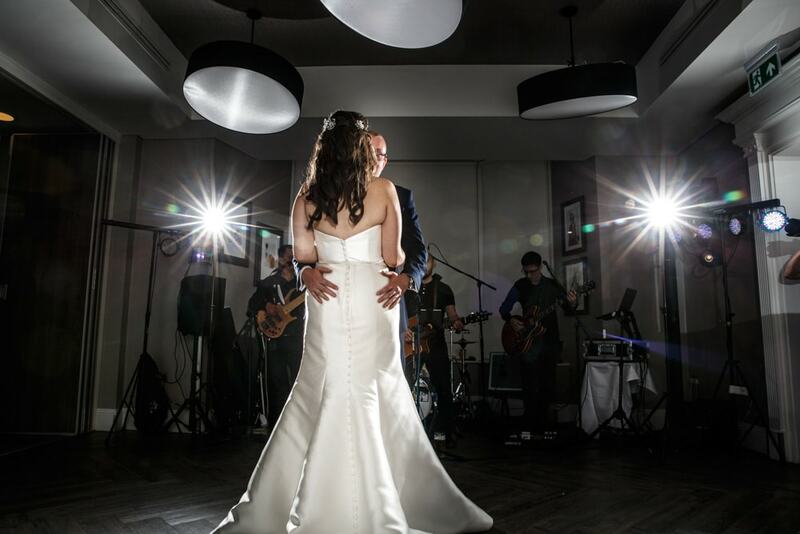 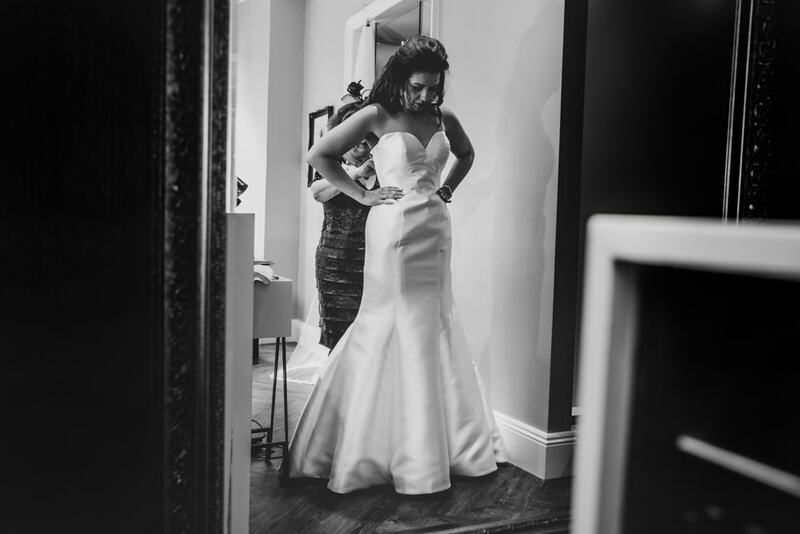 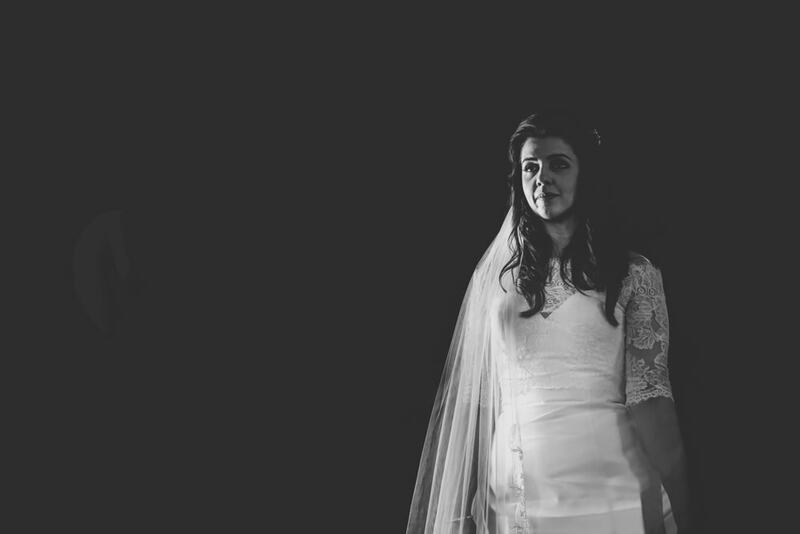 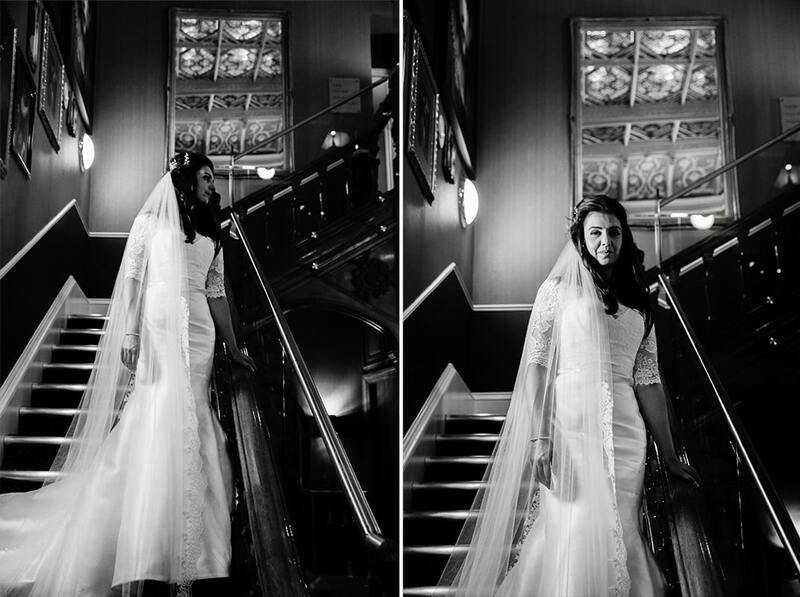 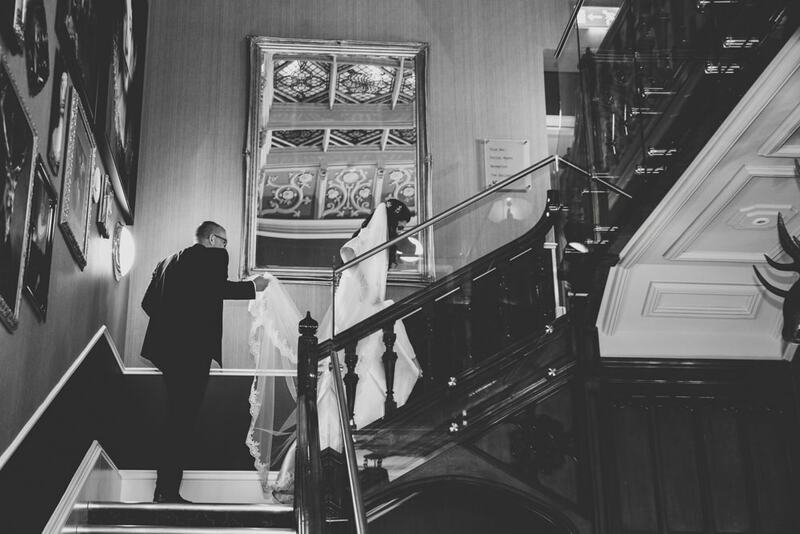 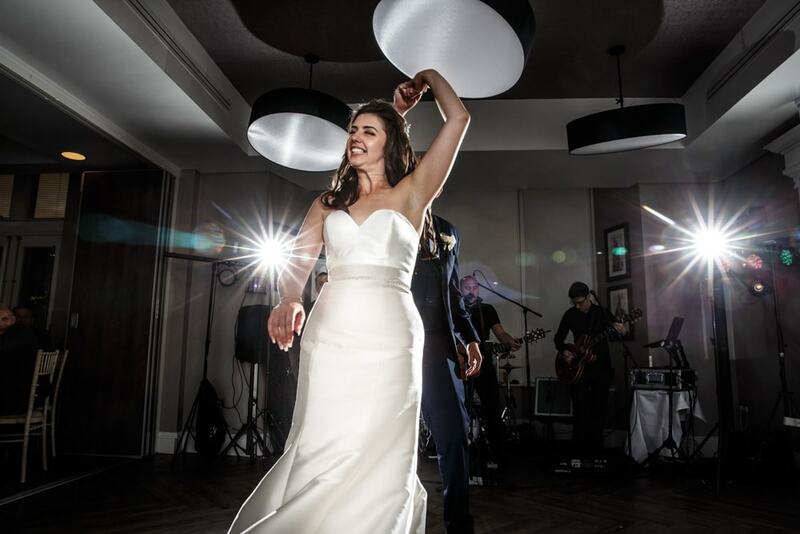 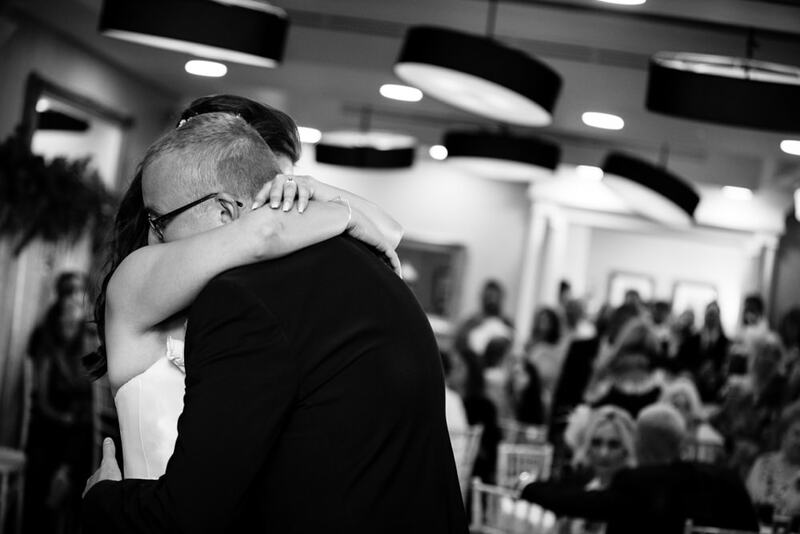 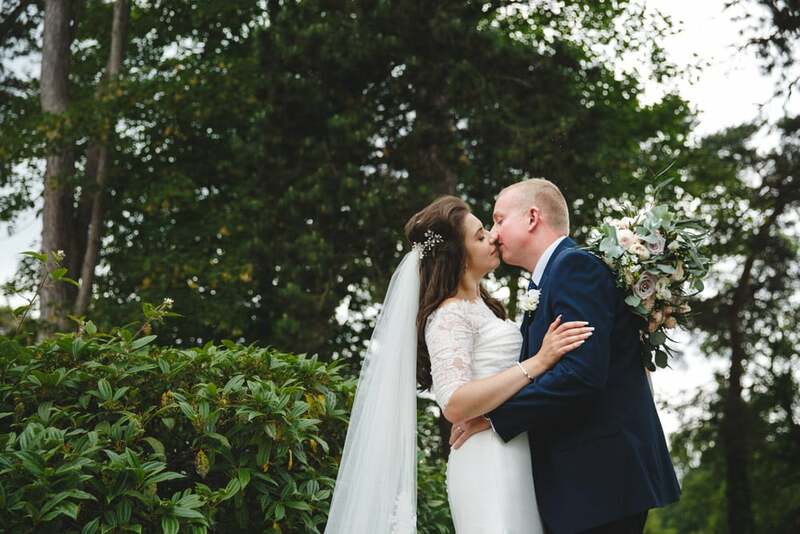 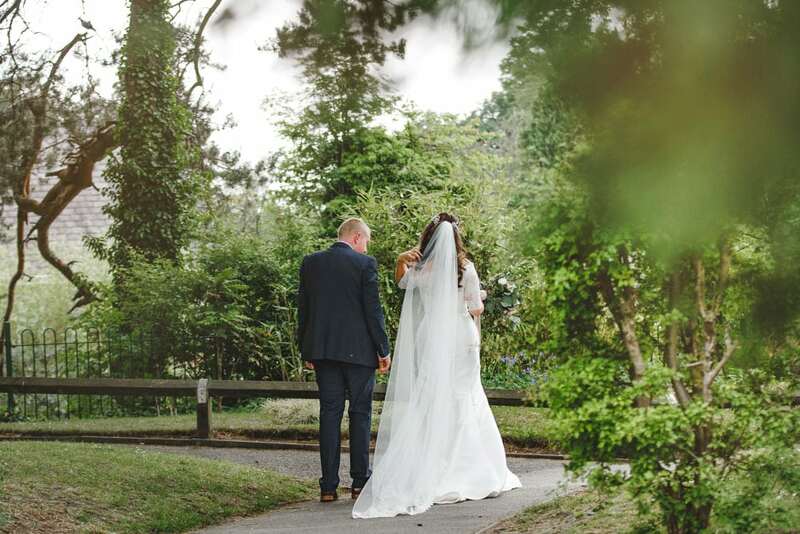 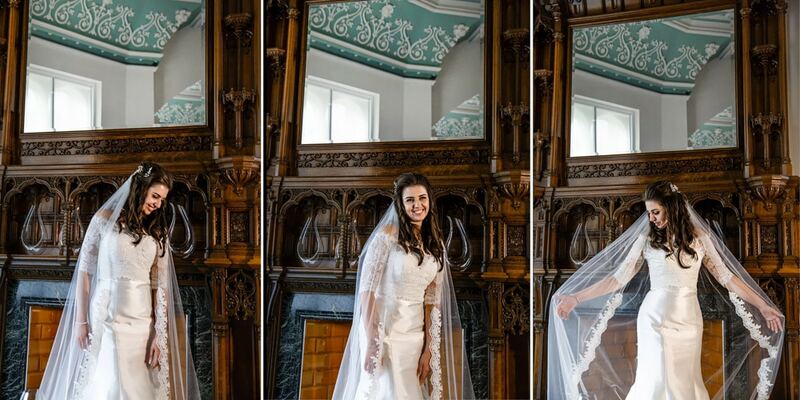 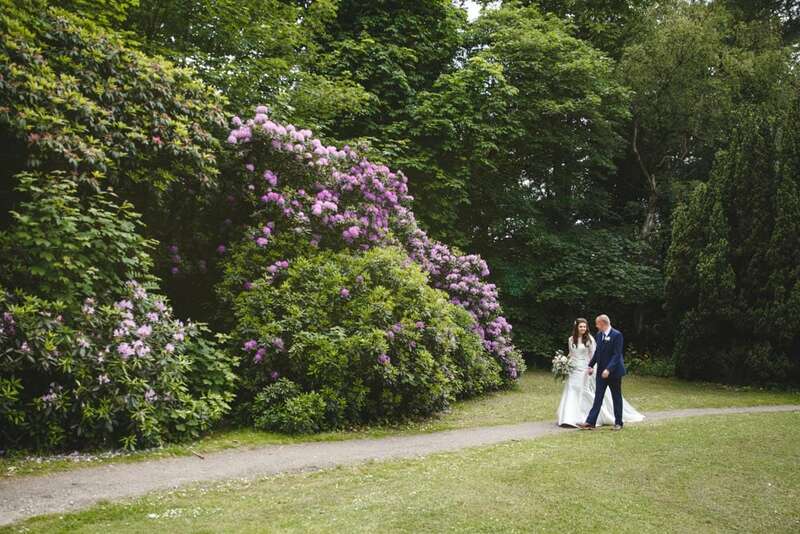 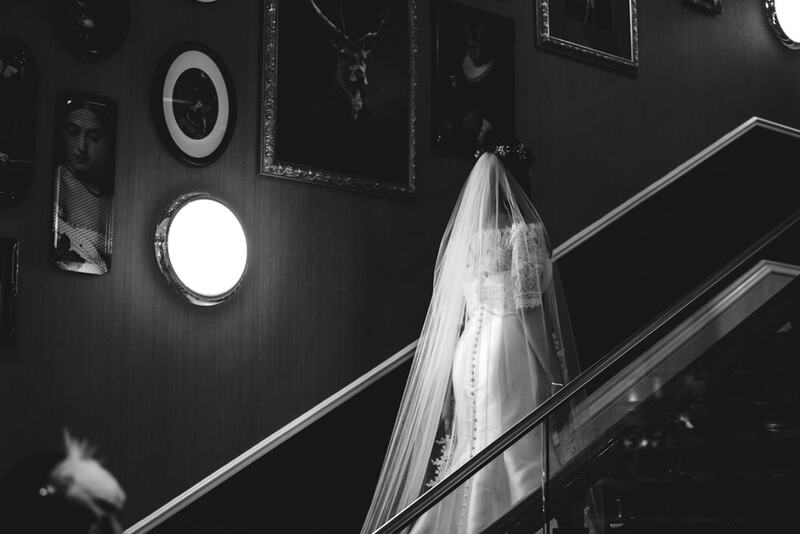 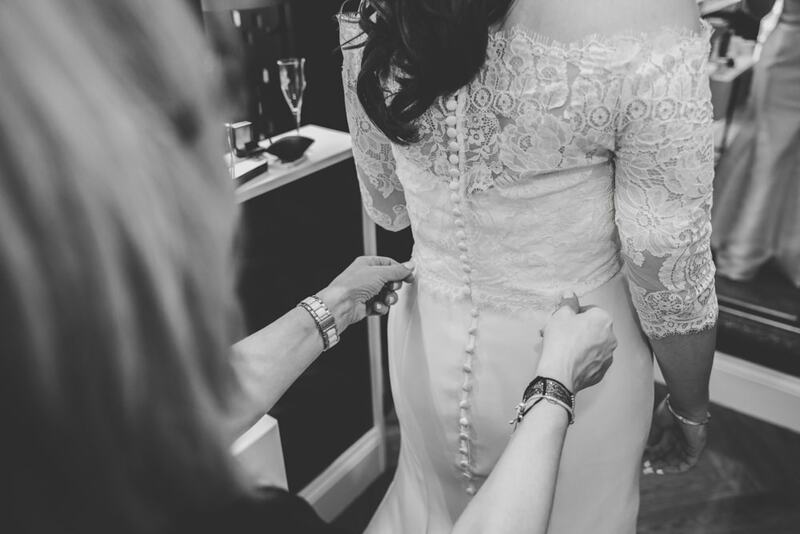 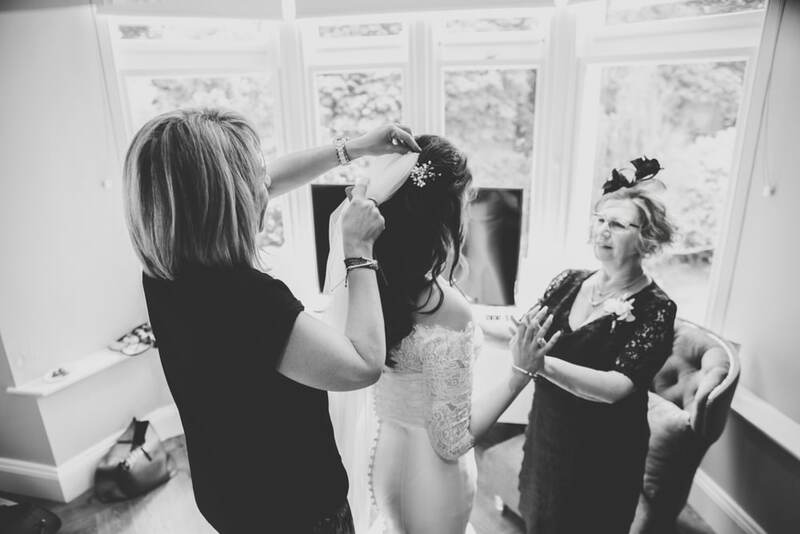 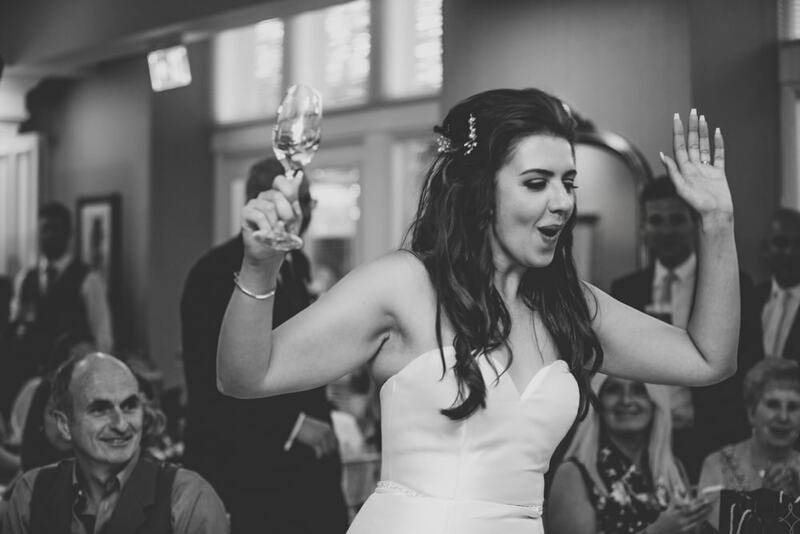 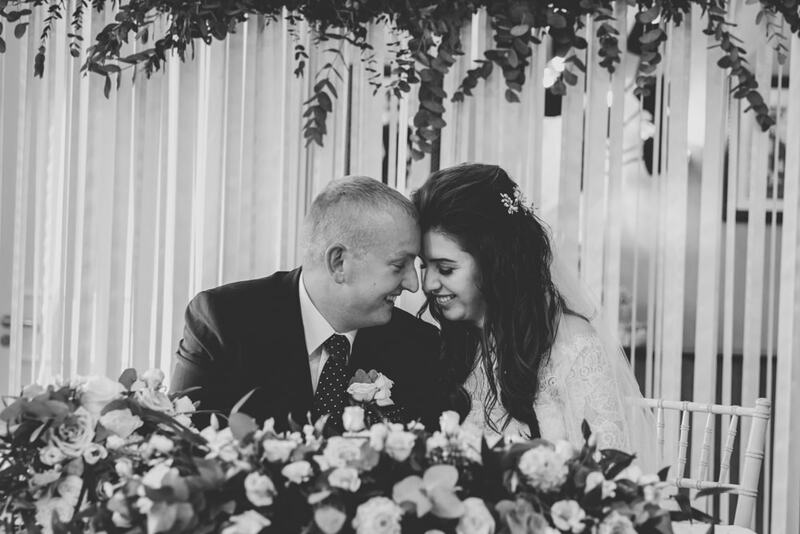 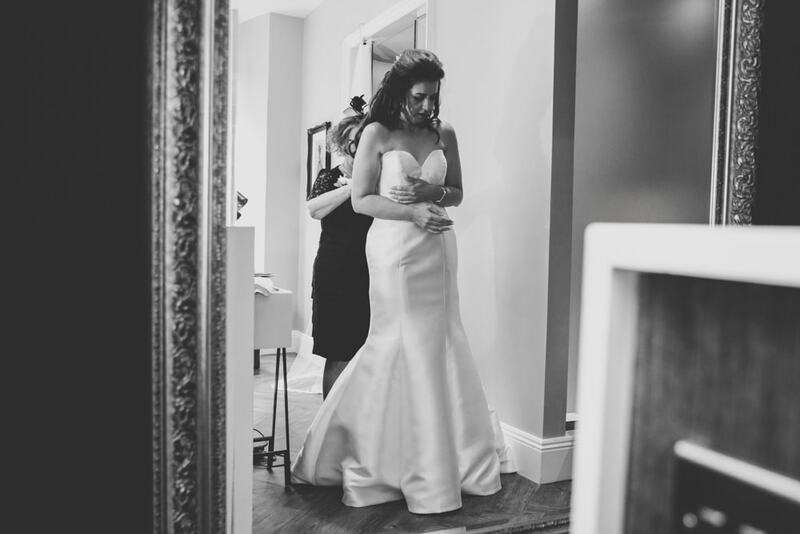 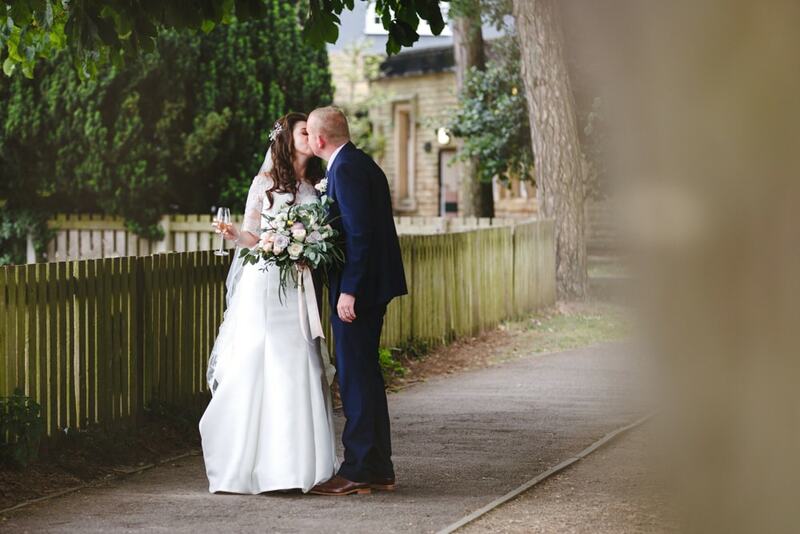 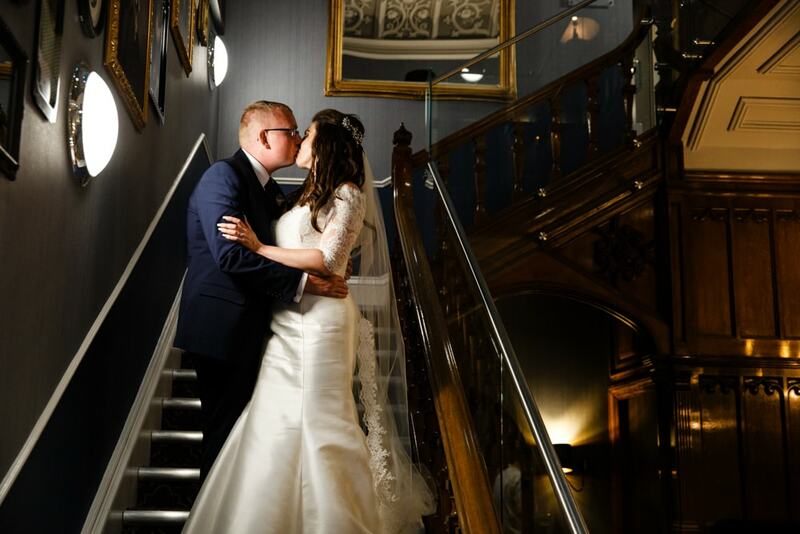 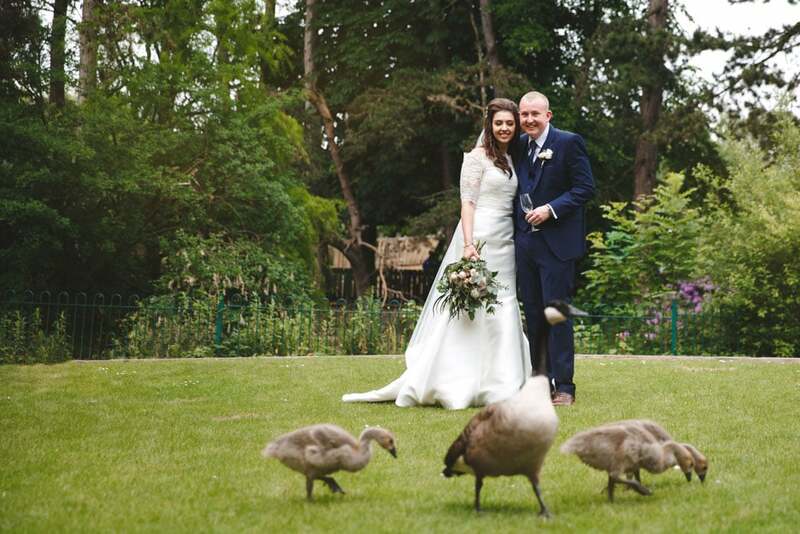 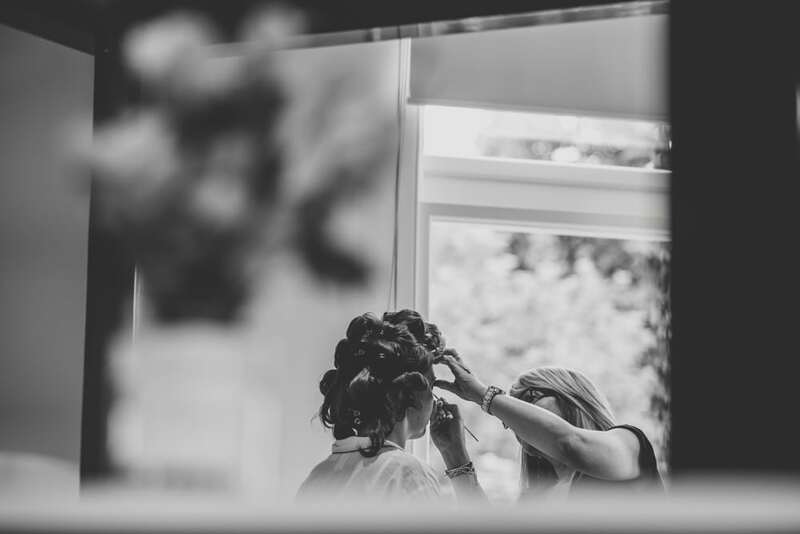 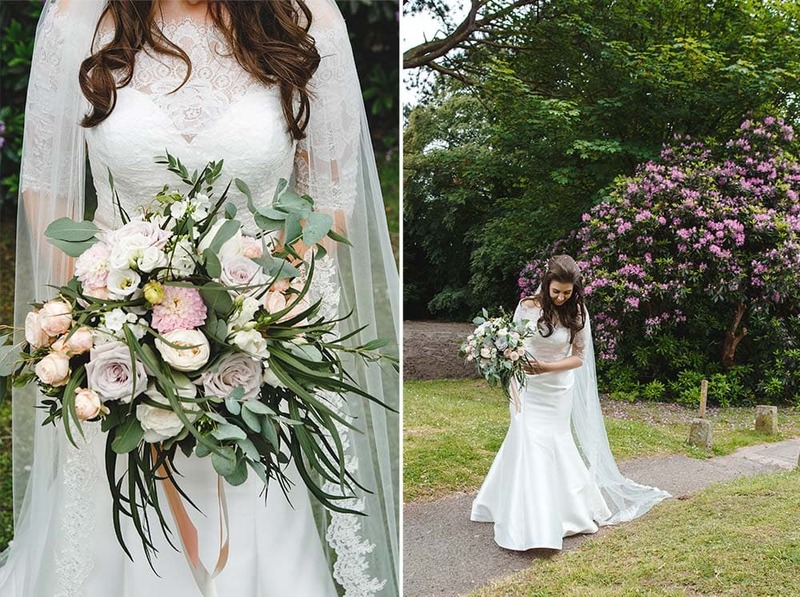 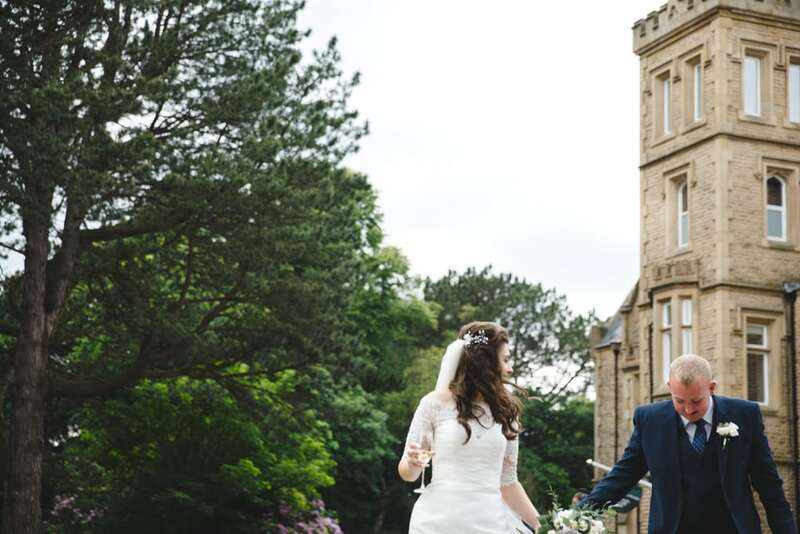 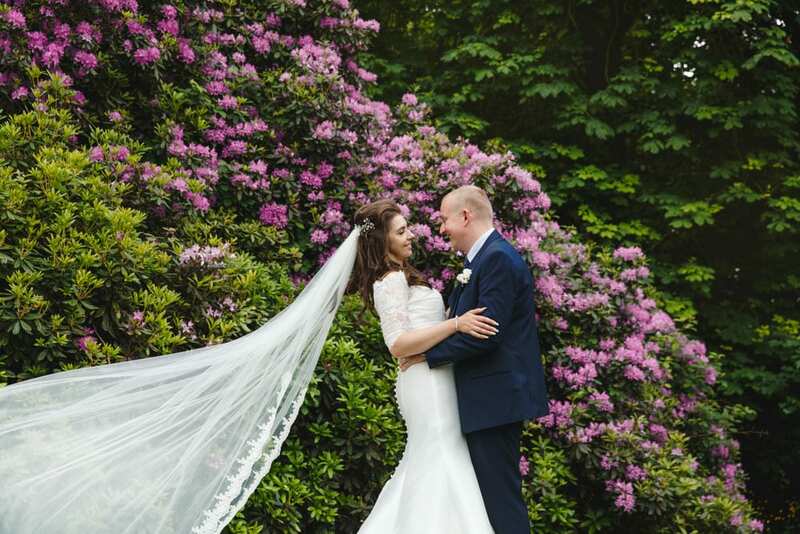 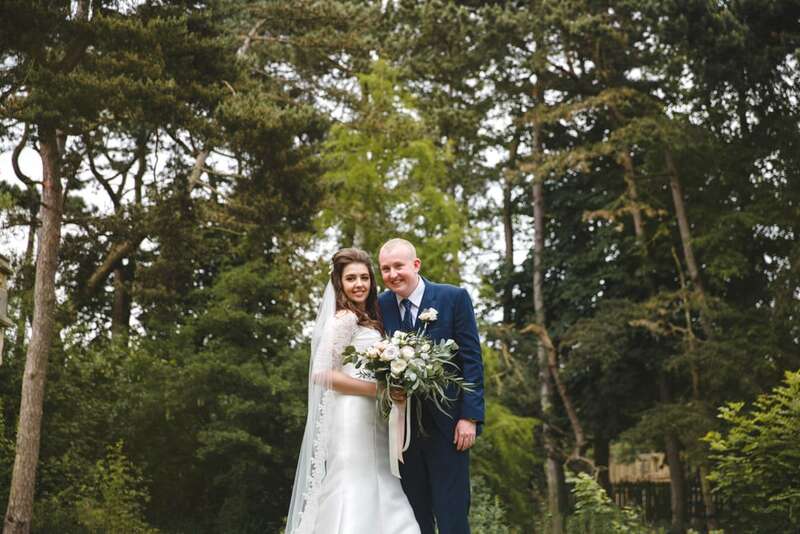 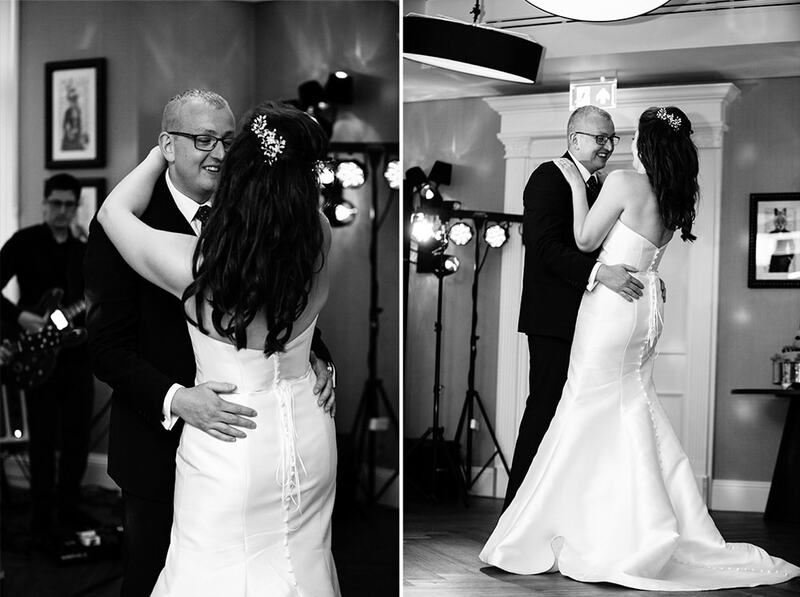 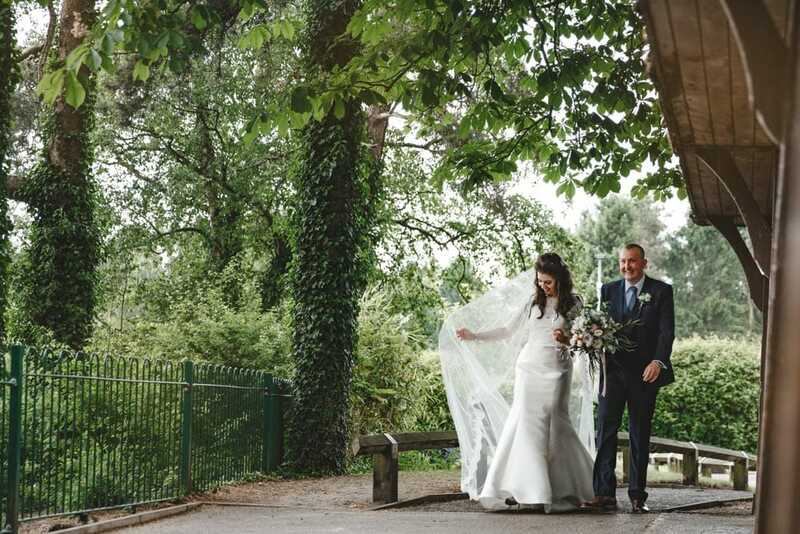 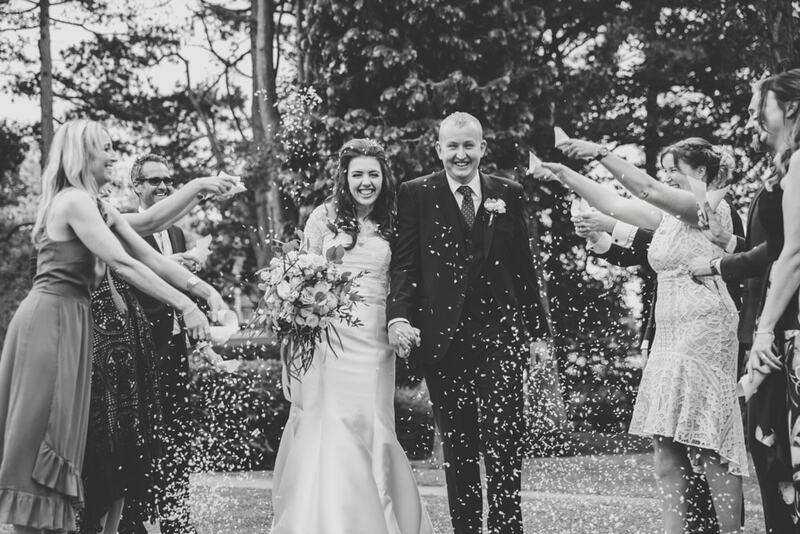 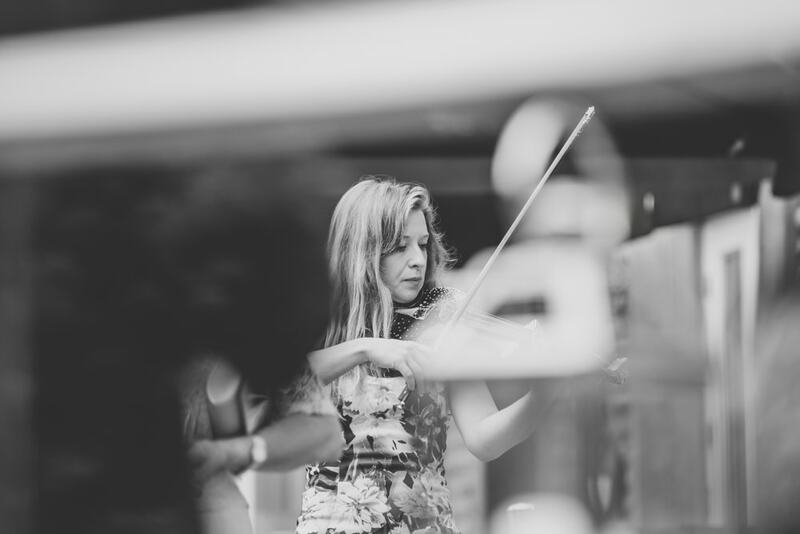 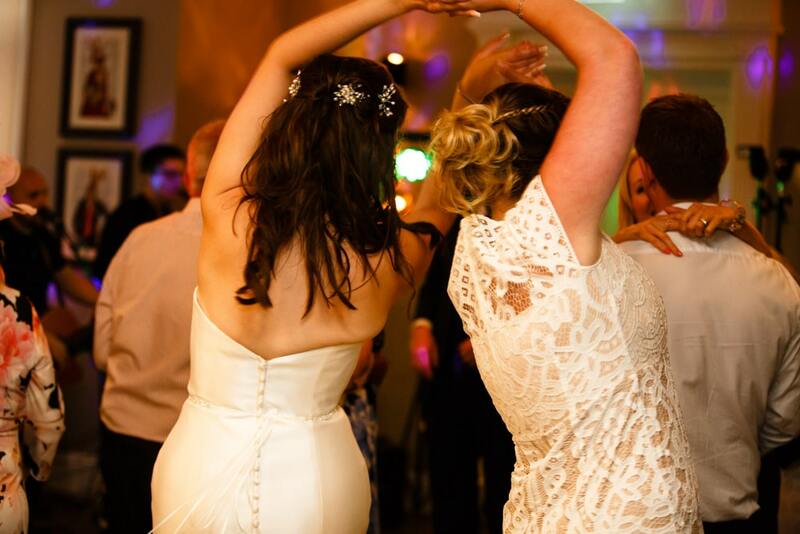 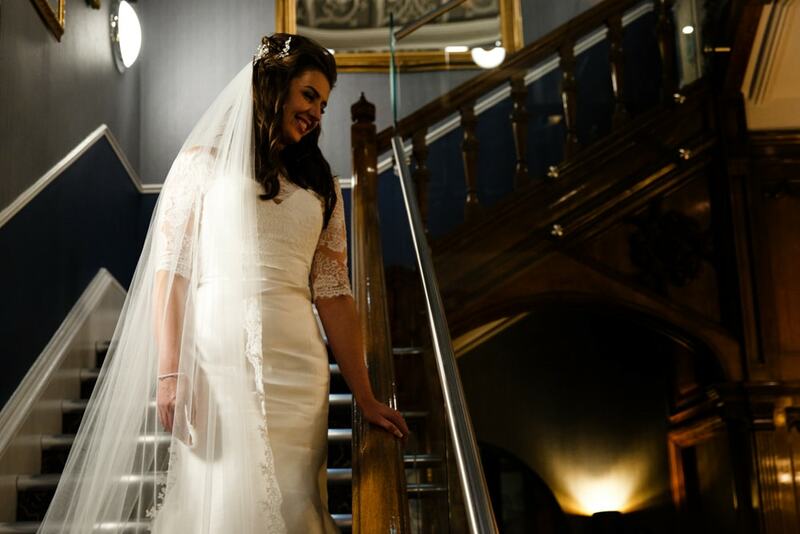 The venue had charm and character with an edge, such a fantastic place and it suited Laura + Liam perfectly. 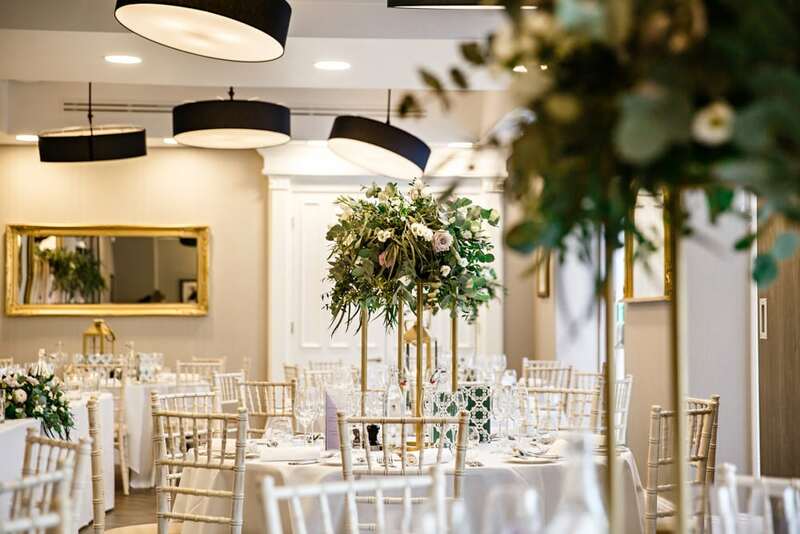 The venue certainly is something different, even the lampshades aren’t sure which was they are supposed to be which gives it a real charm. 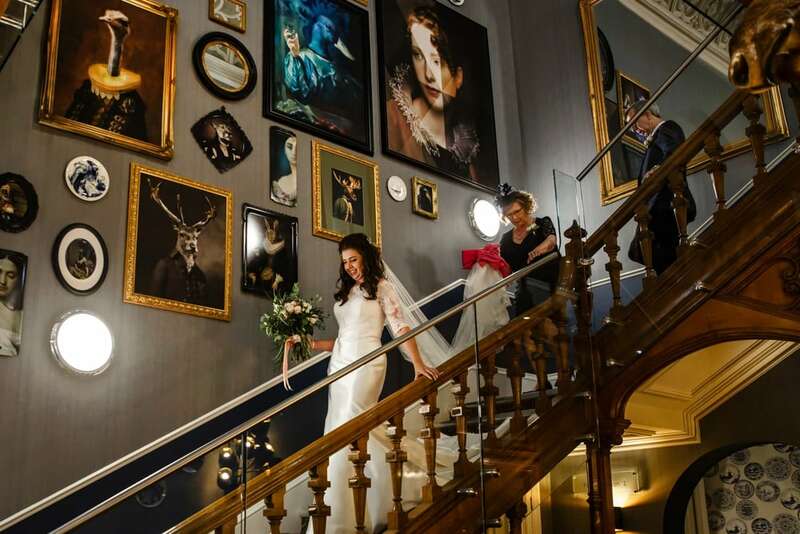 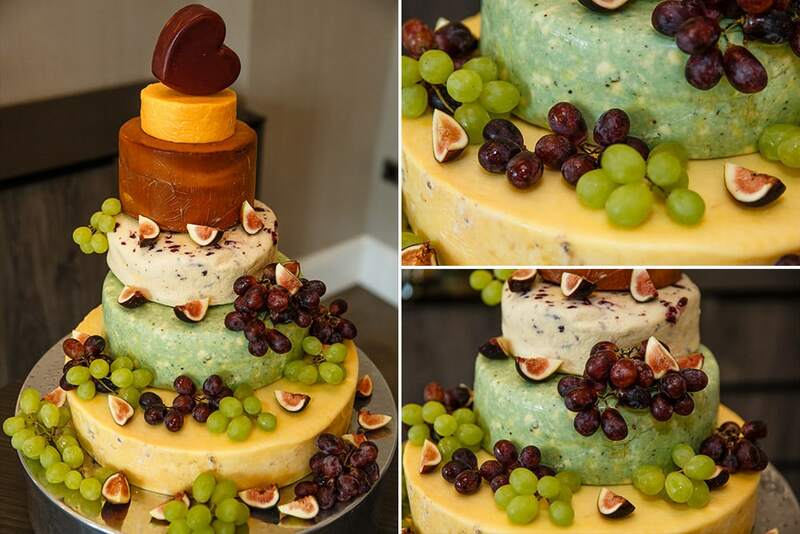 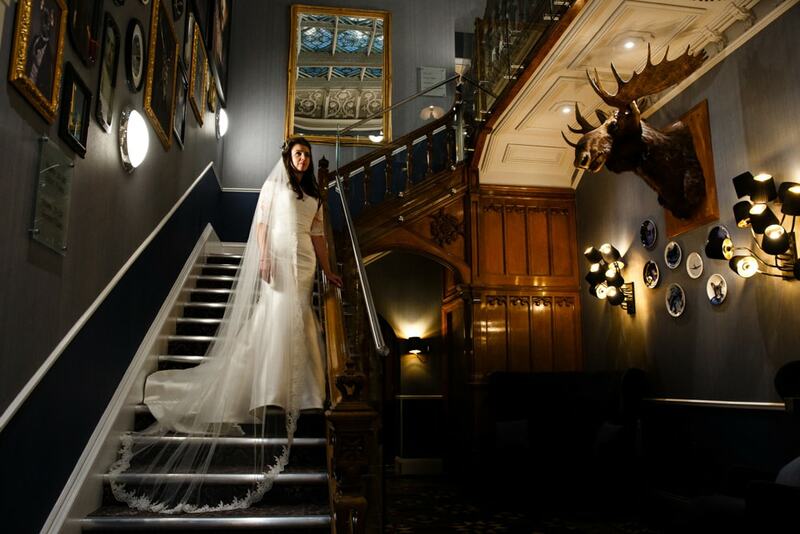 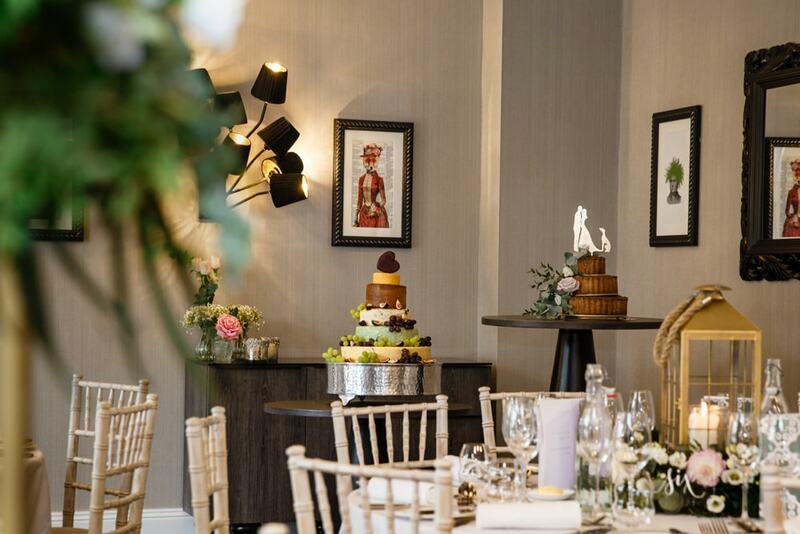 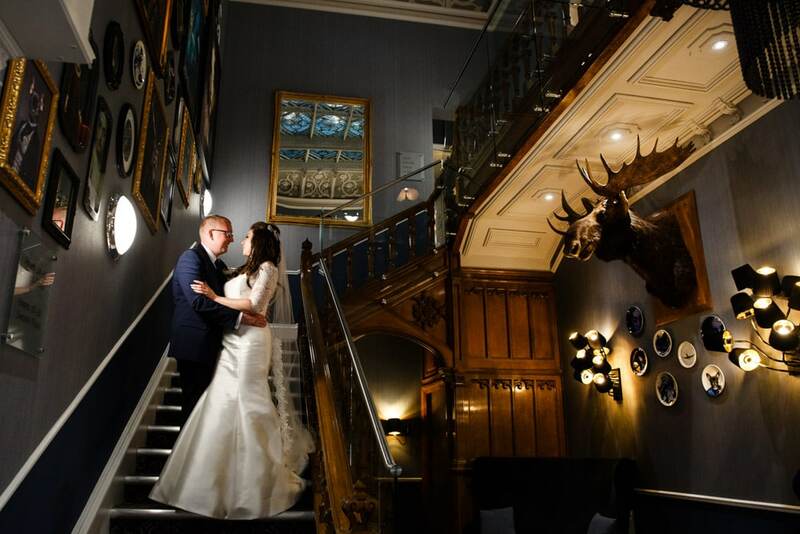 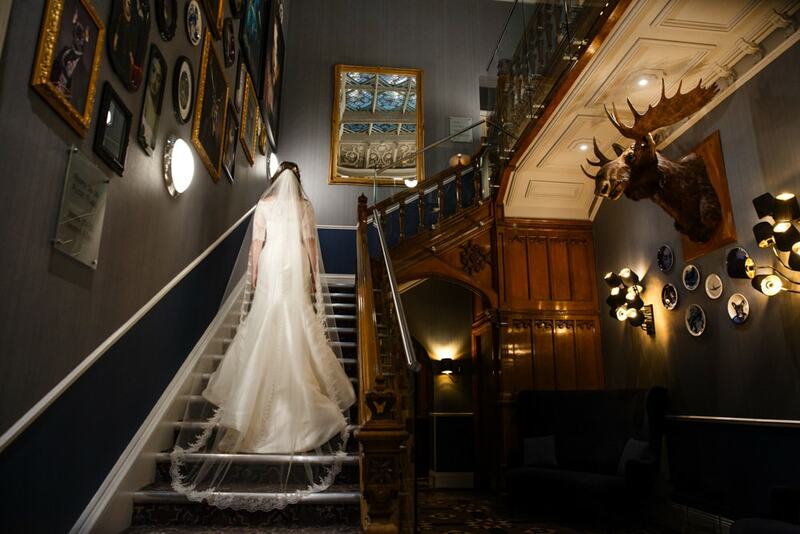 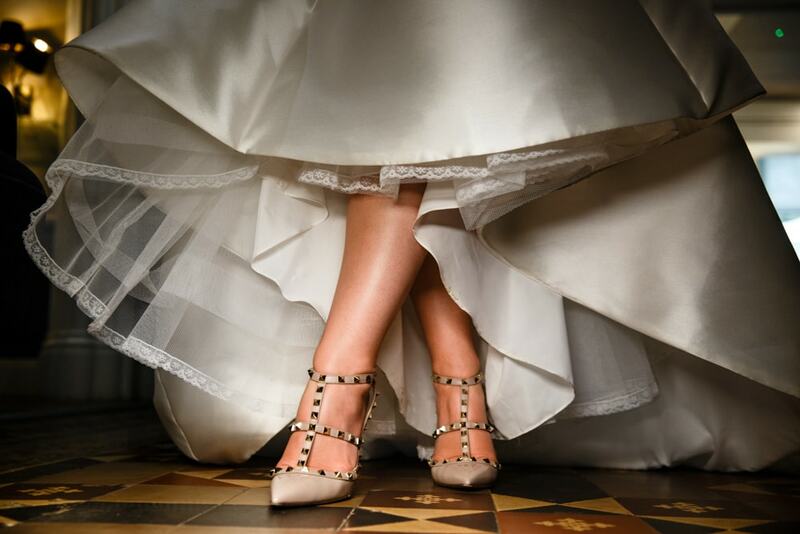 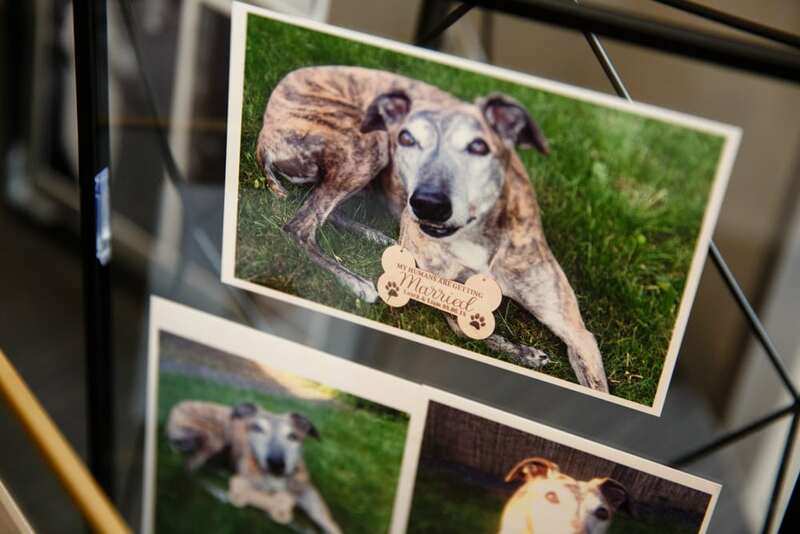 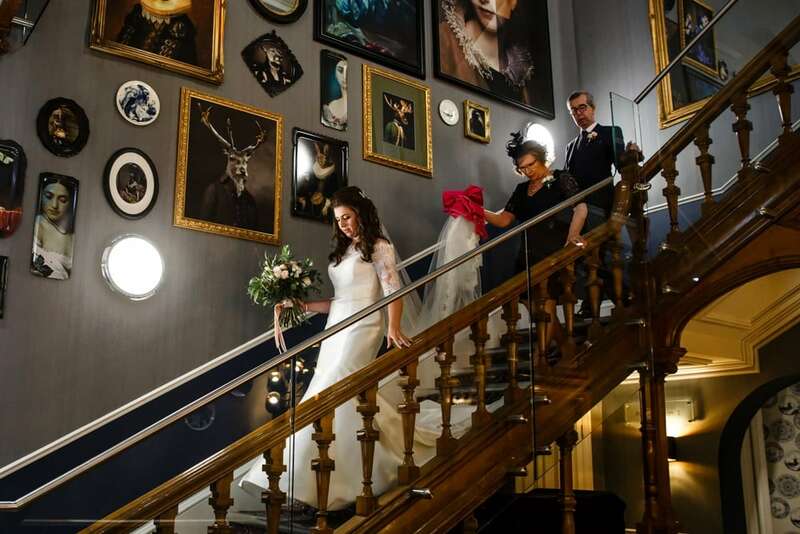 The wedding venue has the grandure you’d expect in a wedding venue but with a sprinkle of quirky magic. 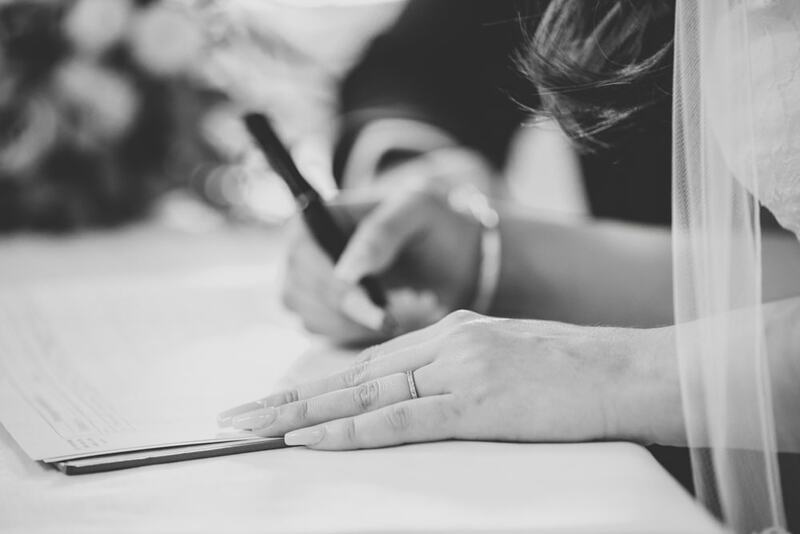 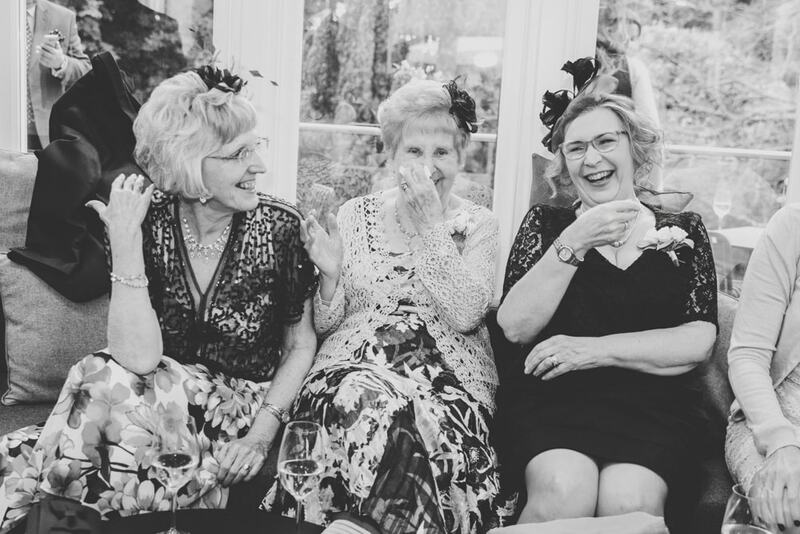 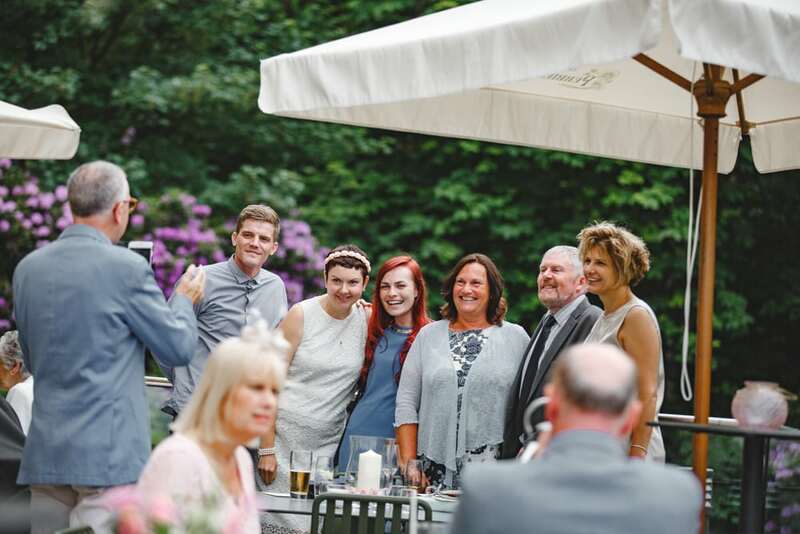 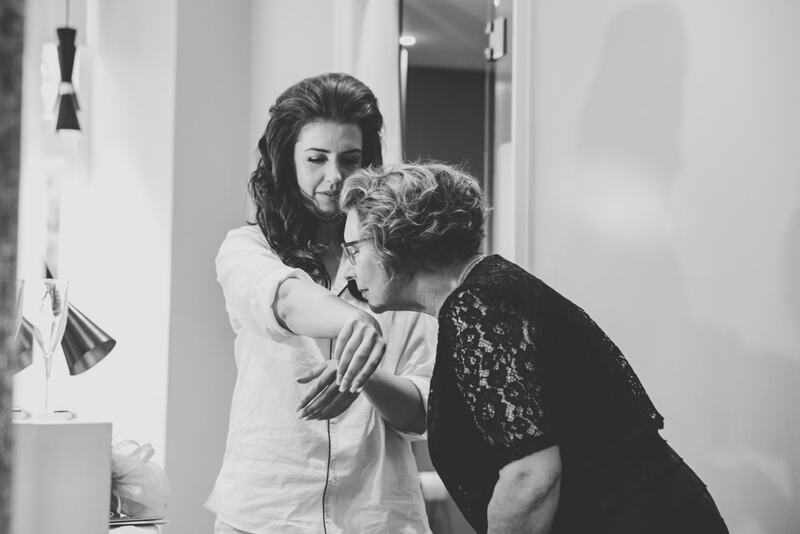 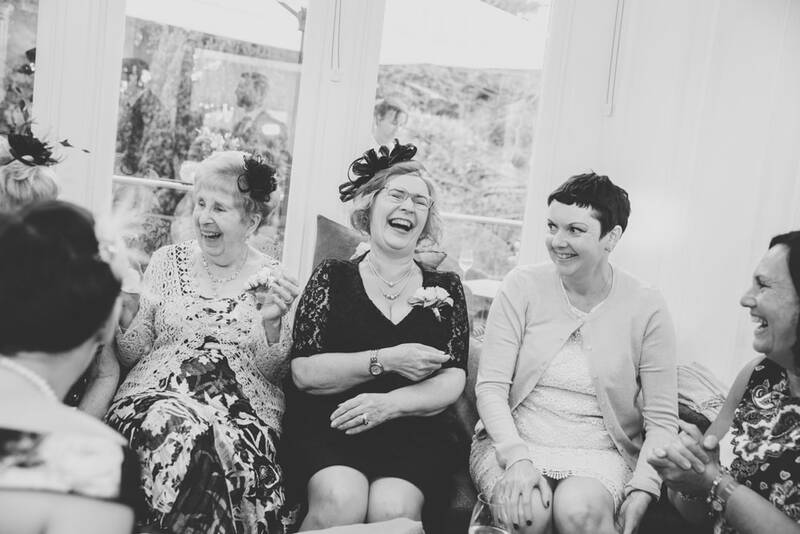 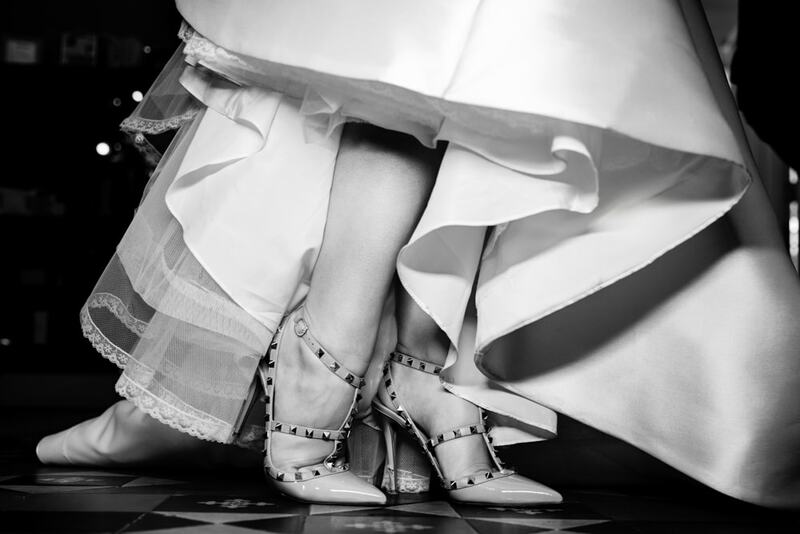 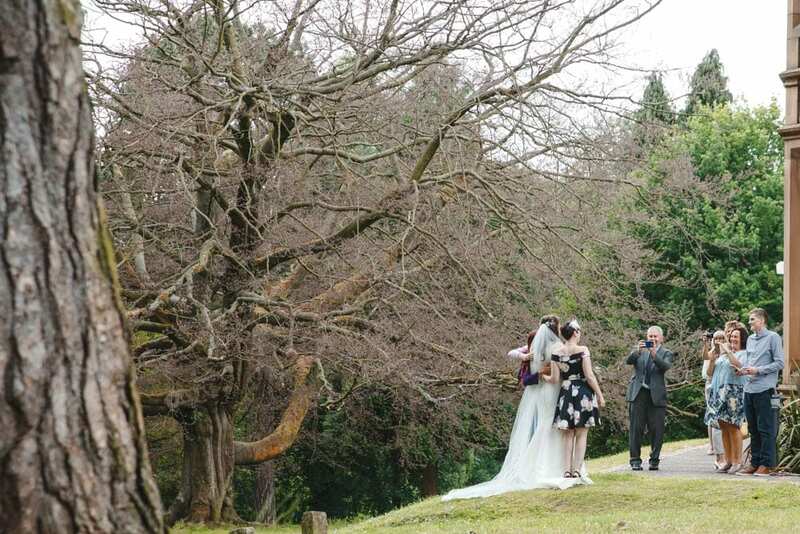 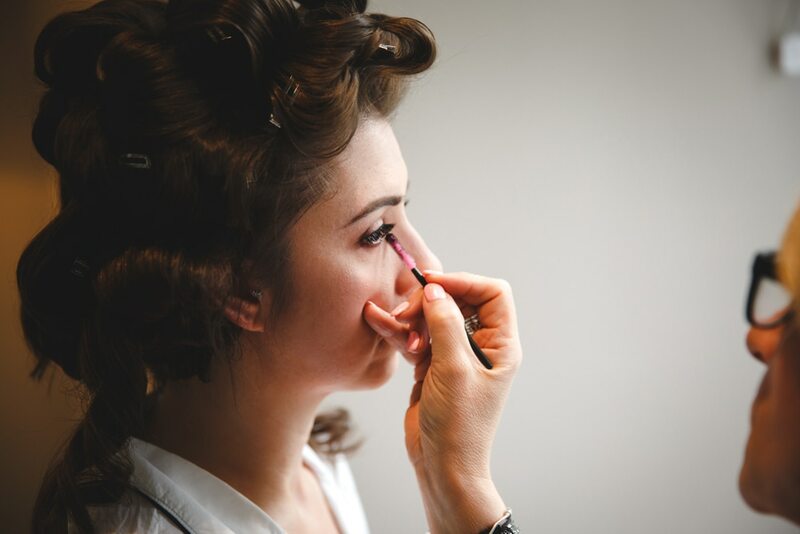 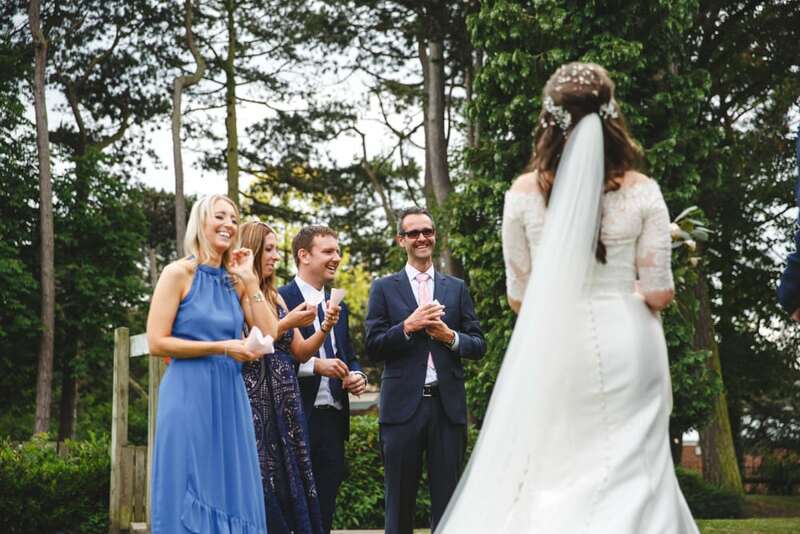 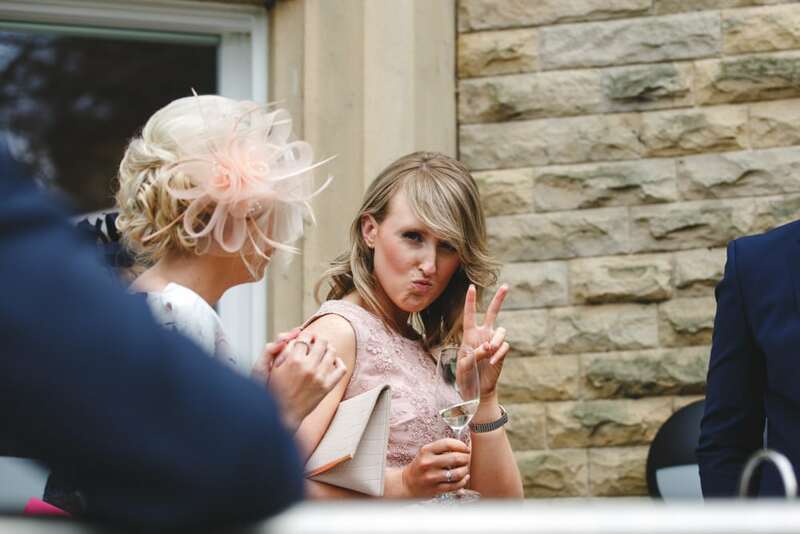 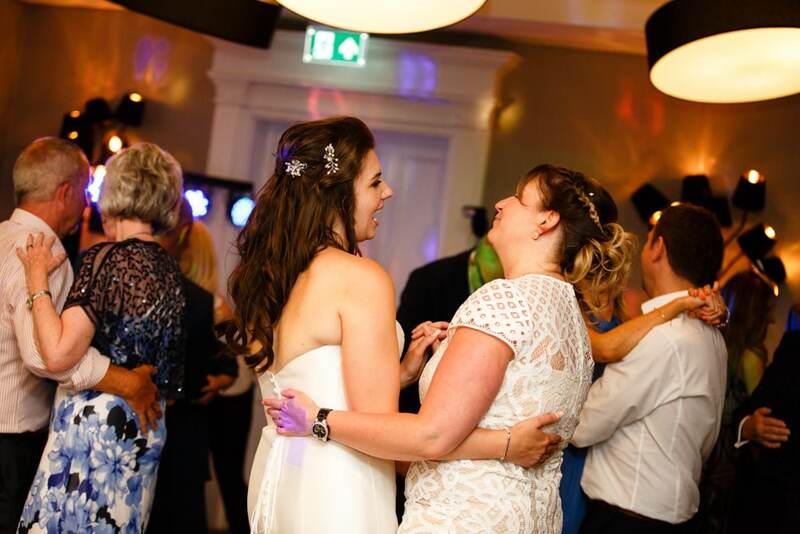 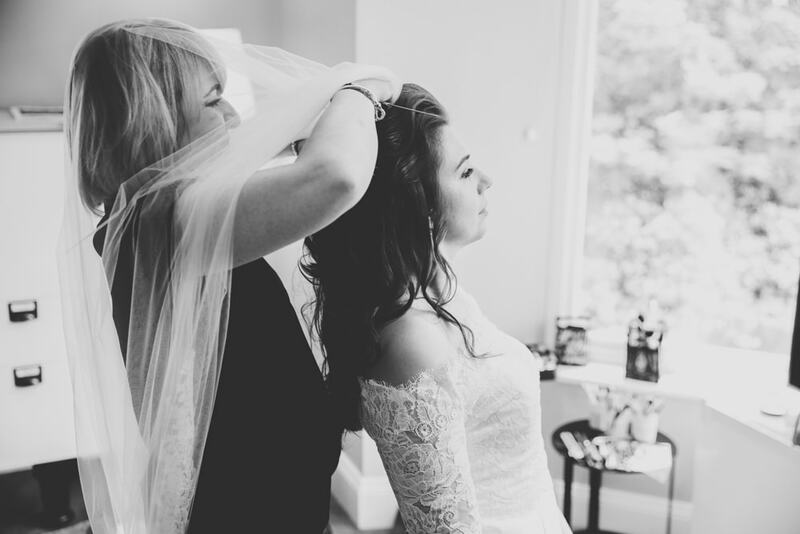 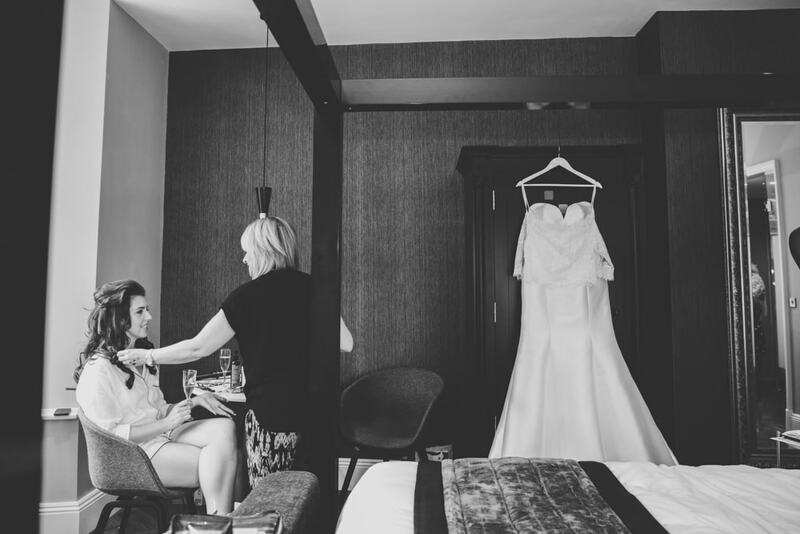 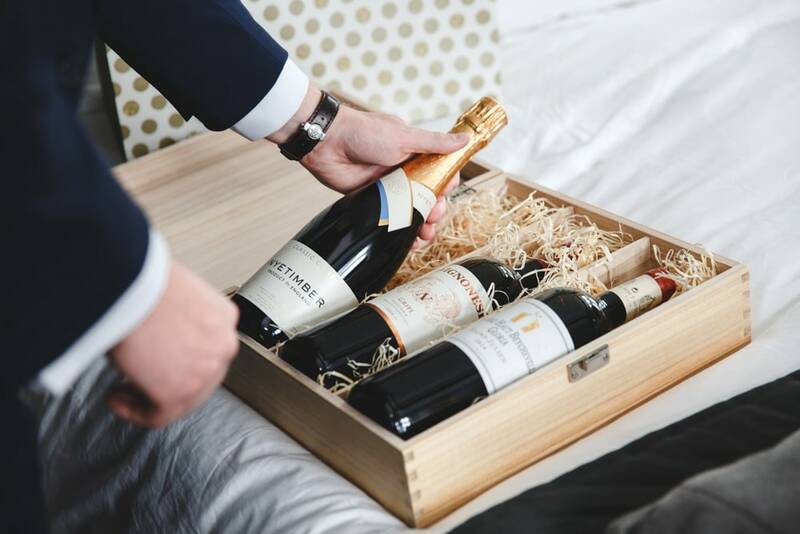 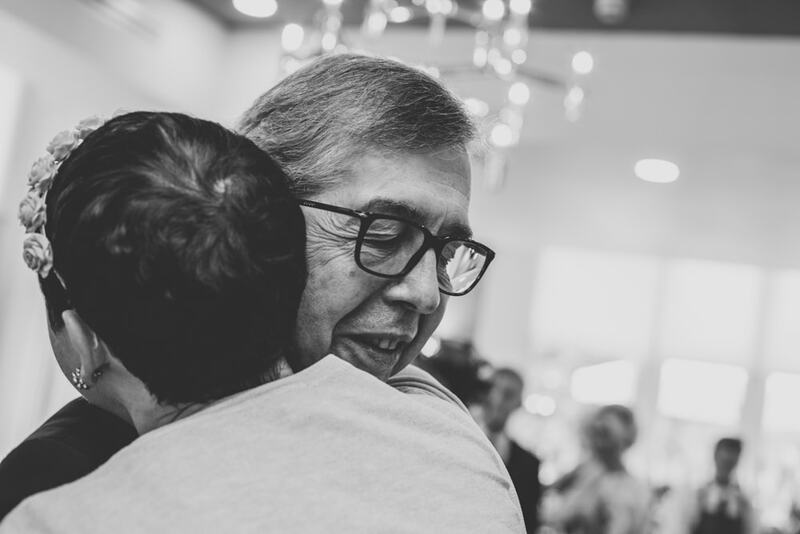 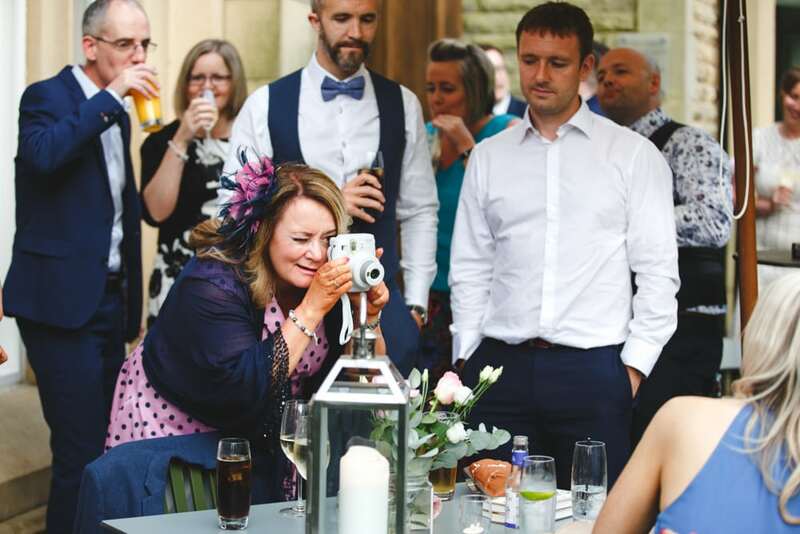 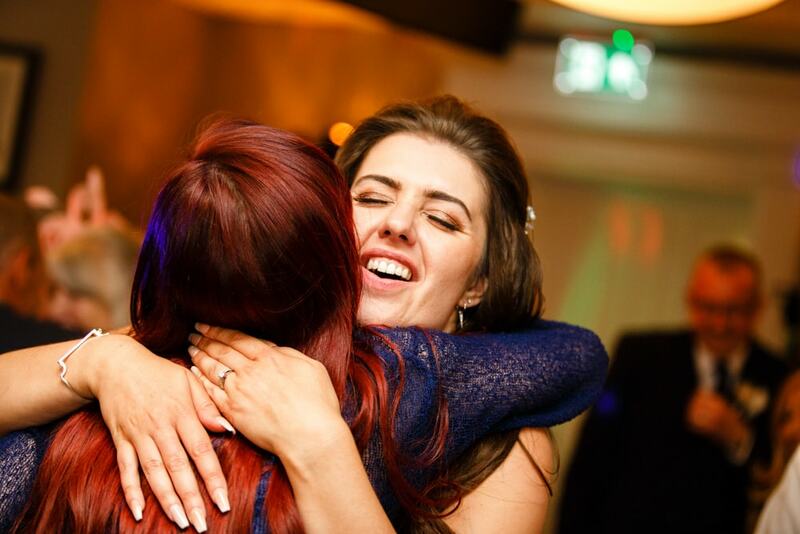 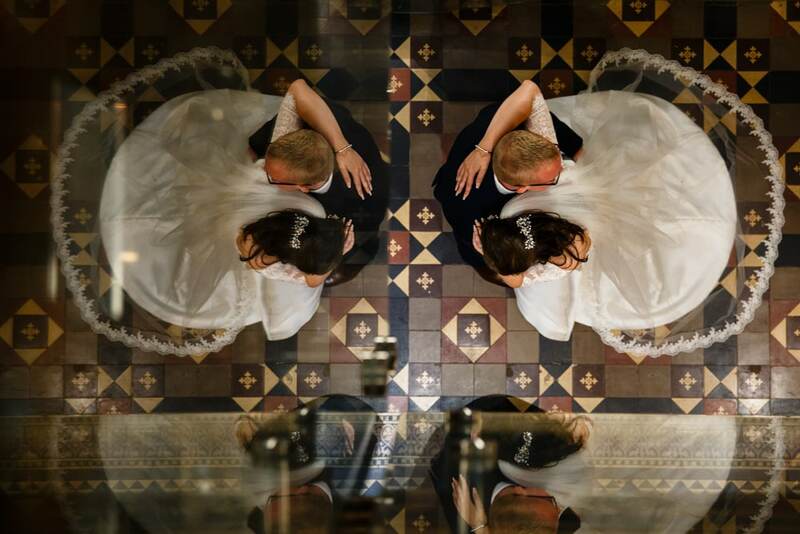 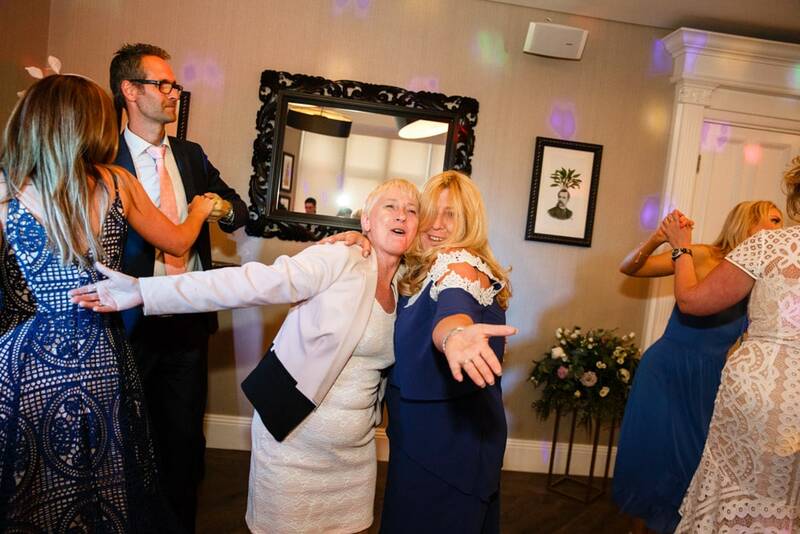 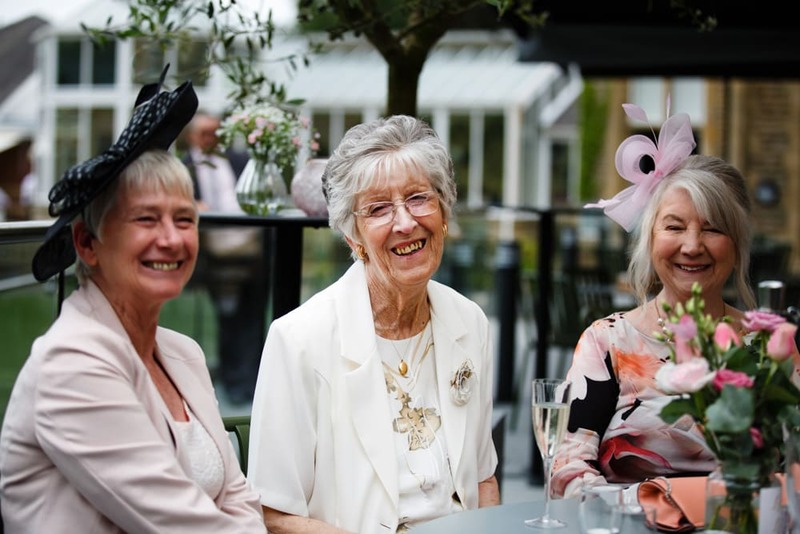 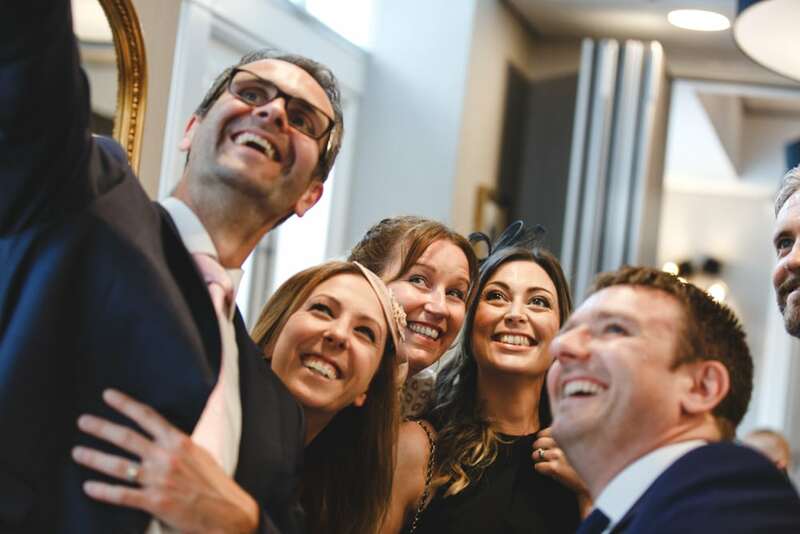 We love meeting couples and getting together as often as we can to help build that relationship before the wedding, we’d rather feel like friends shooting your wedding than strangers. 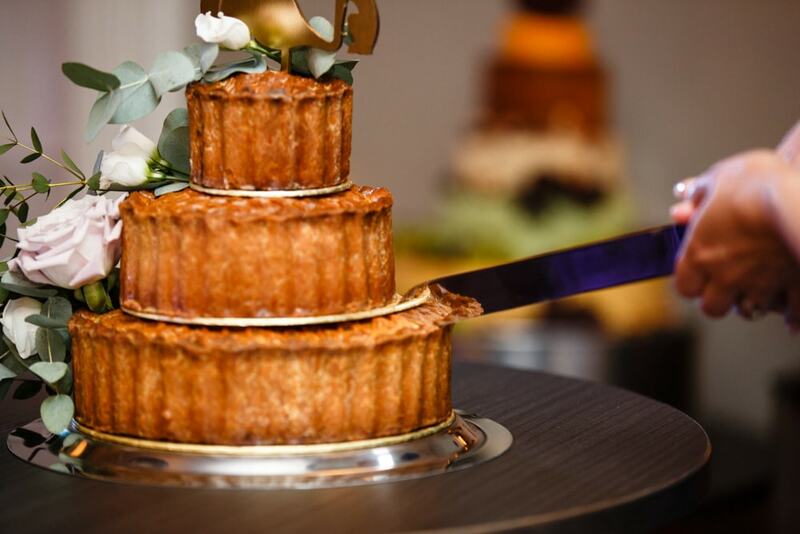 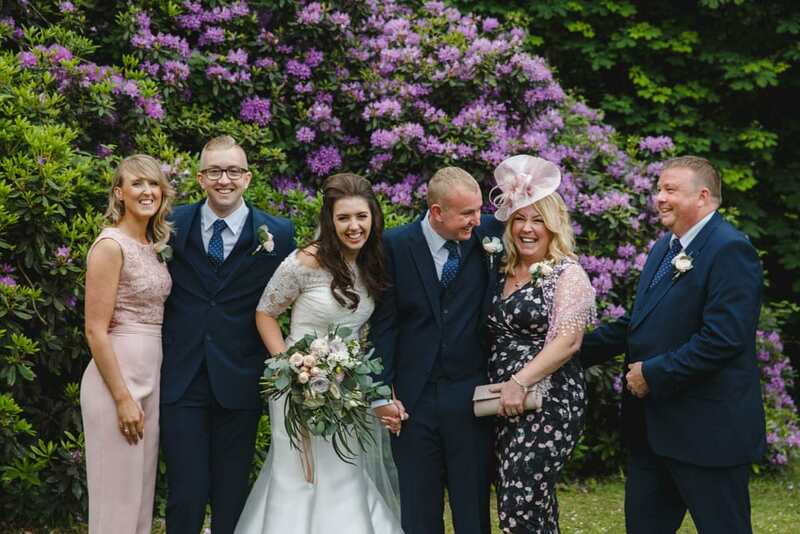 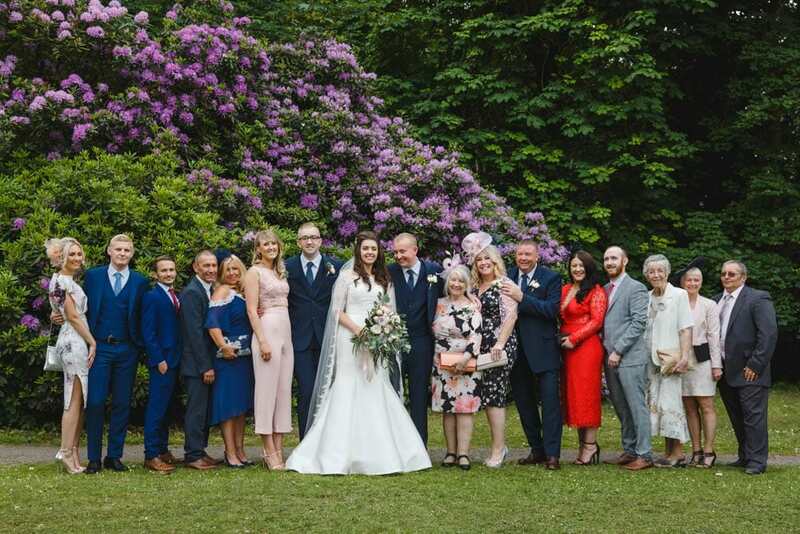 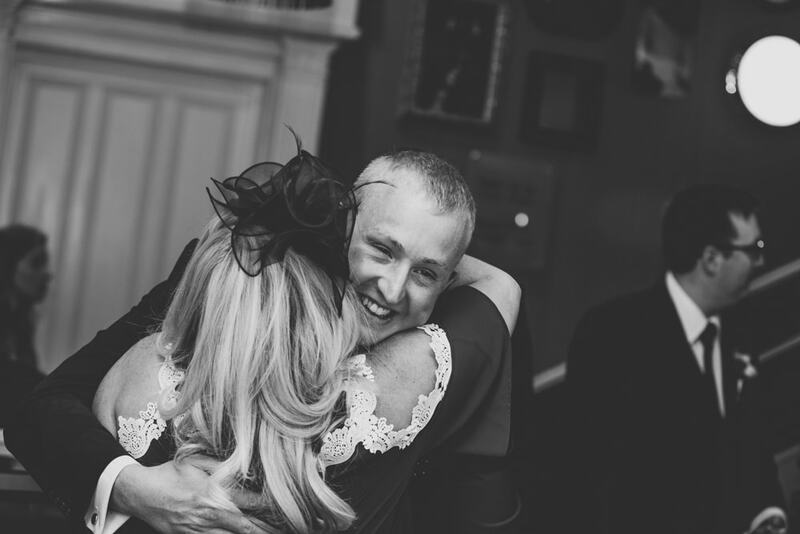 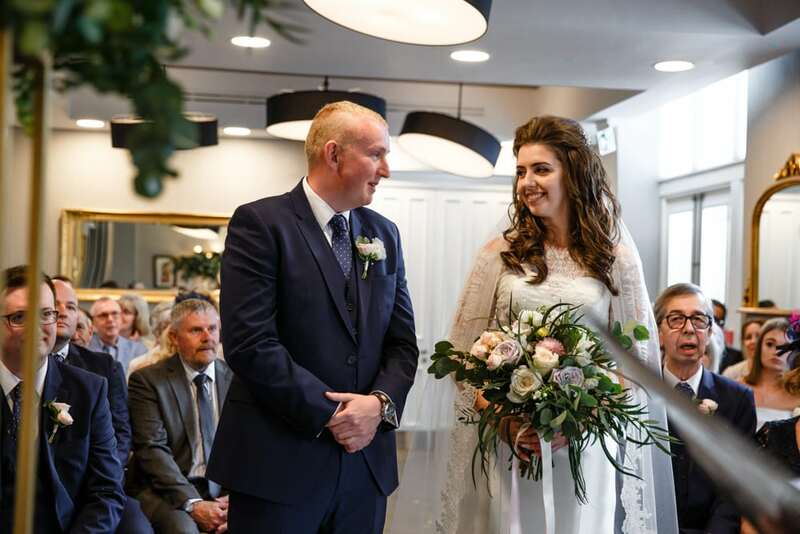 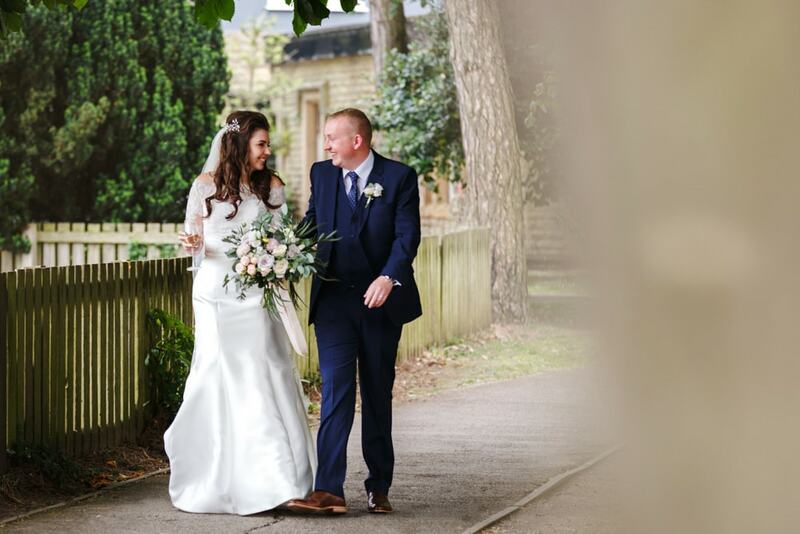 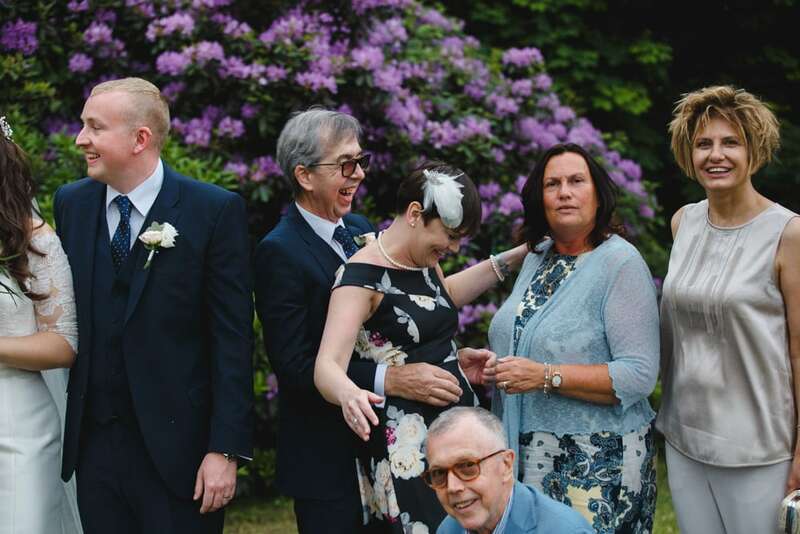 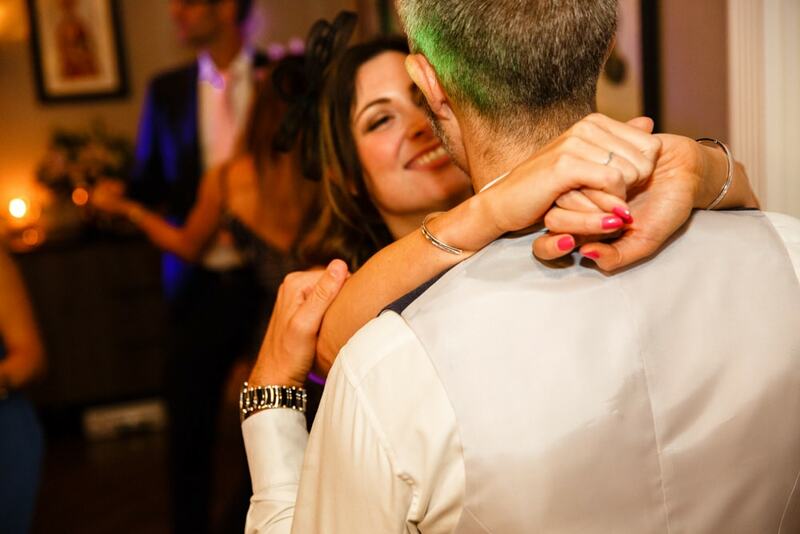 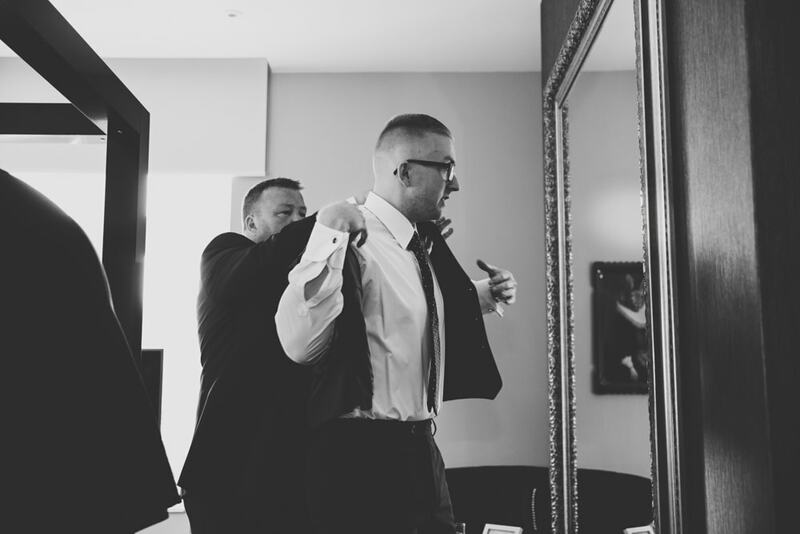 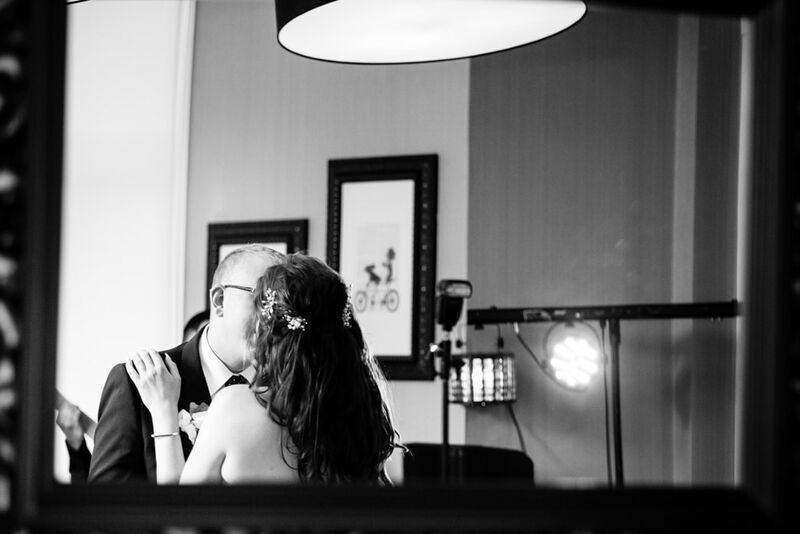 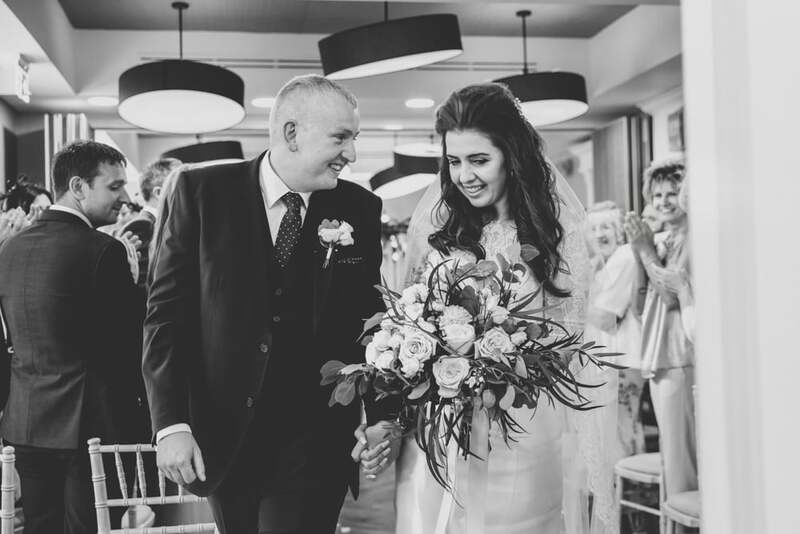 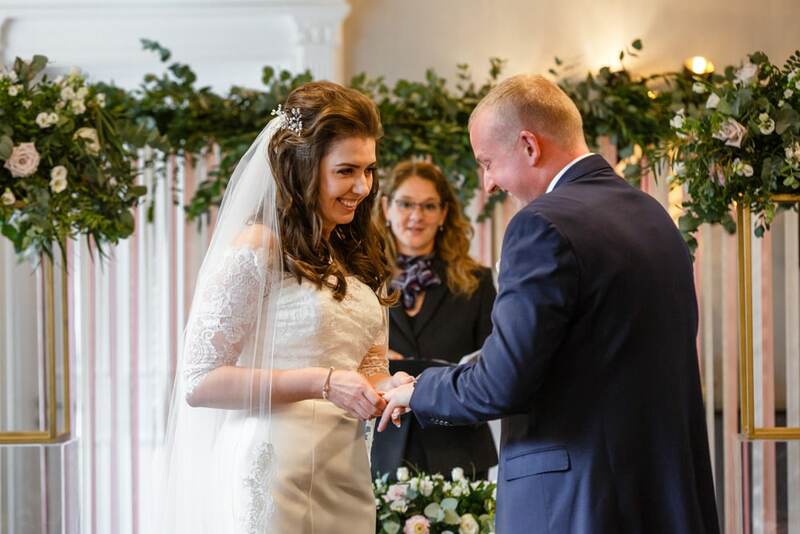 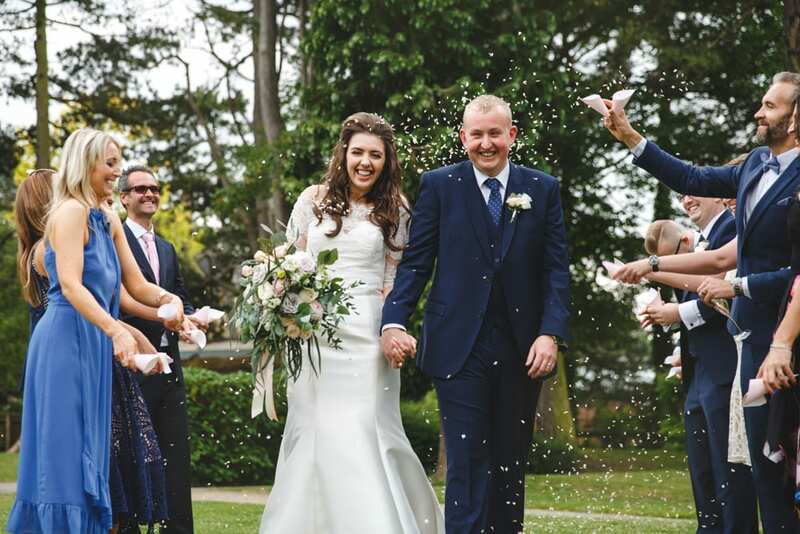 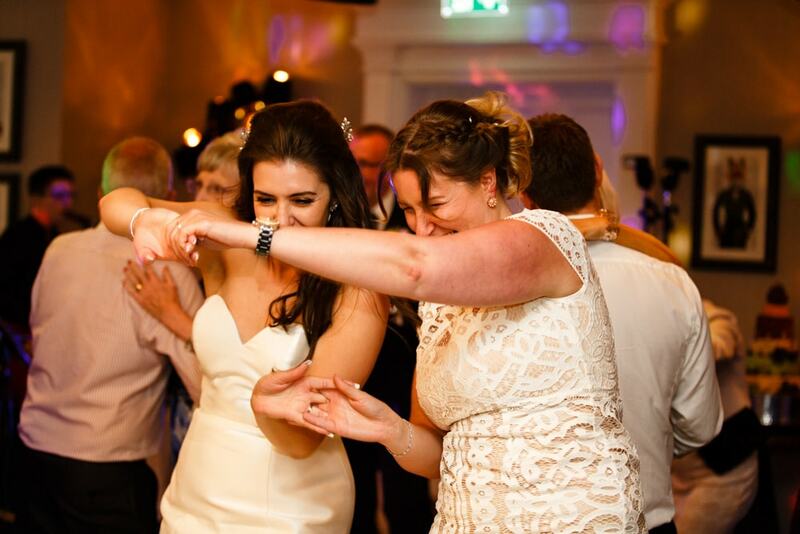 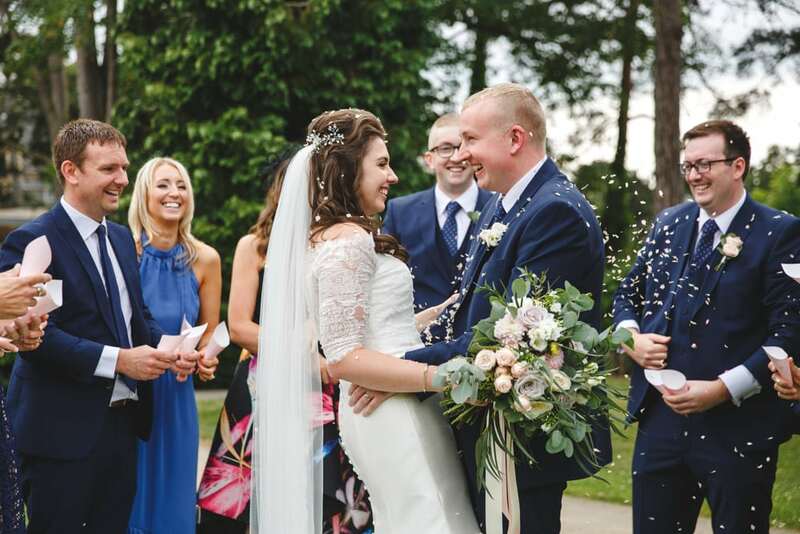 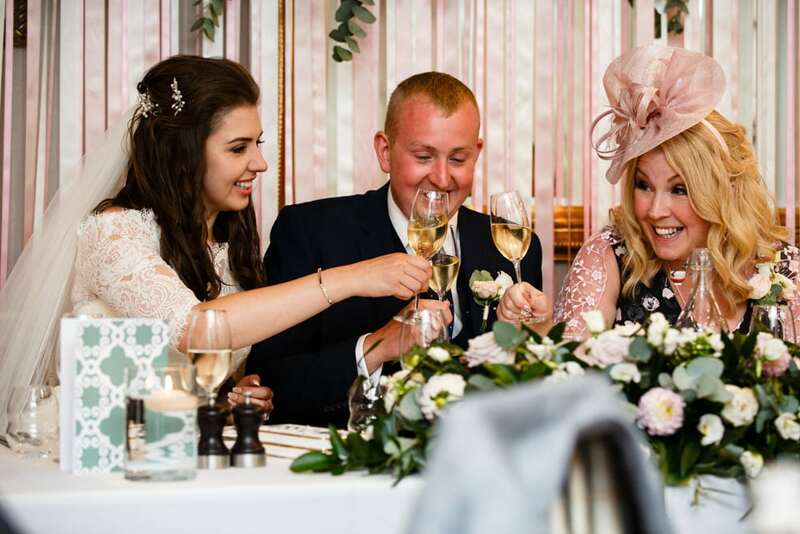 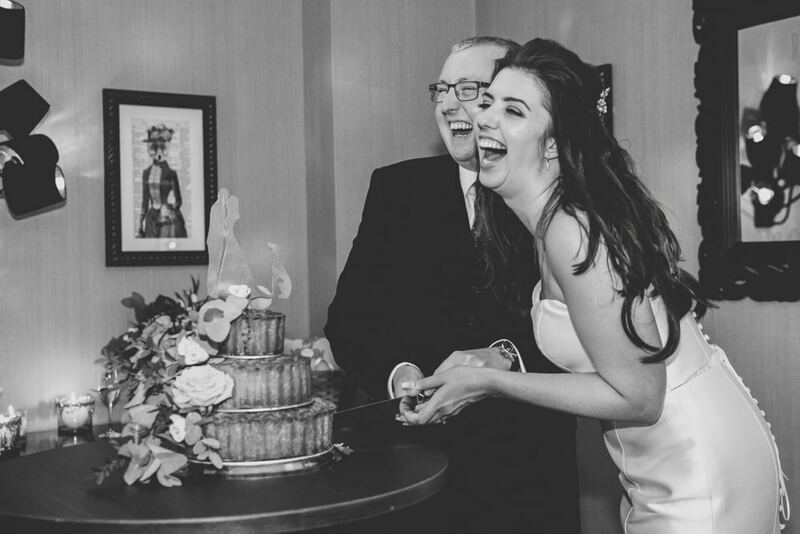 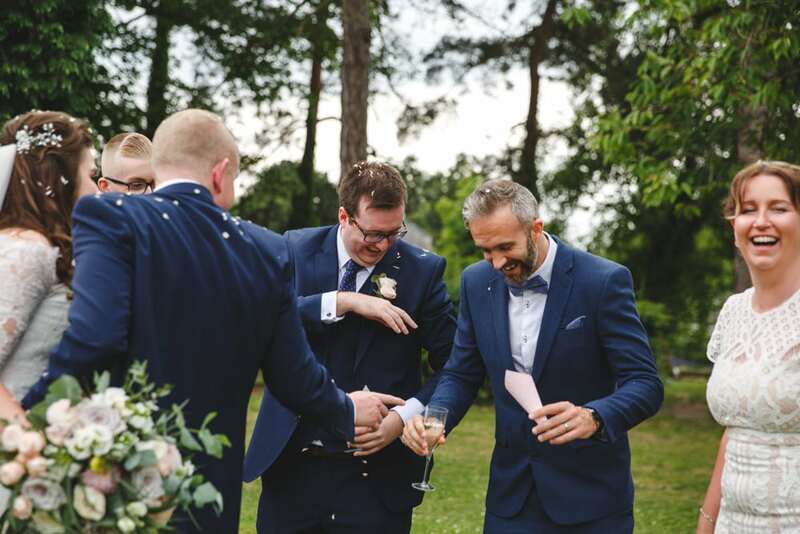 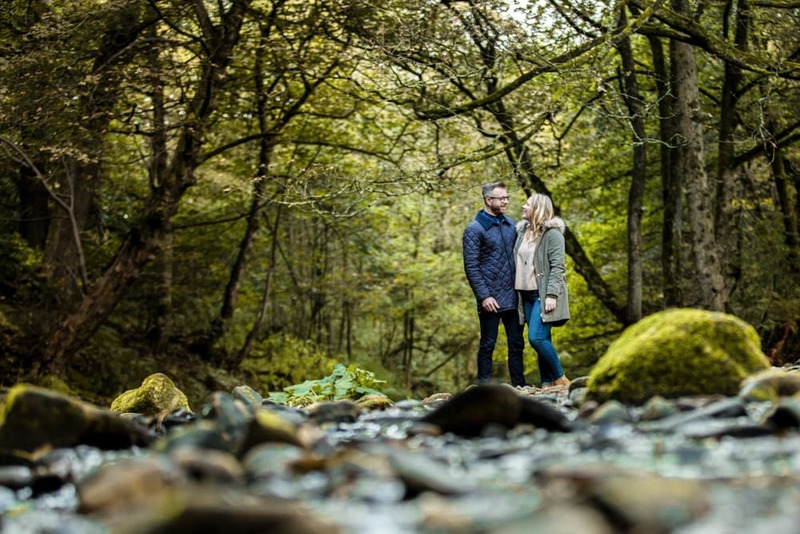 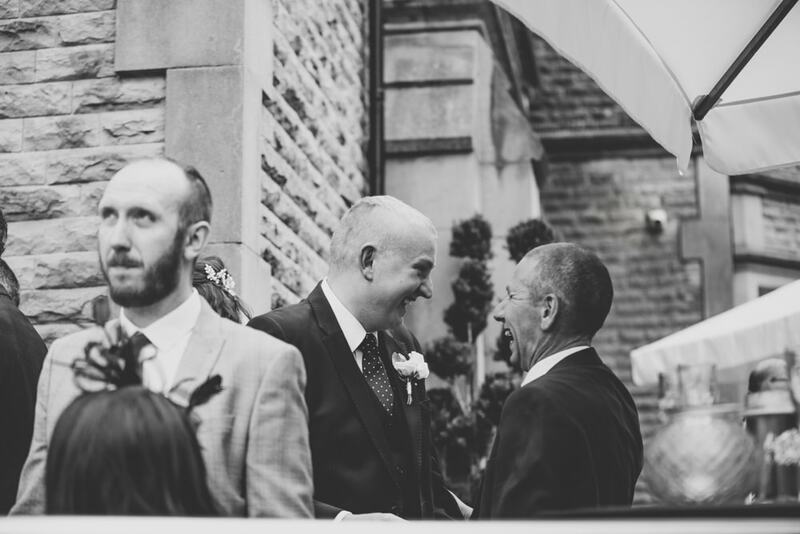 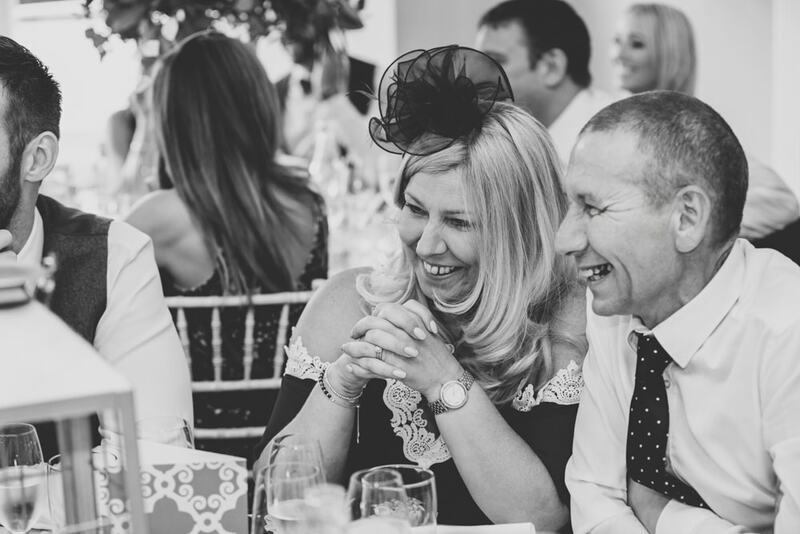 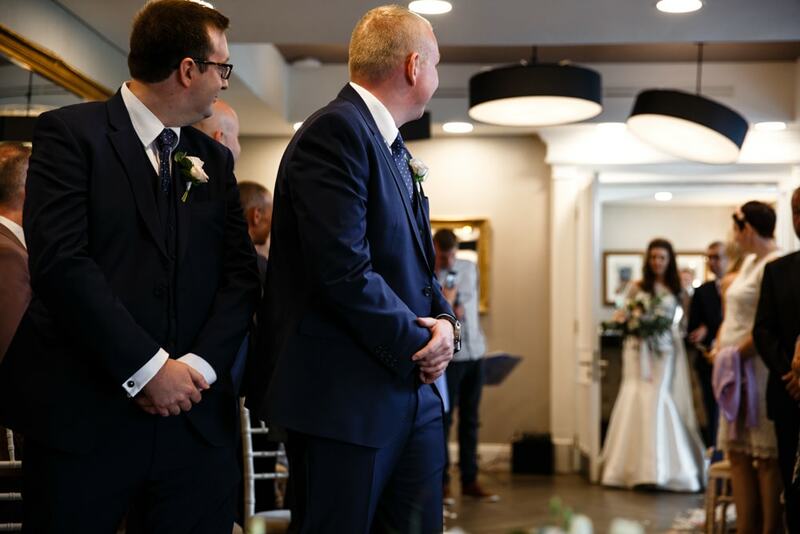 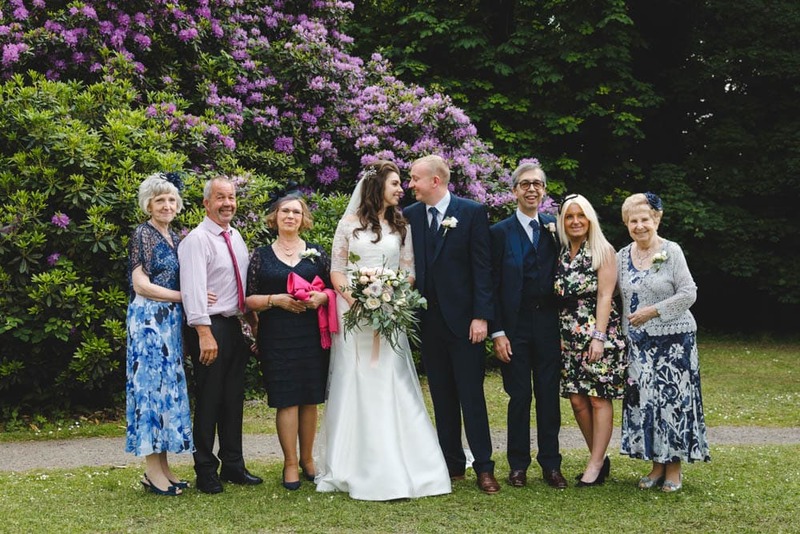 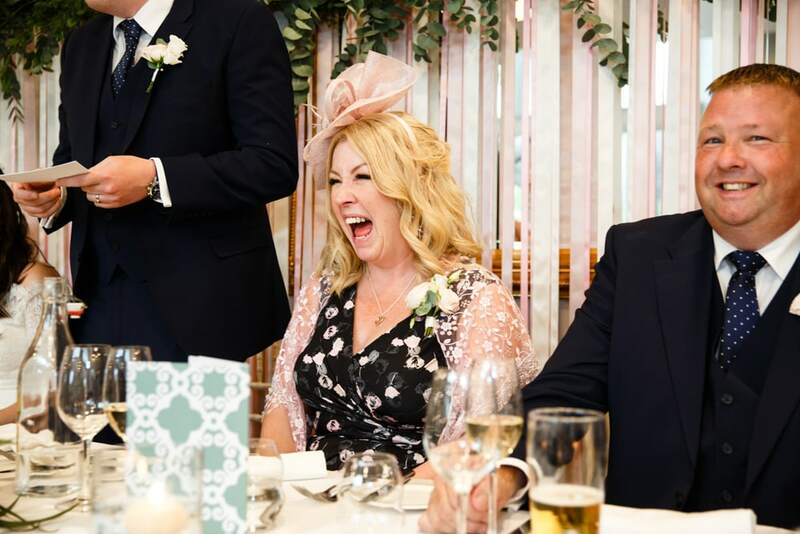 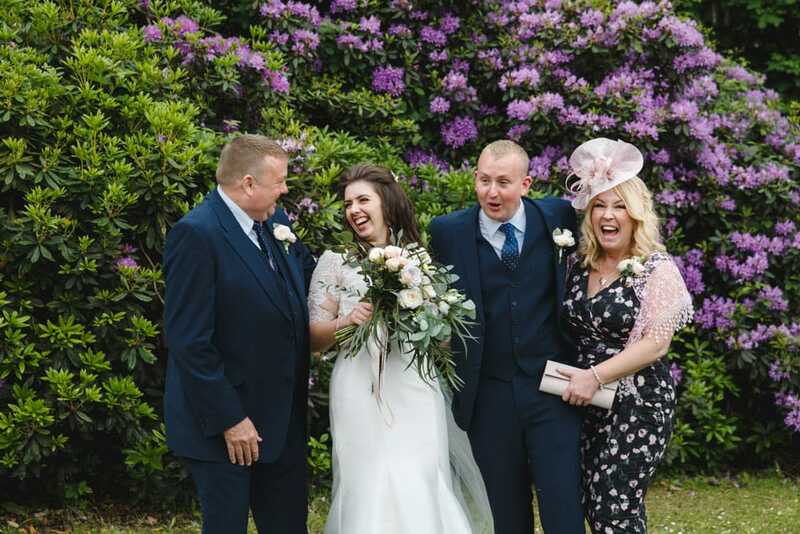 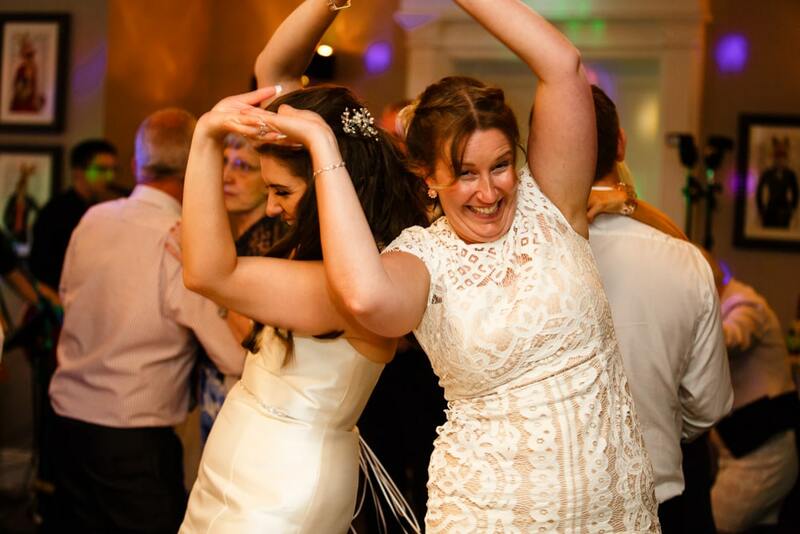 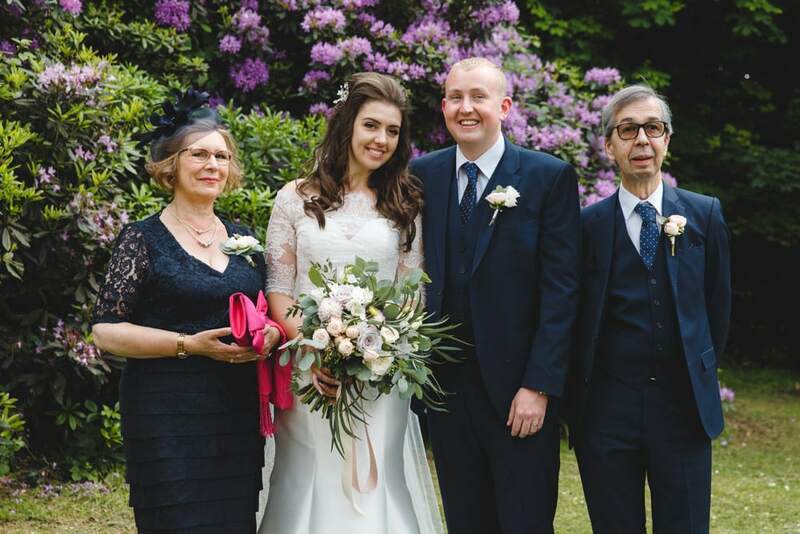 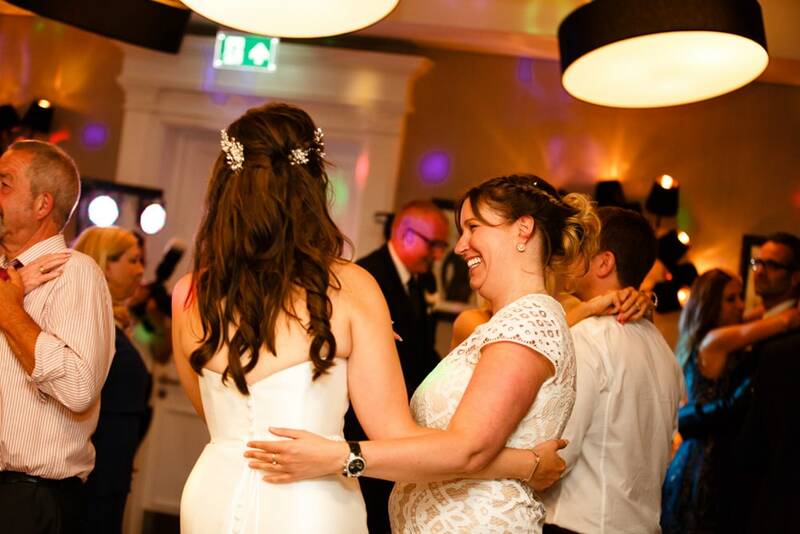 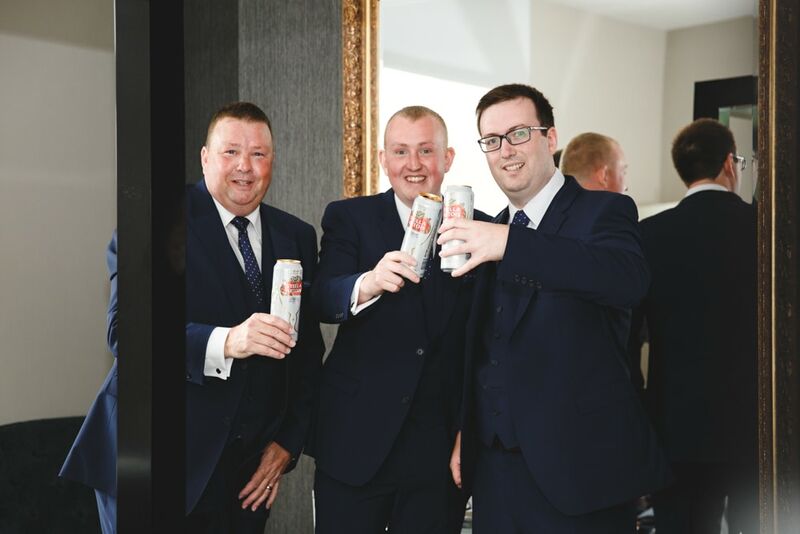 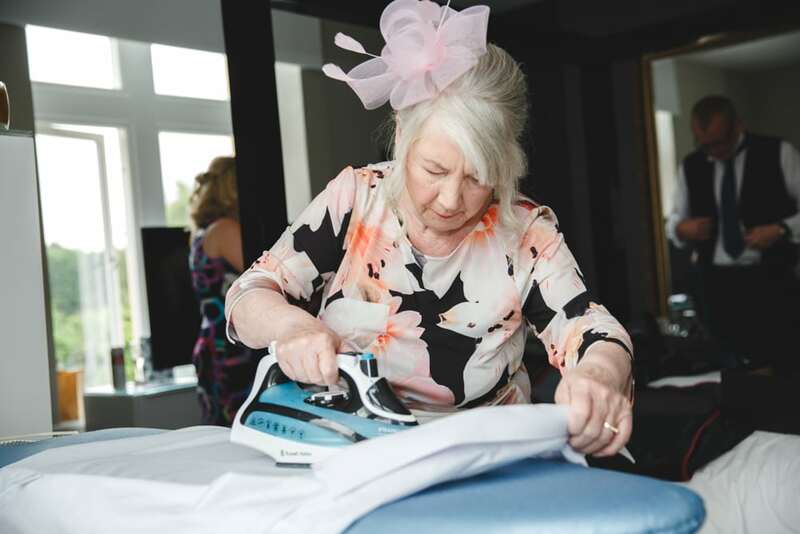 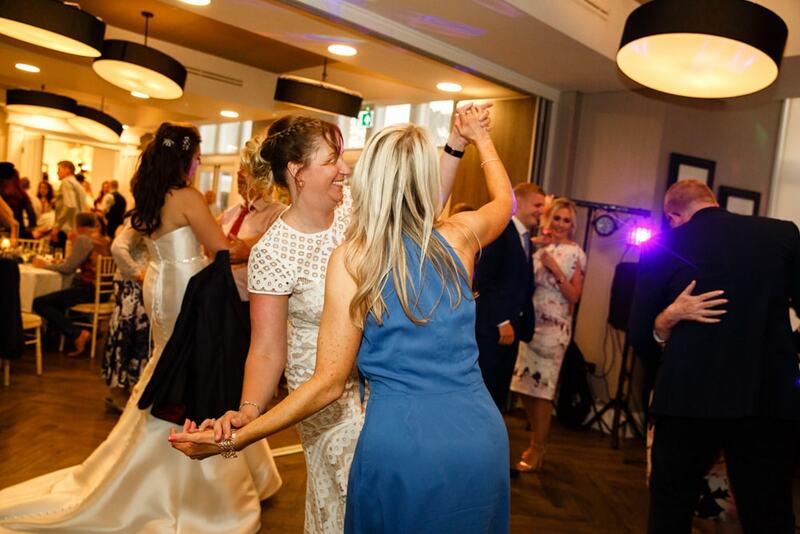 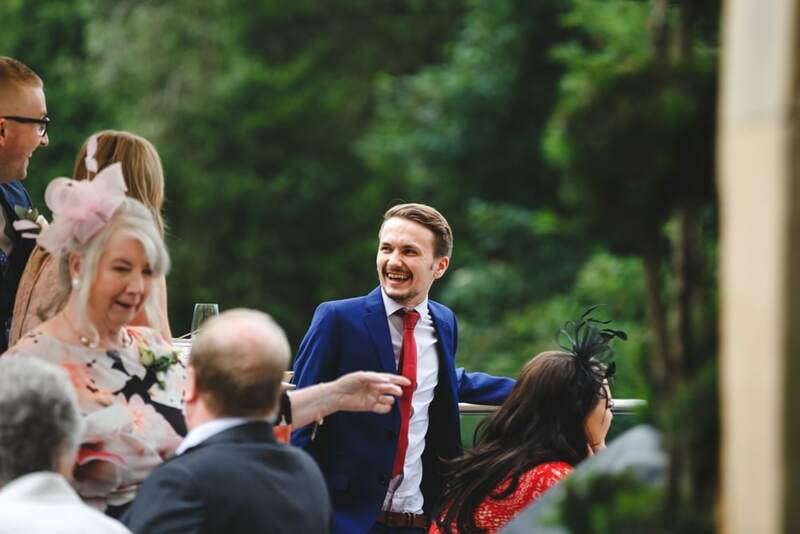 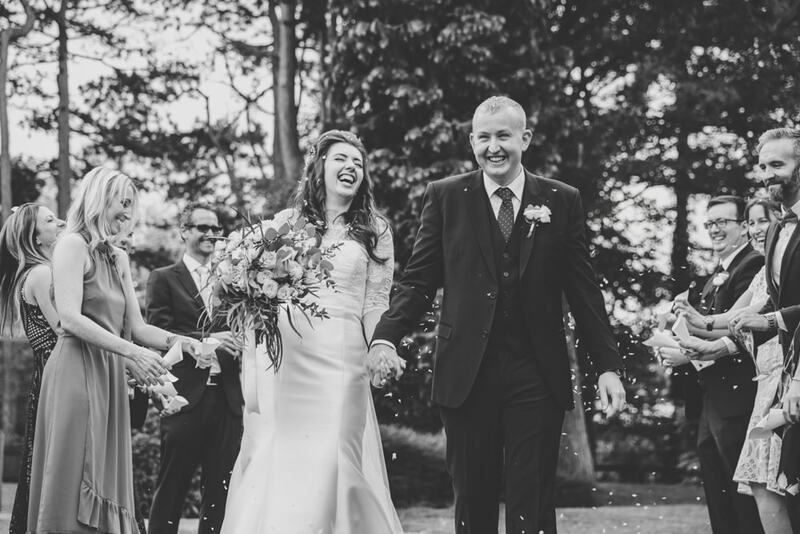 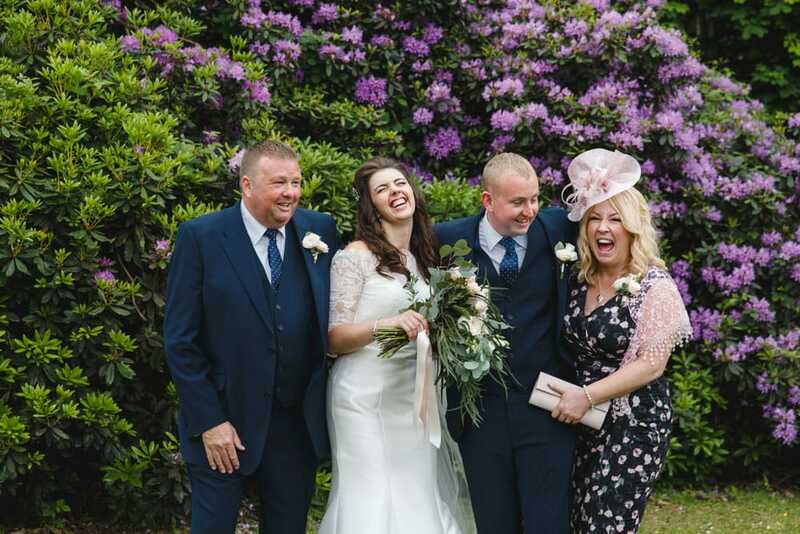 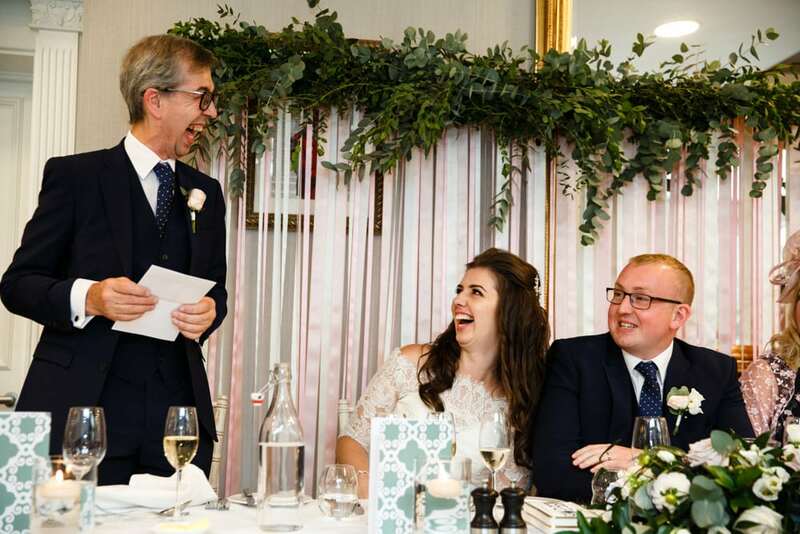 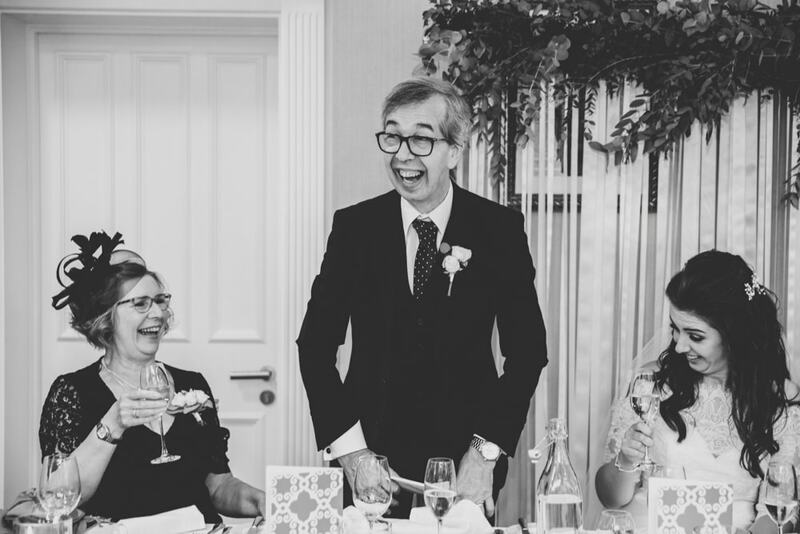 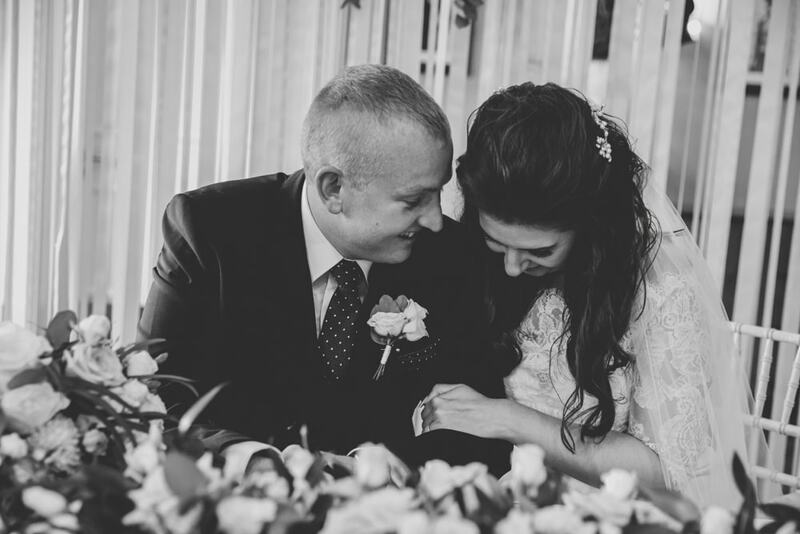 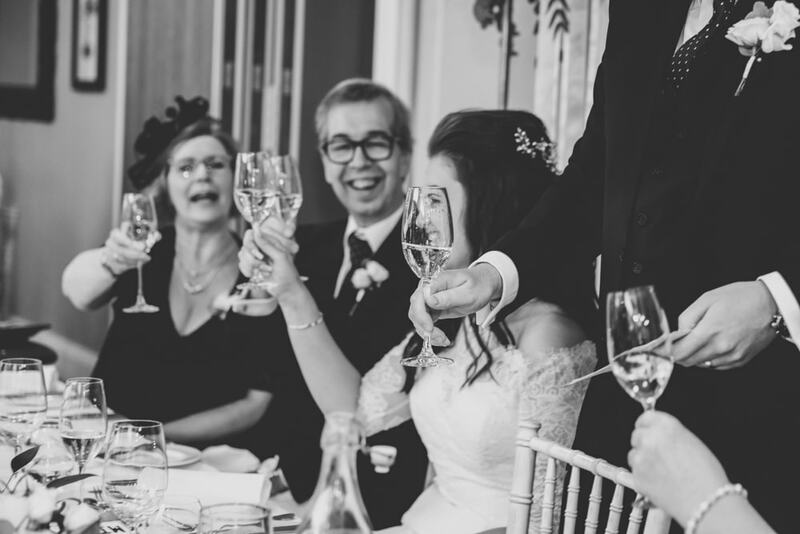 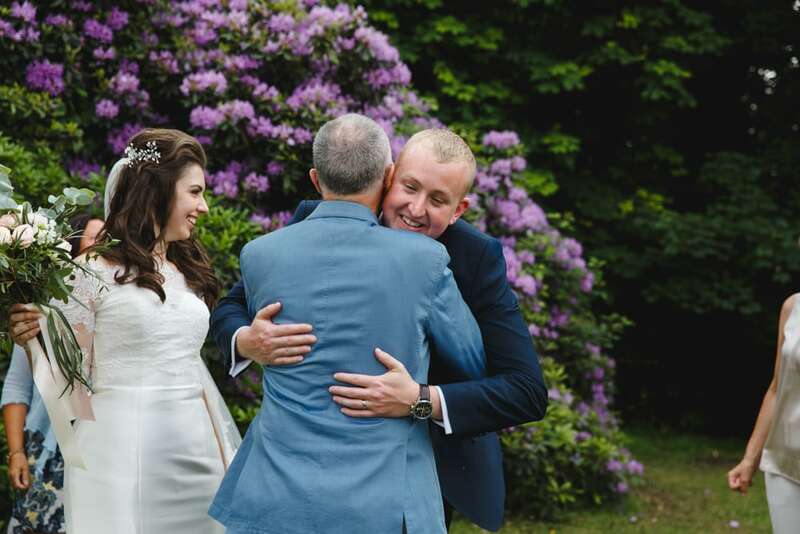 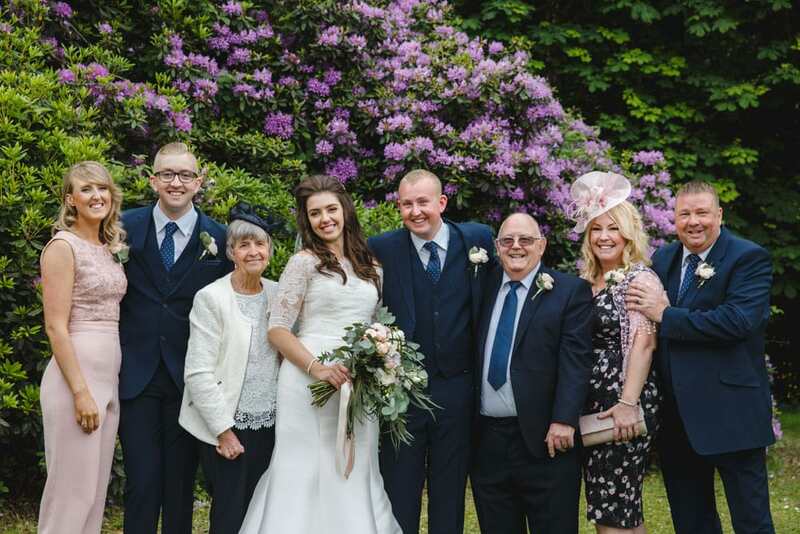 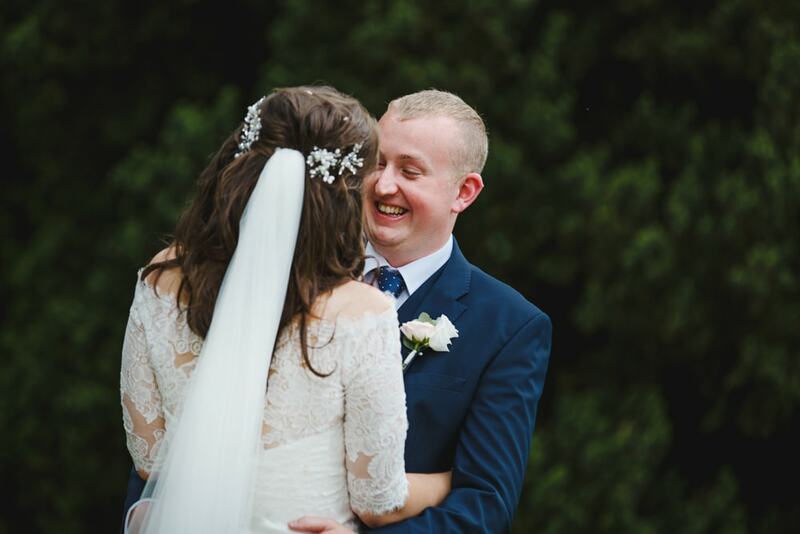 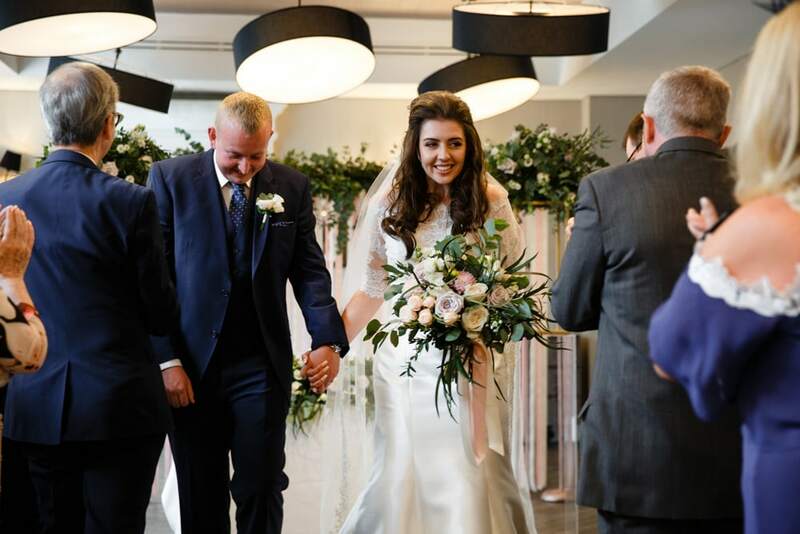 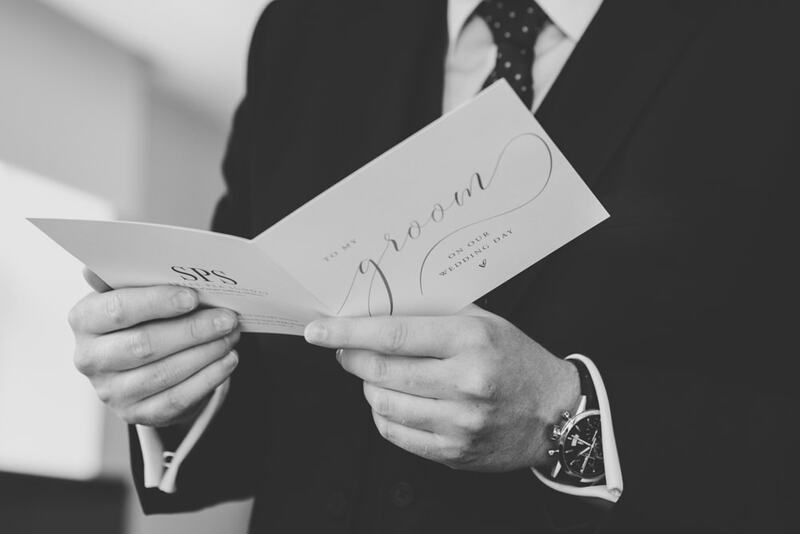 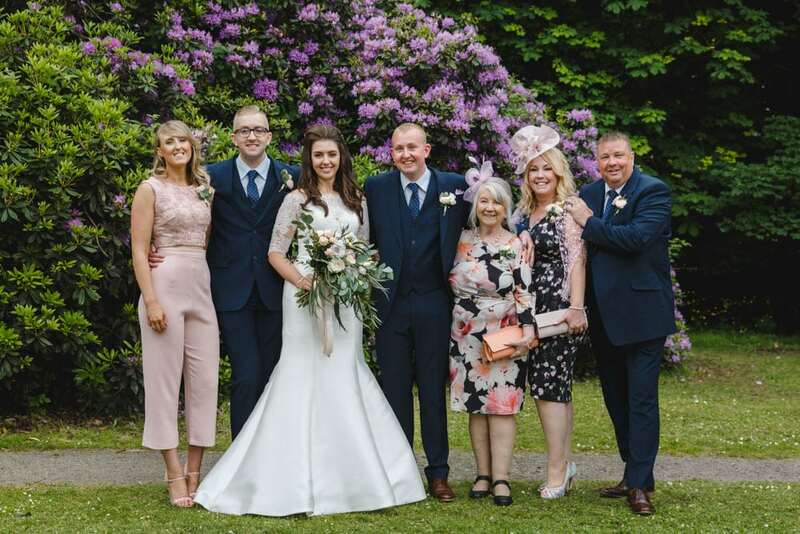 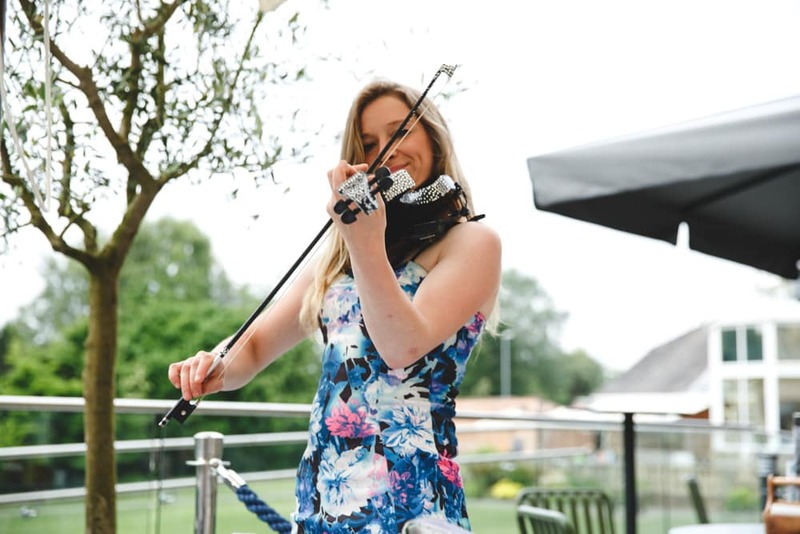 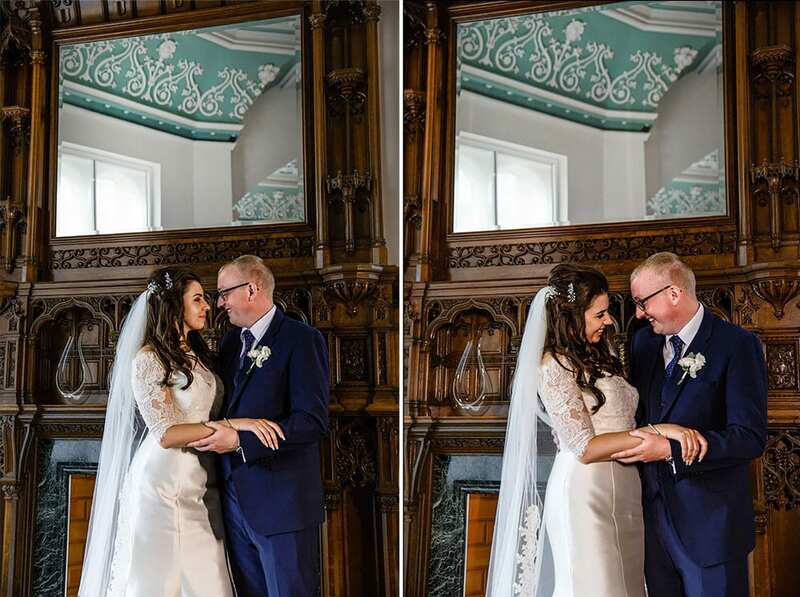 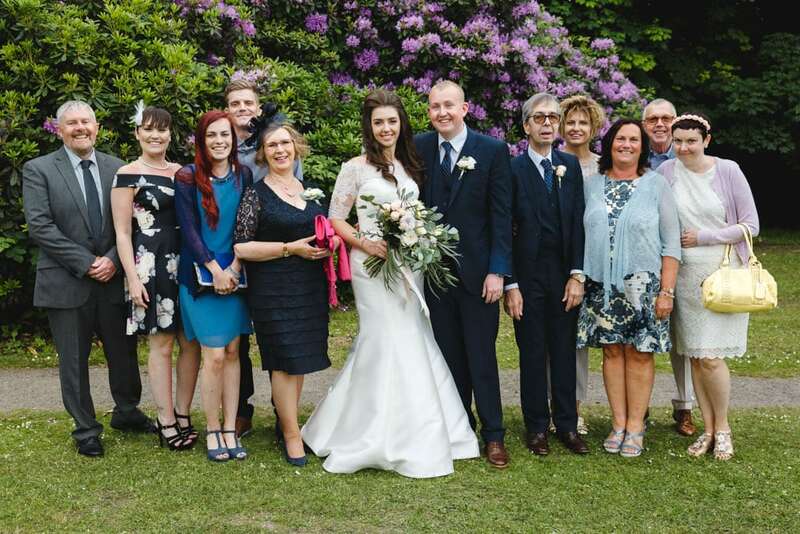 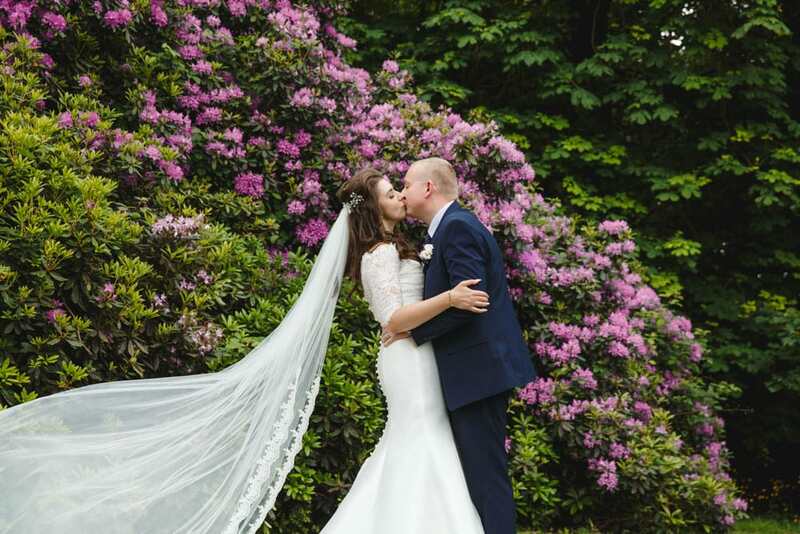 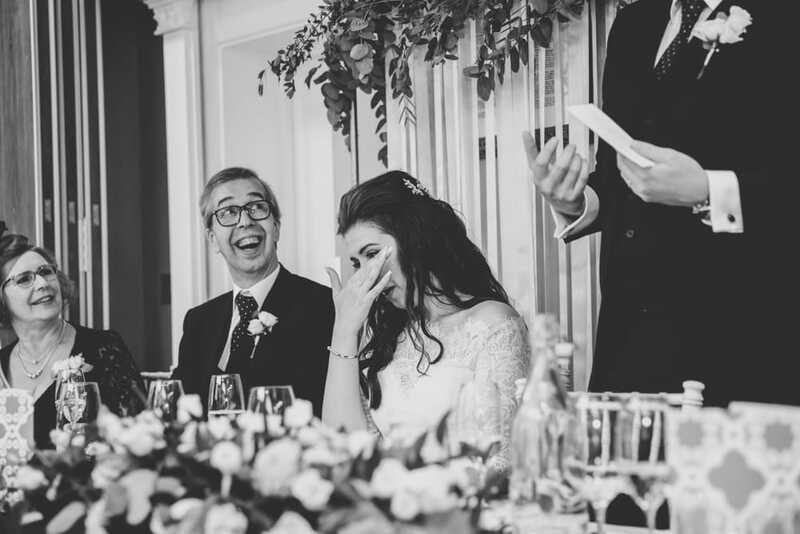 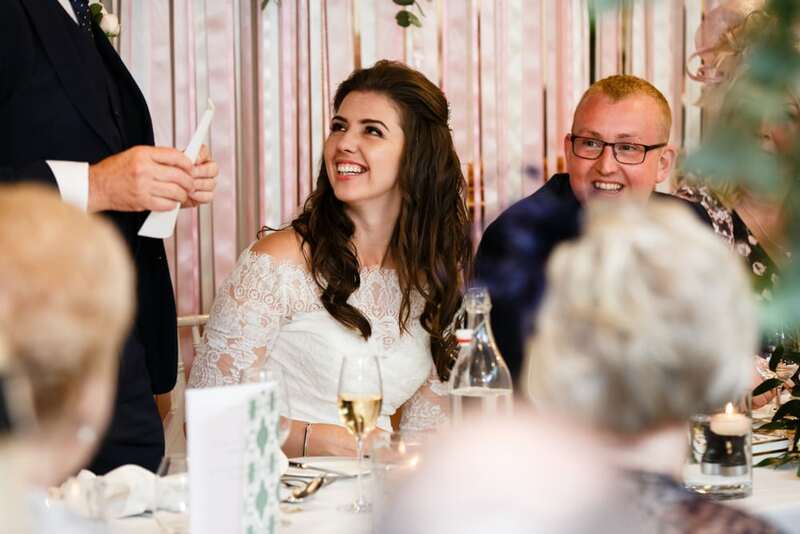 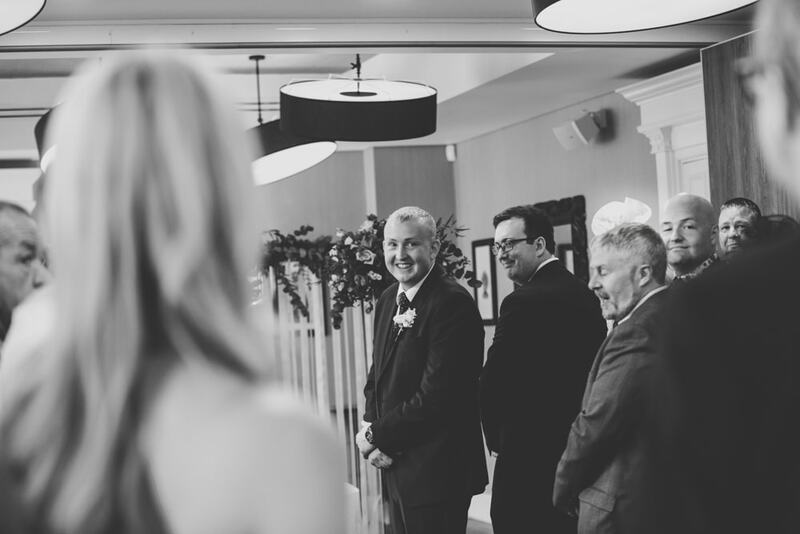 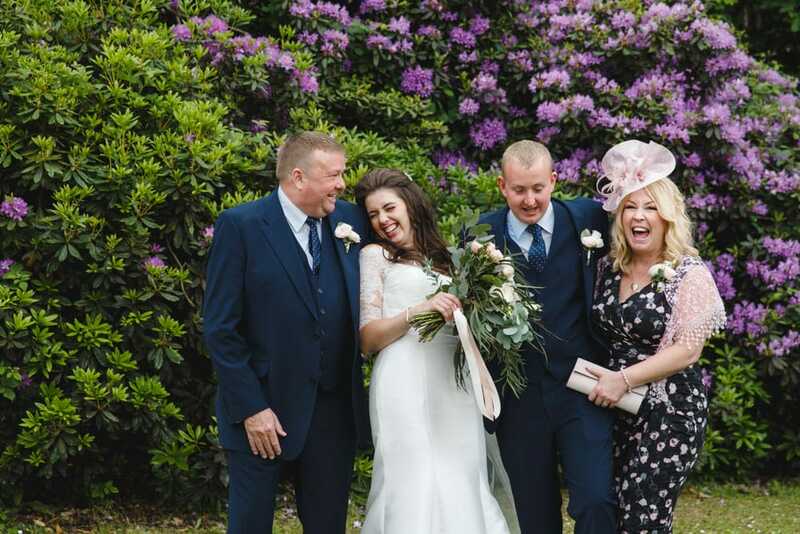 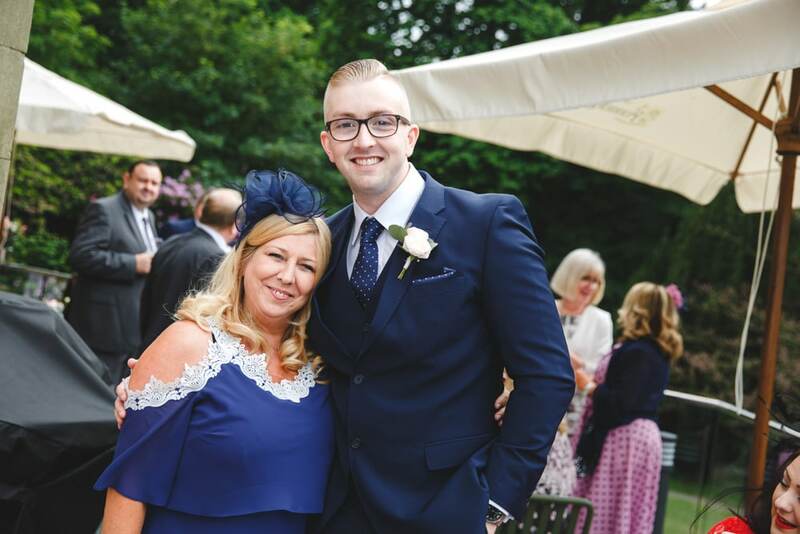 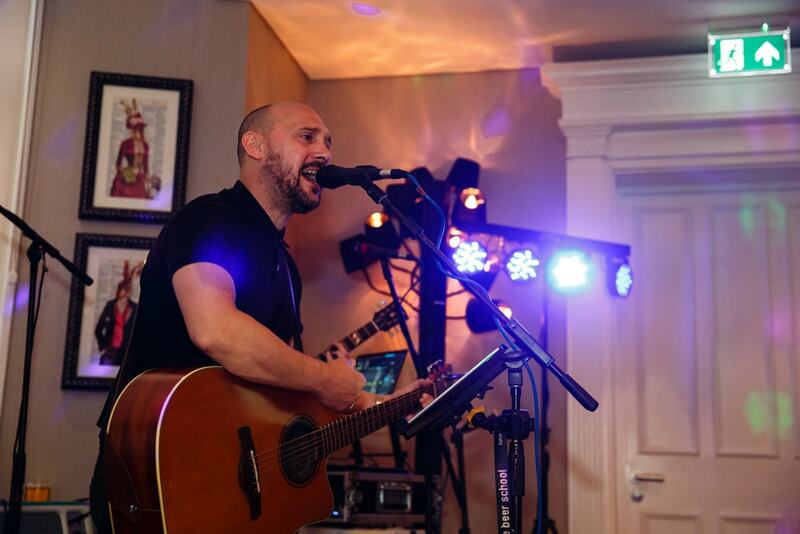 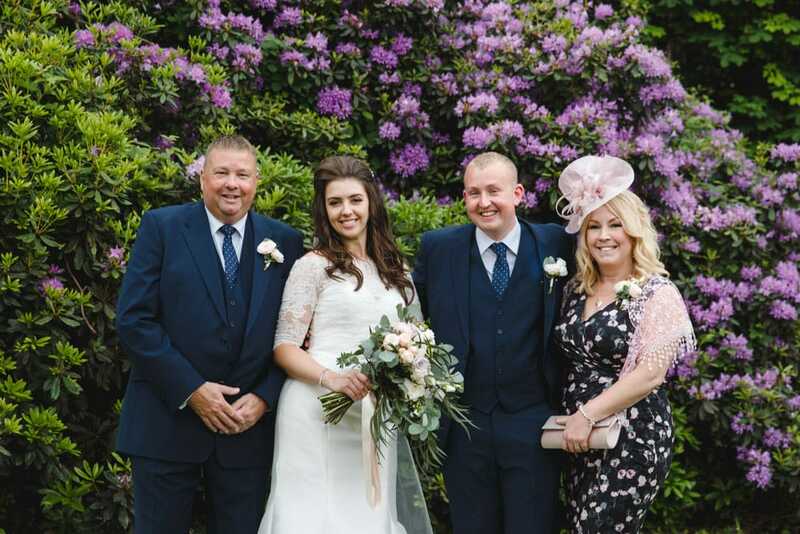 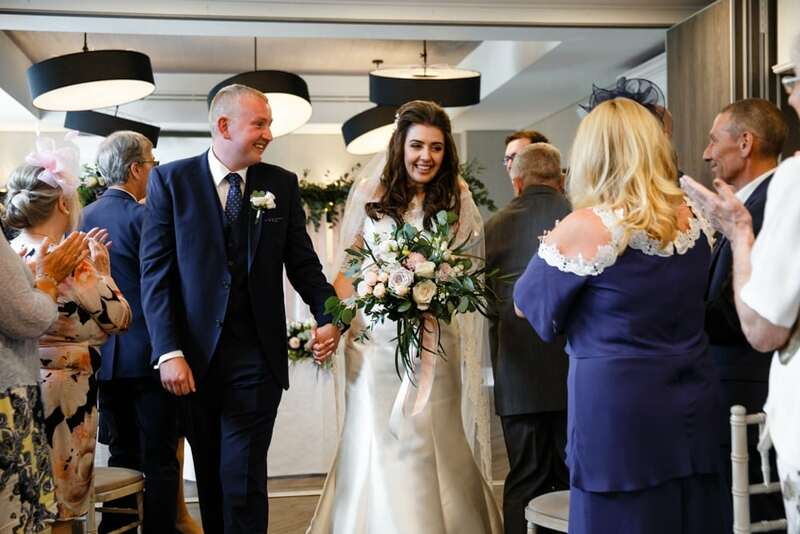 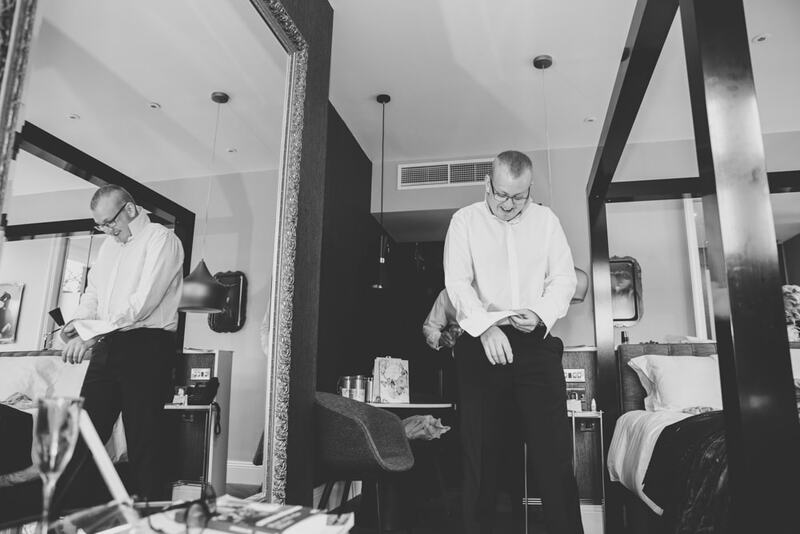 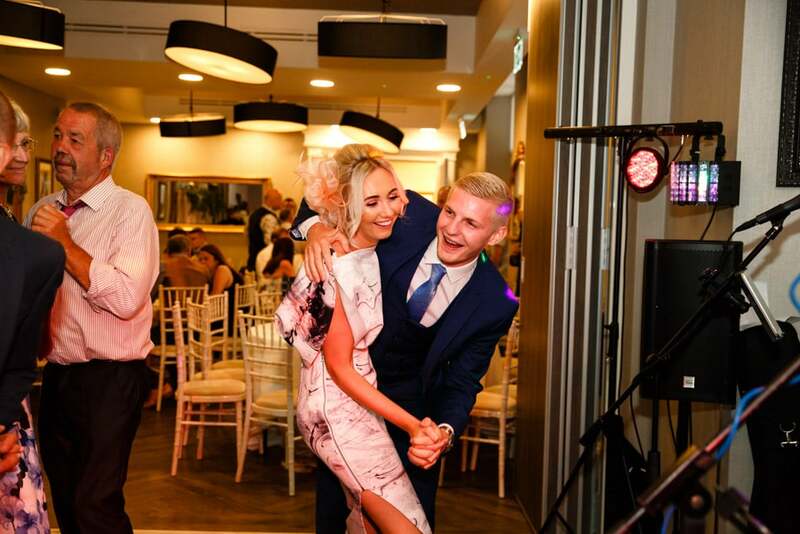 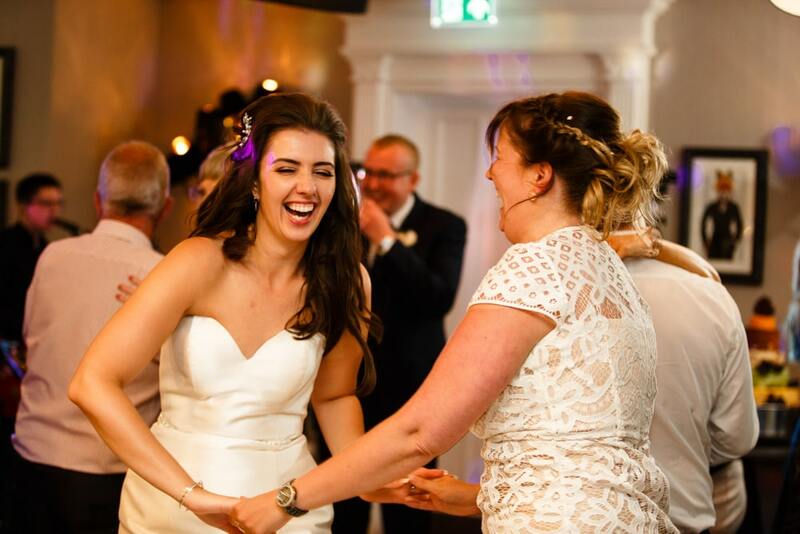 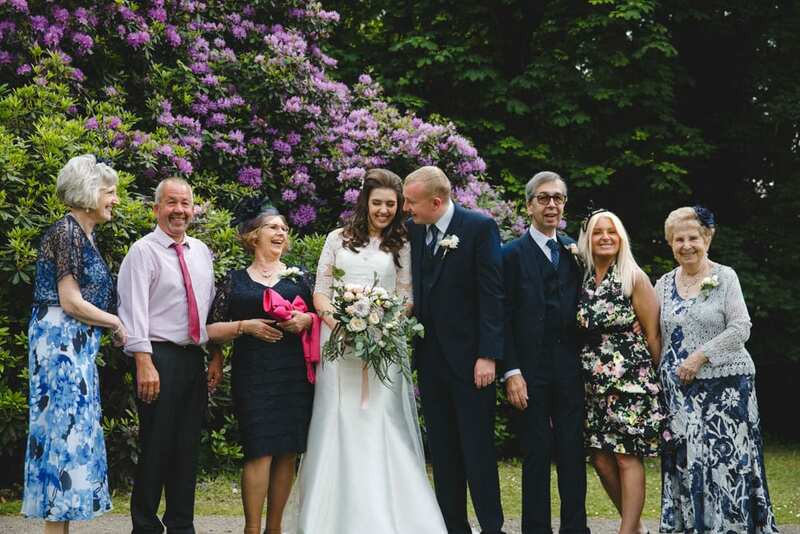 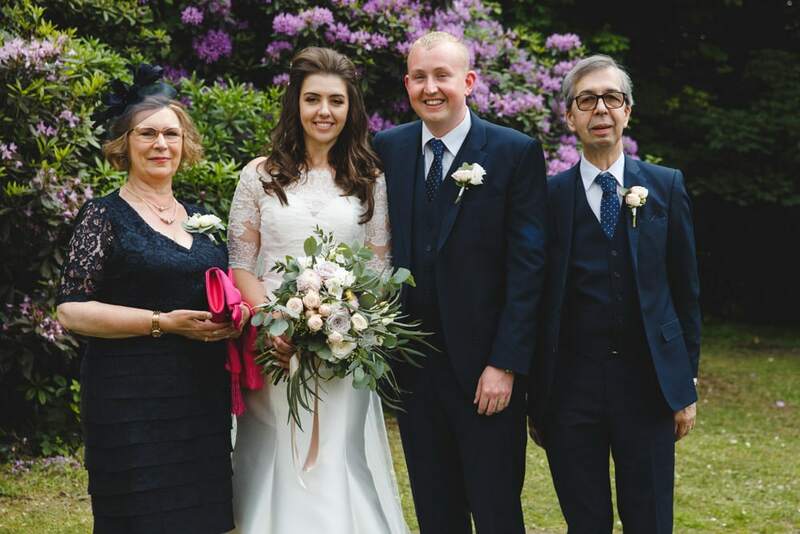 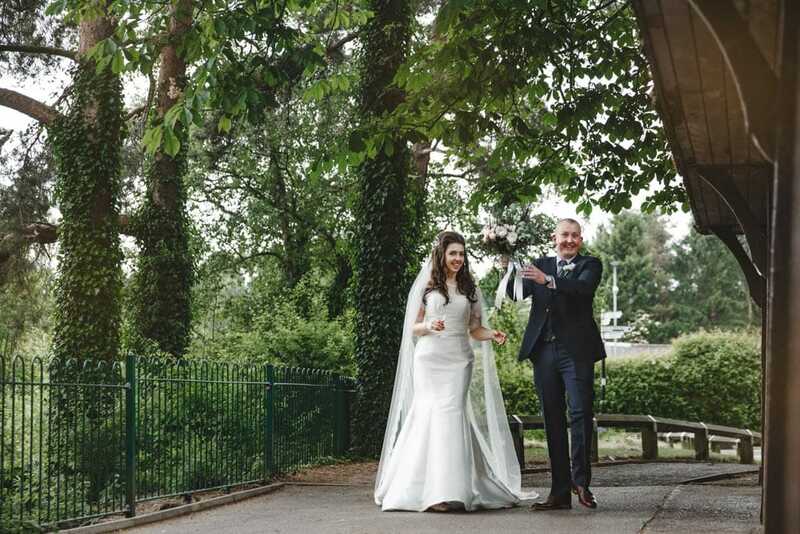 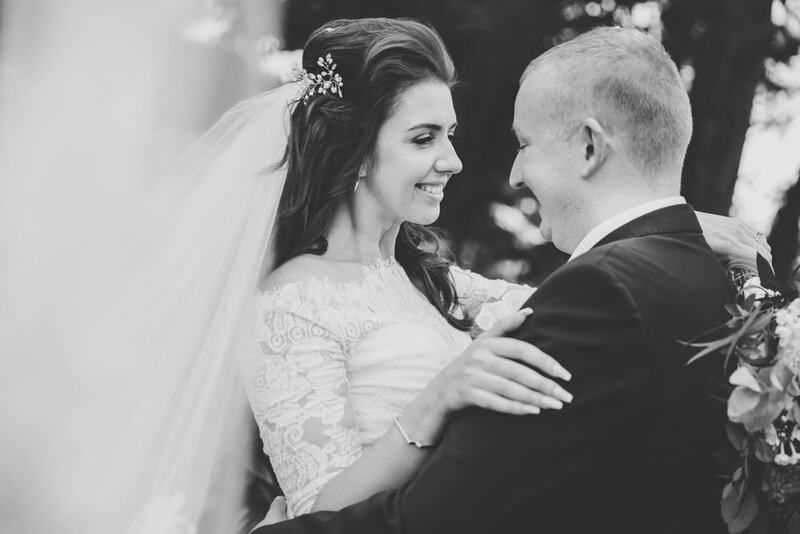 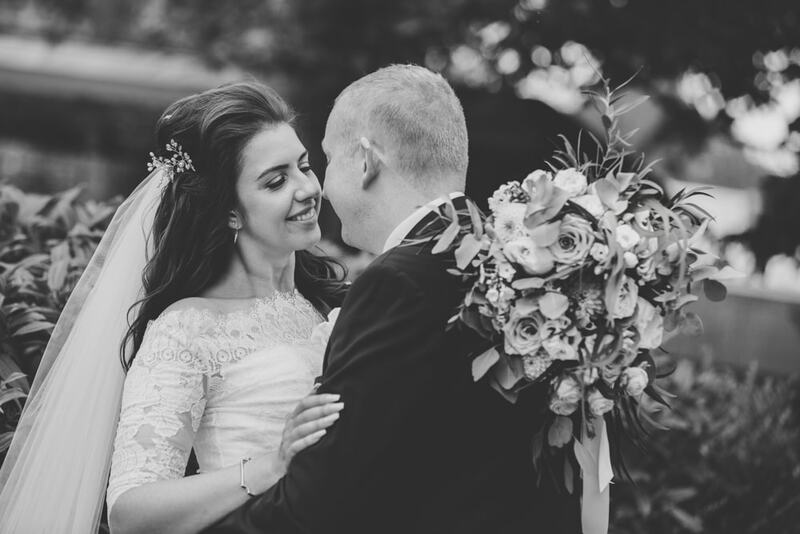 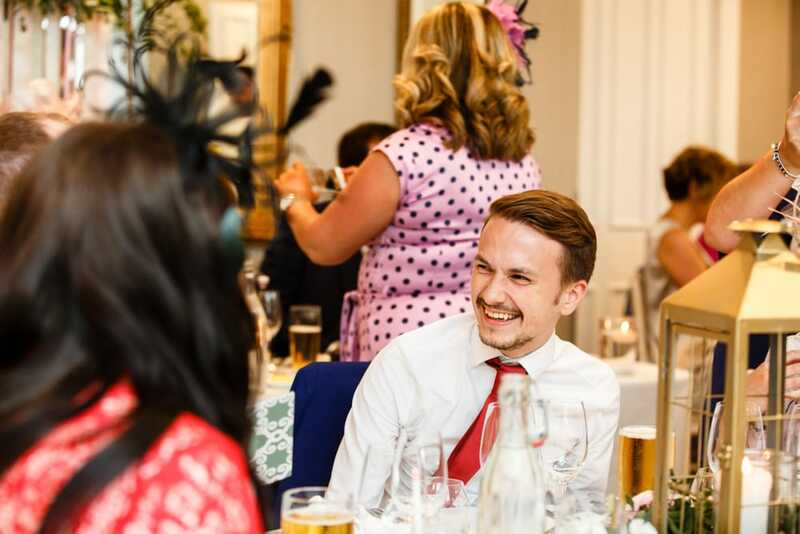 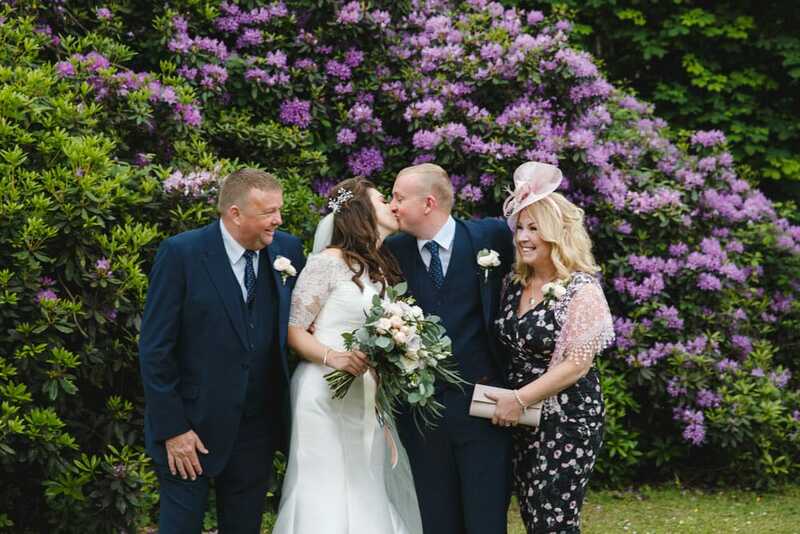 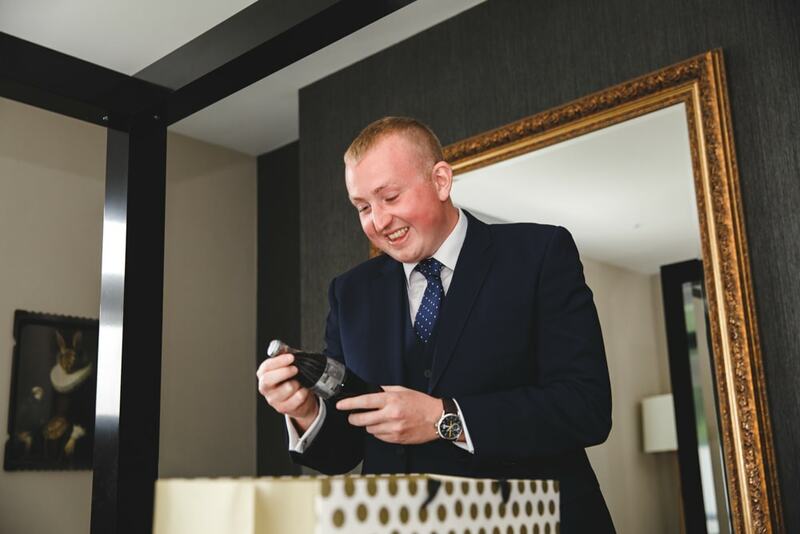 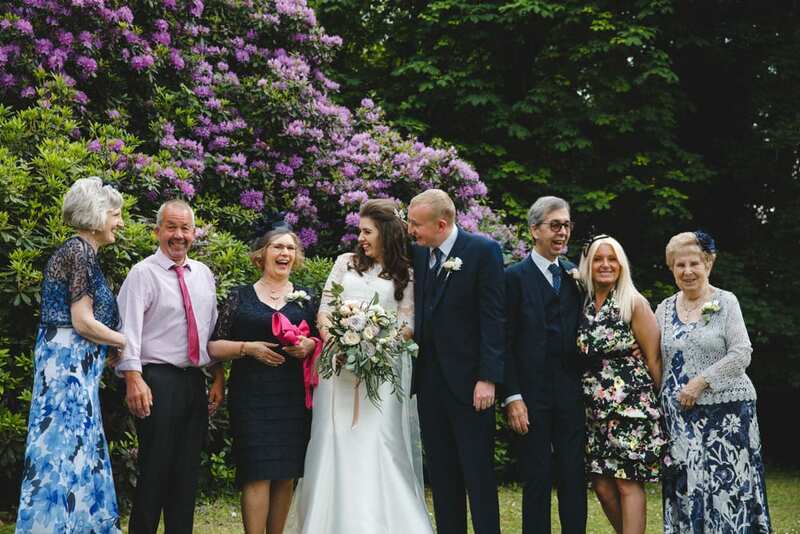 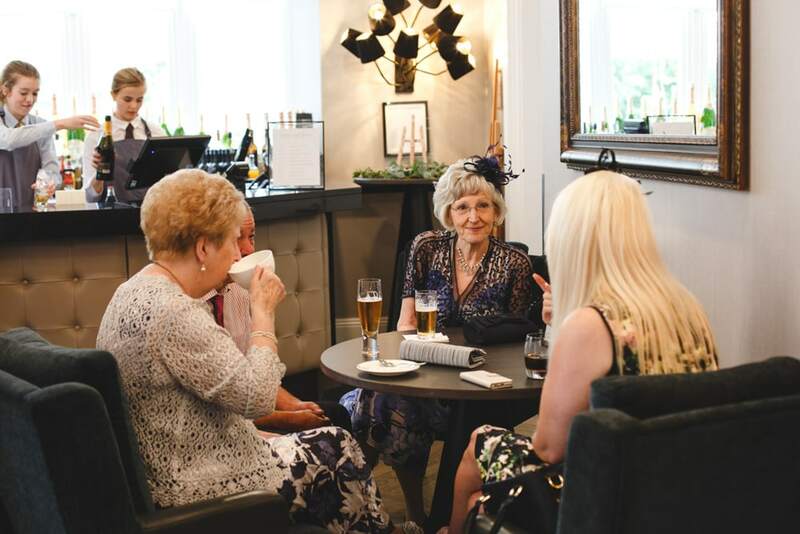 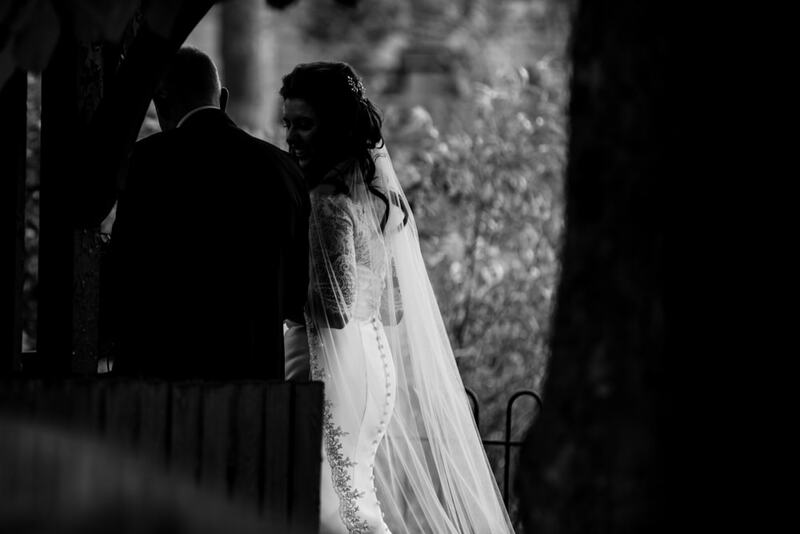 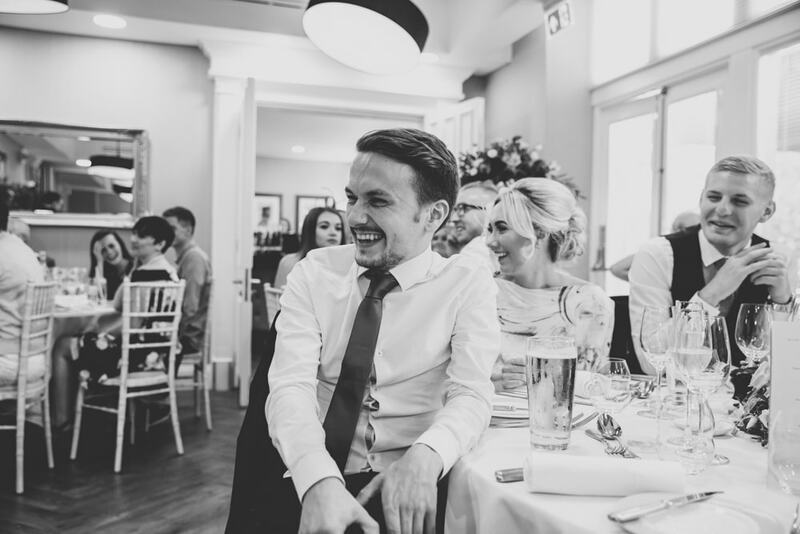 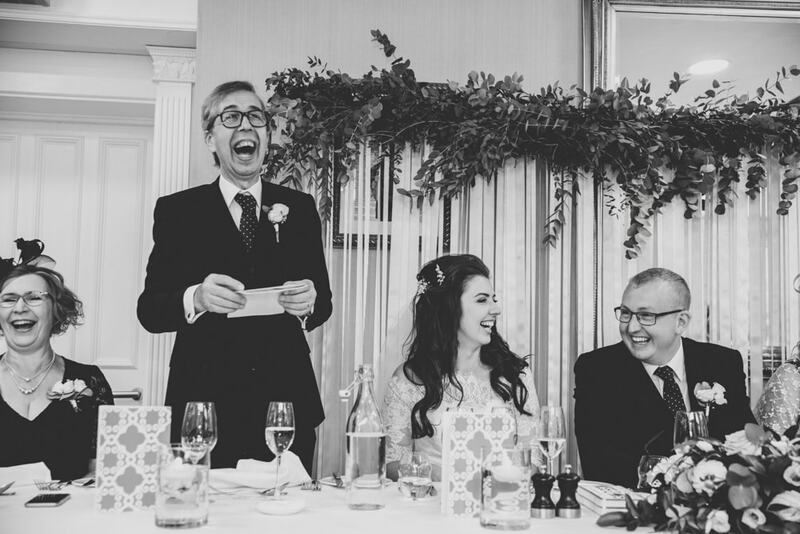 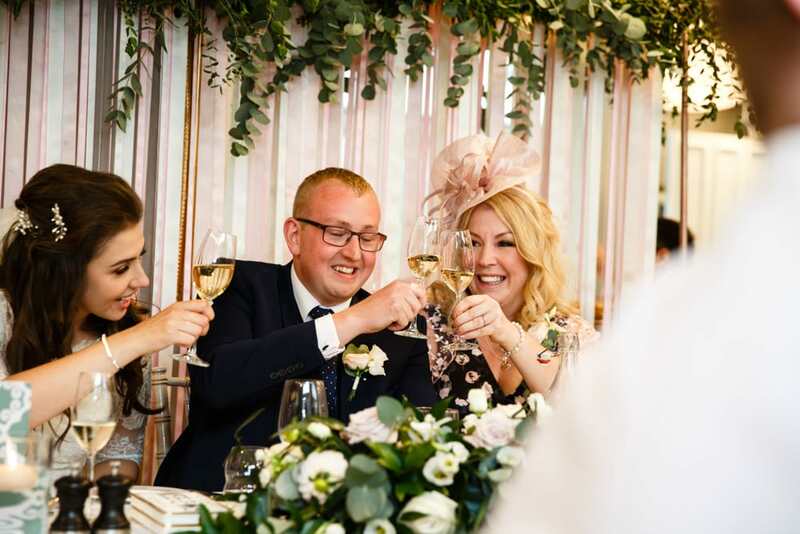 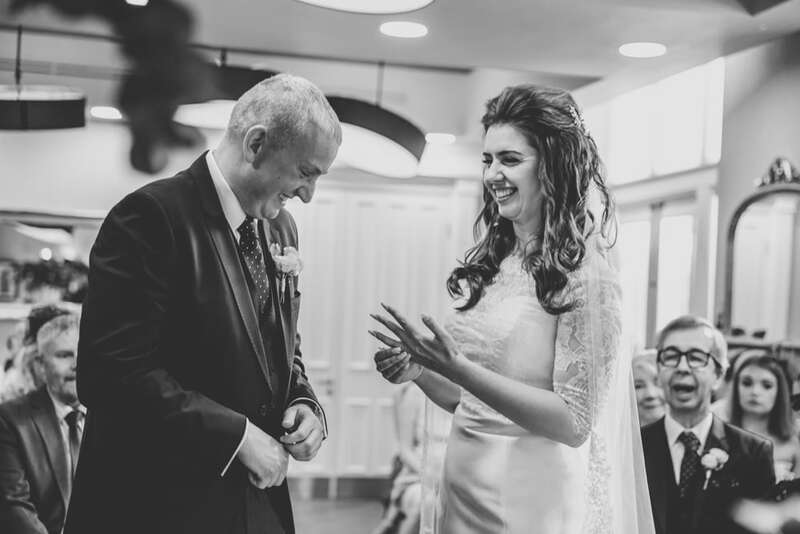 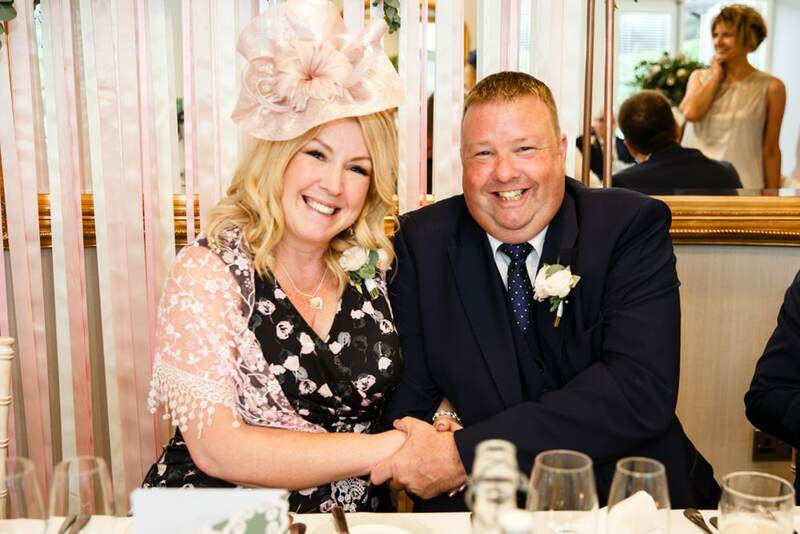 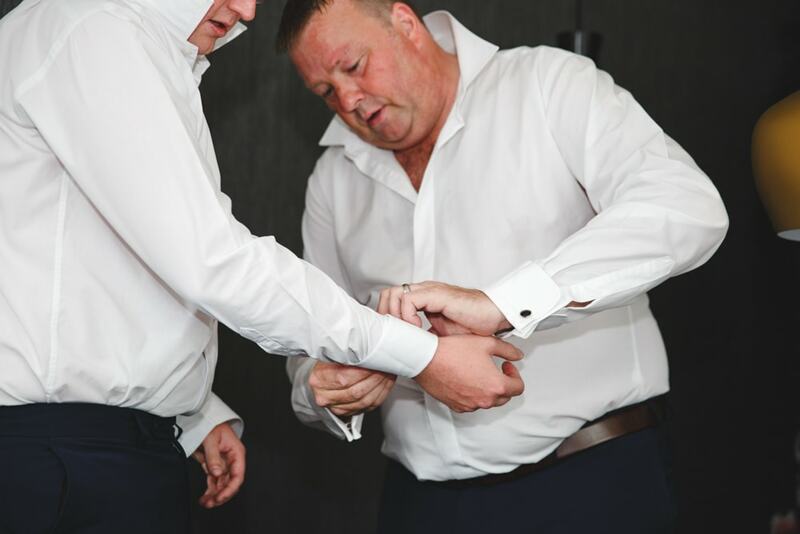 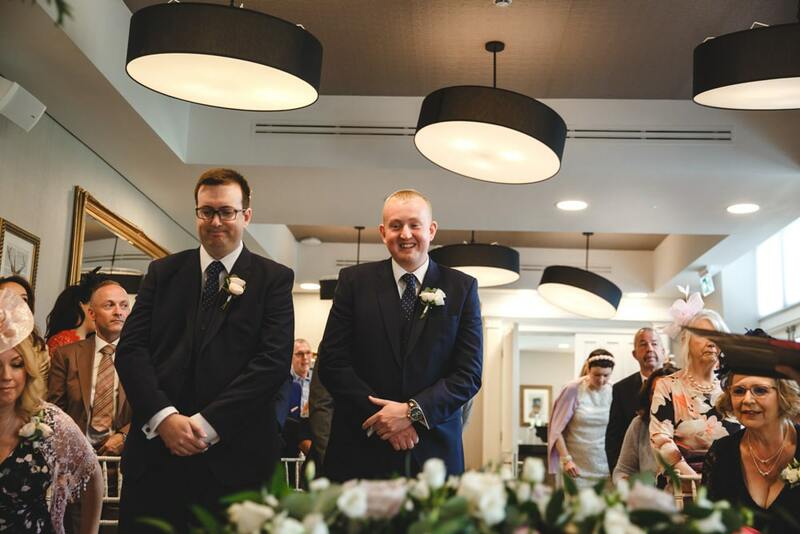 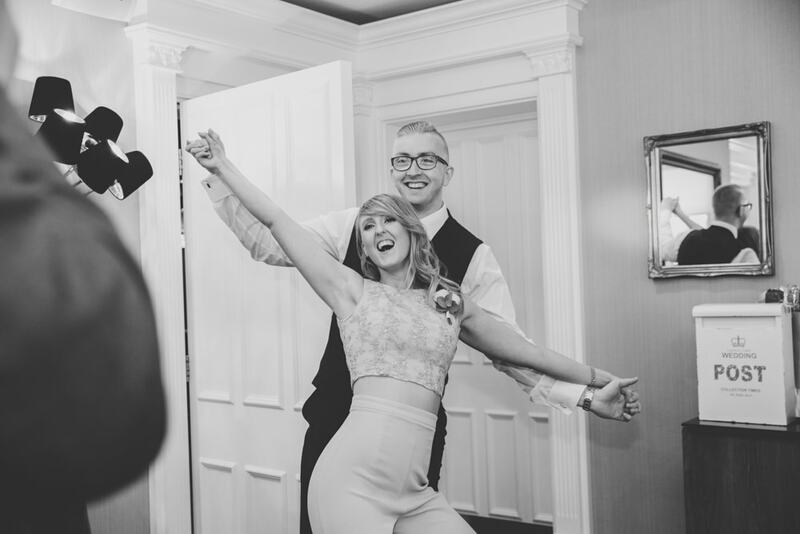 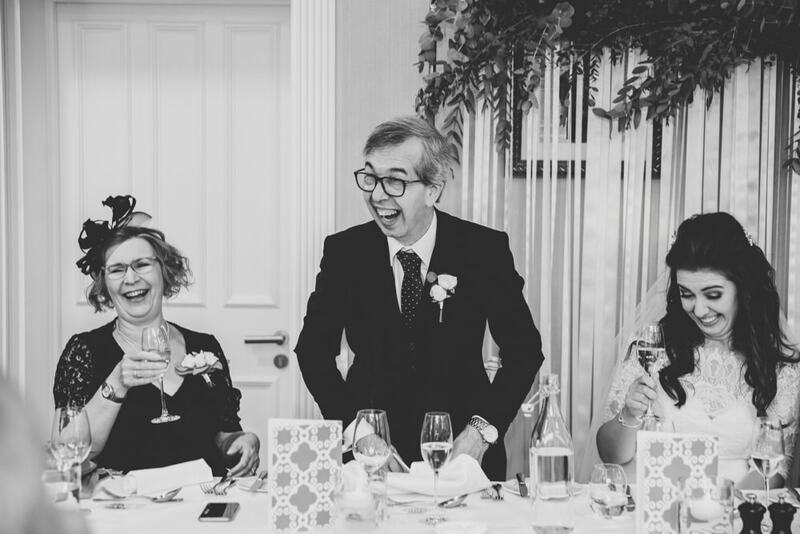 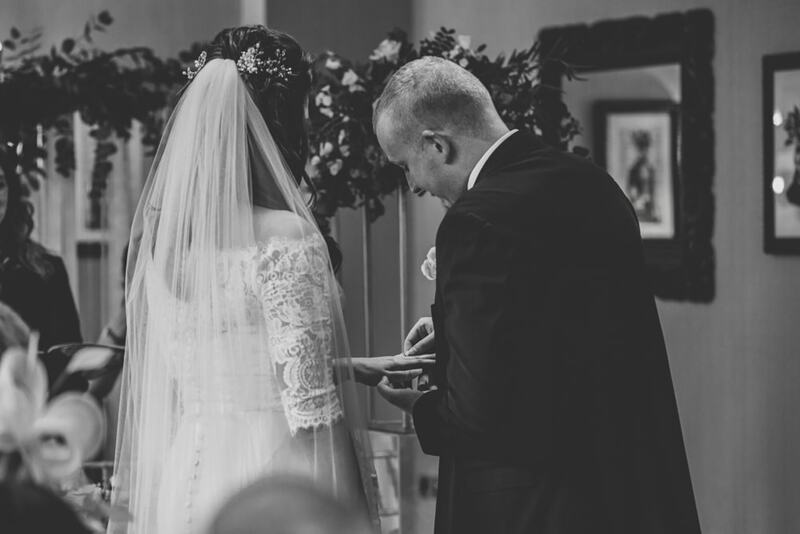 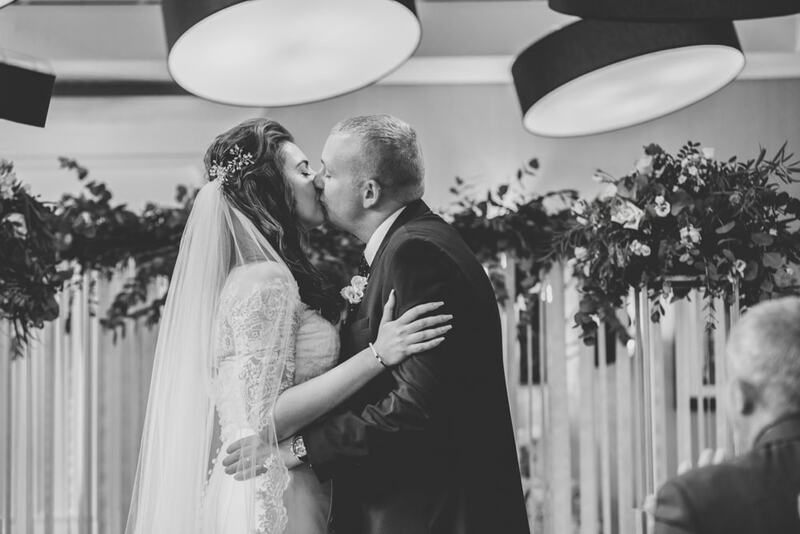 After meeting up a couple of times it was great to hear that on their wedding day Liam felt really comfortable with us just enjoyed himself and was able to relax around us, which is fantastic feedback. 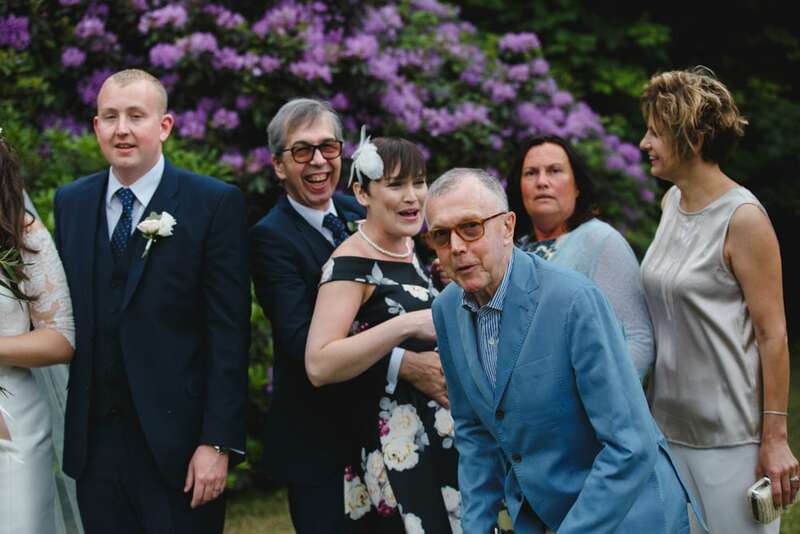 Laura had her heart set on a confetti shot, so we took a small group of friends off to find a space where confetti was allowed. 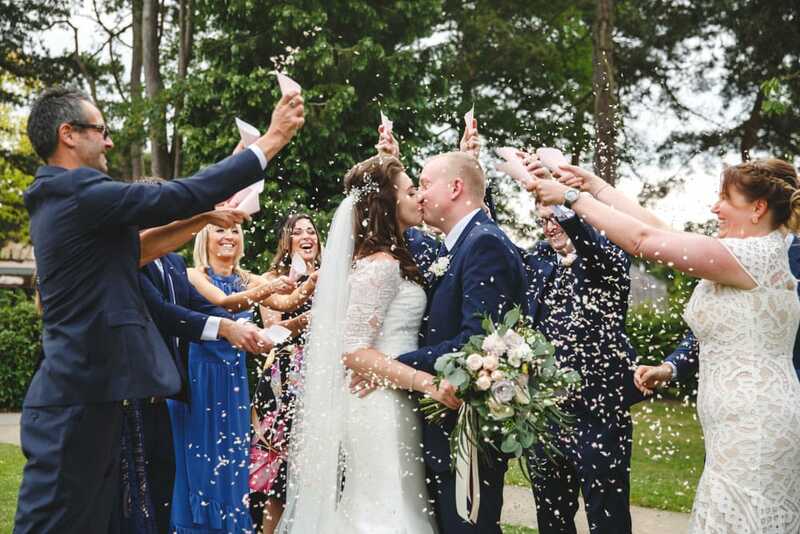 It is becoming more popular that confetti isn’t allowed, do make sure you check with your venue that confetti is allowed, don’t just assume as you could be disappointed. 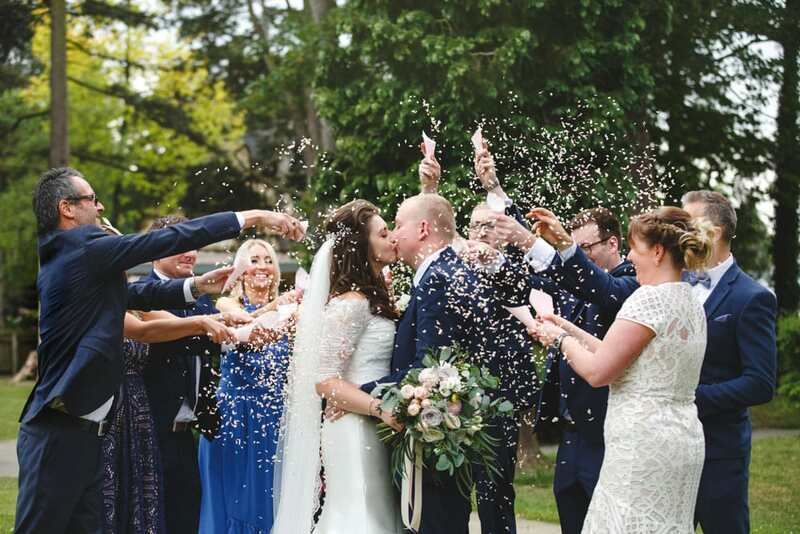 After discussing this shot with Laura + Liam we were able to find an alternative to throwing confetti at the venue so it’s worth checking. 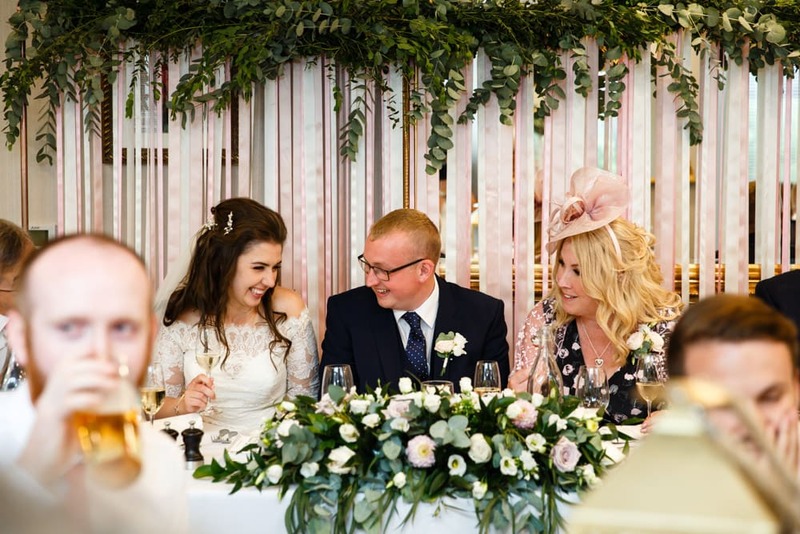 Laura + Liam had chosen a soft dusky pink and gold theme for their decor and it looked absolutely perfect. 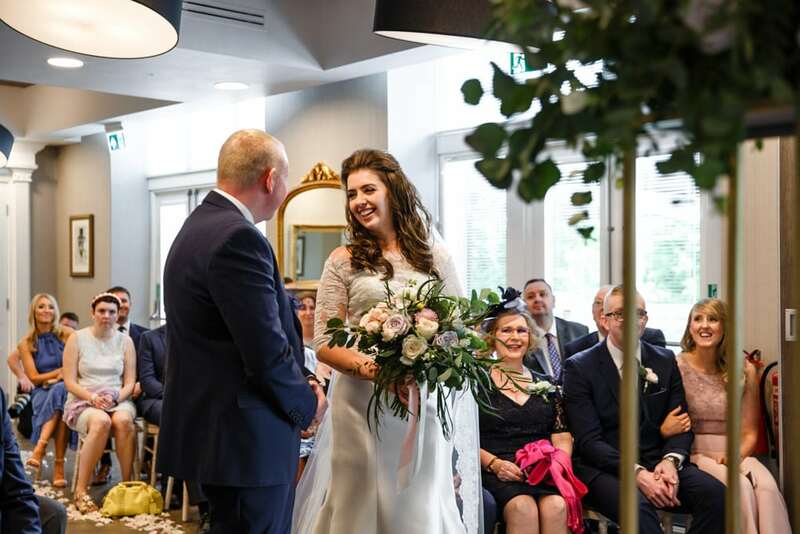 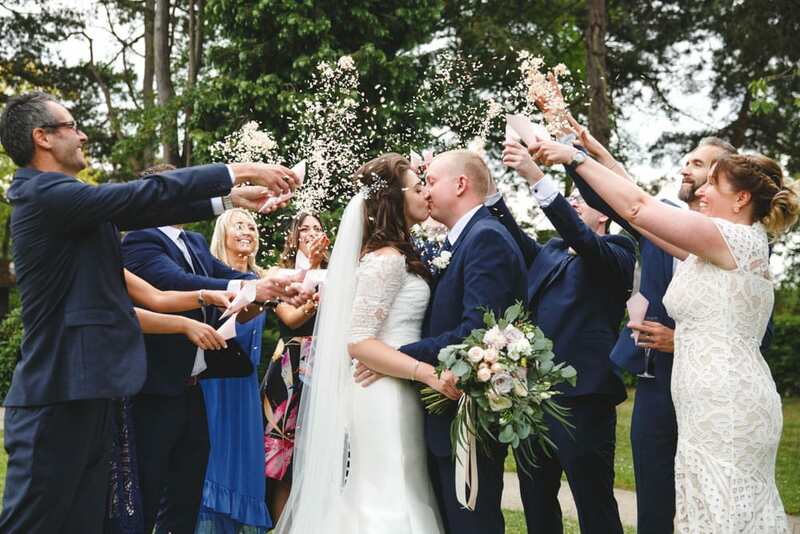 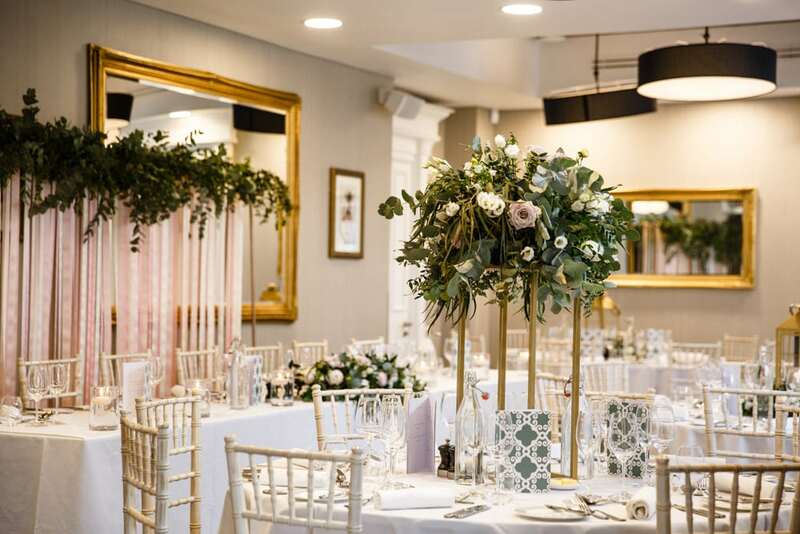 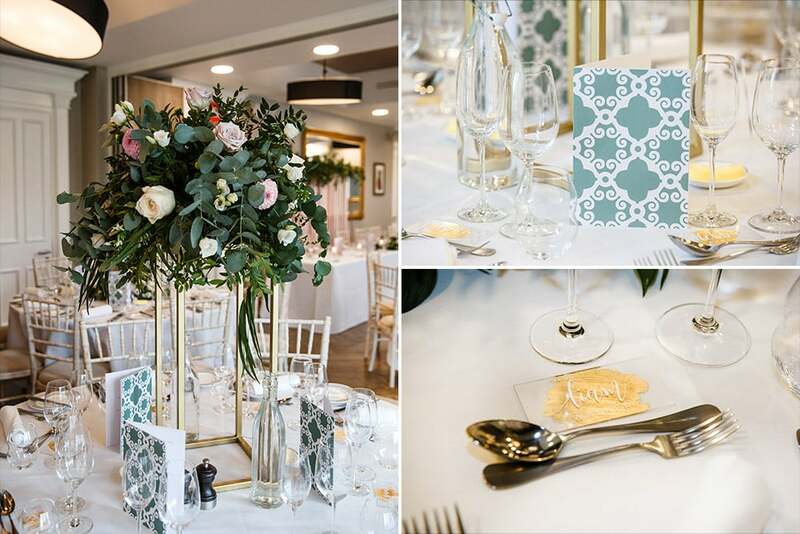 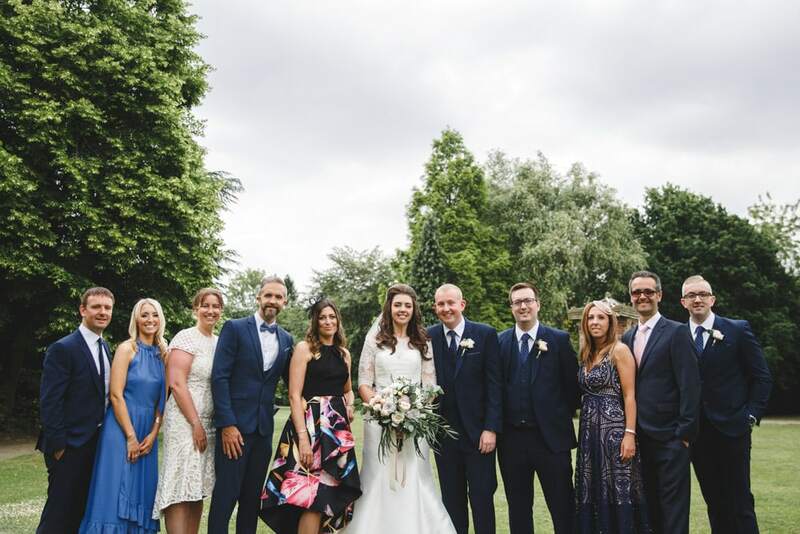 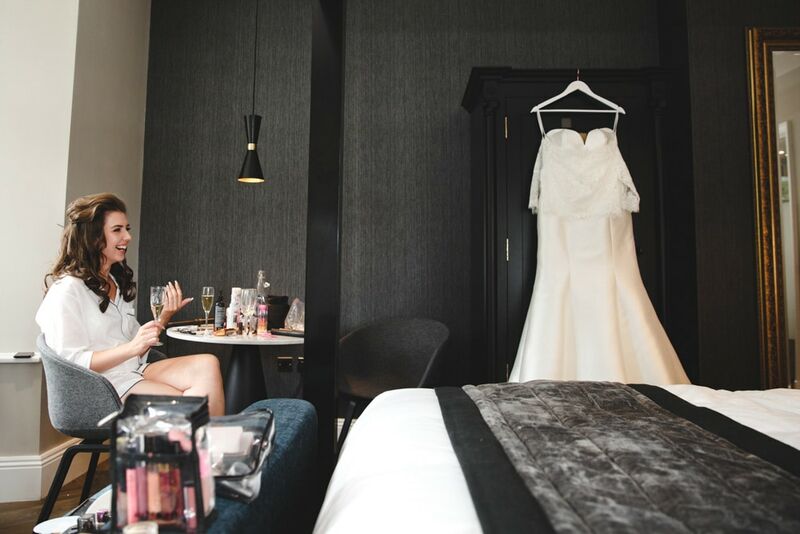 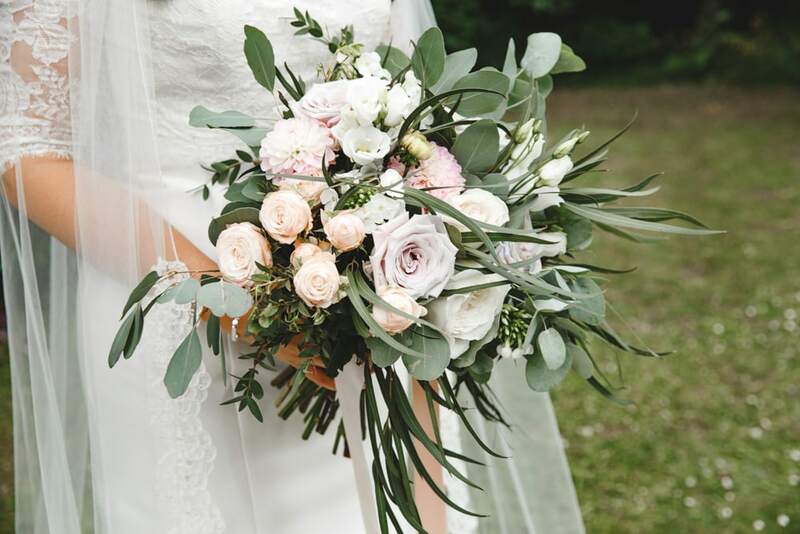 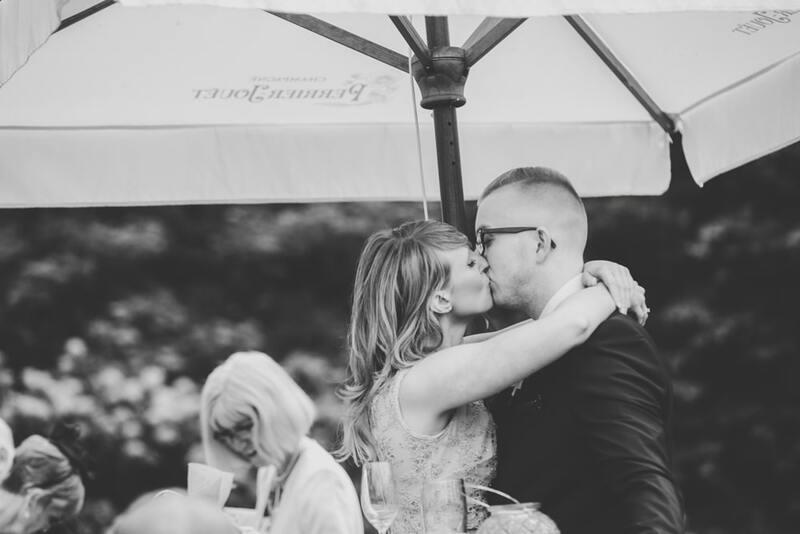 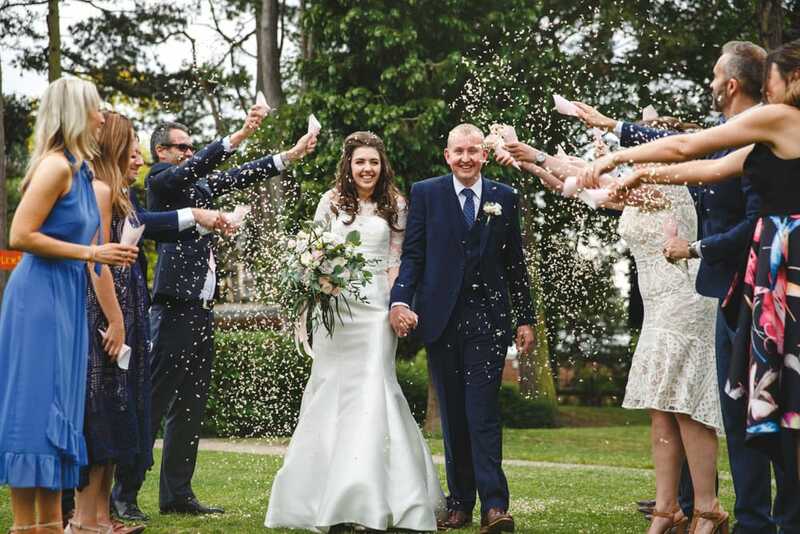 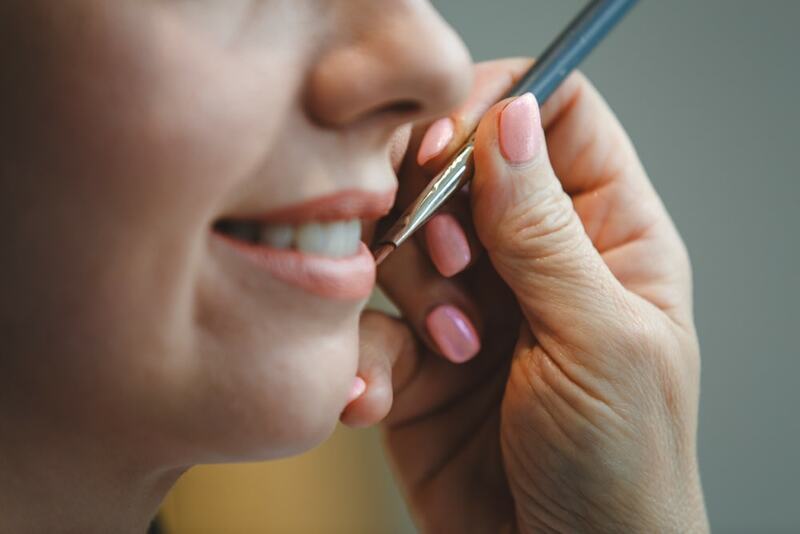 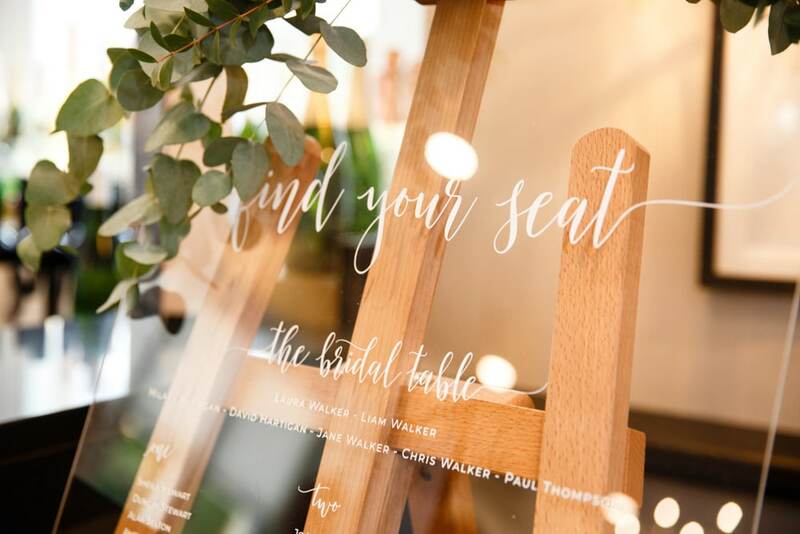 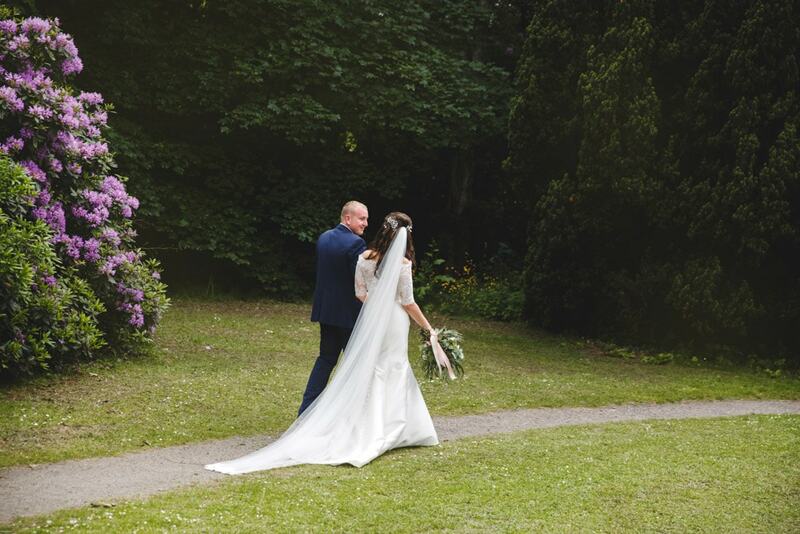 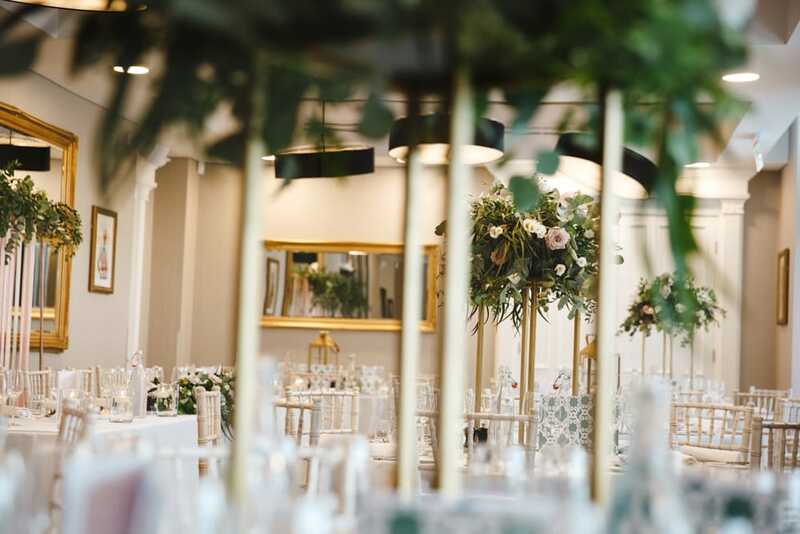 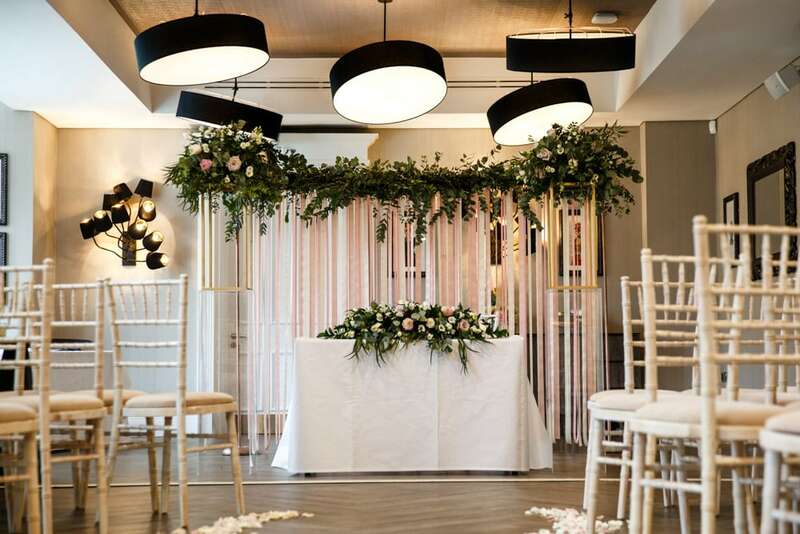 Oddfellows On The Park has that blank canvas that you want as a couple and the choose of colour schemes would be endless, we loved the natural choice of pink and gold that Laura + Liam decided upon. 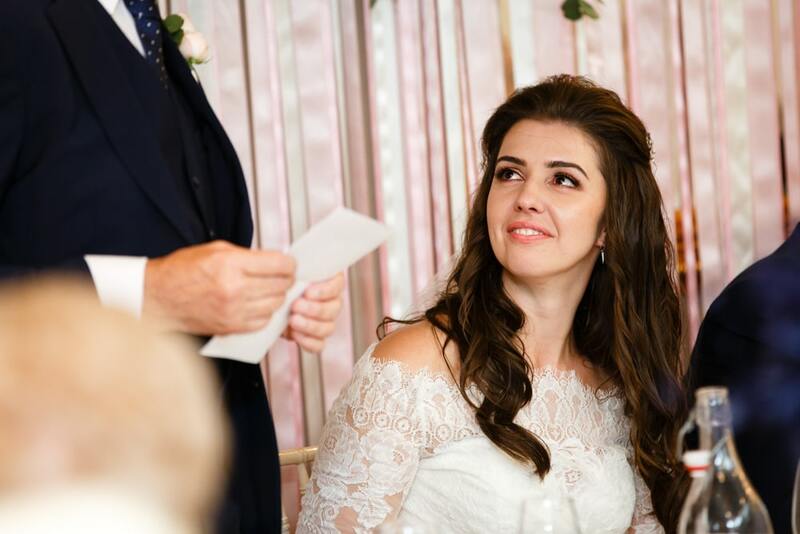 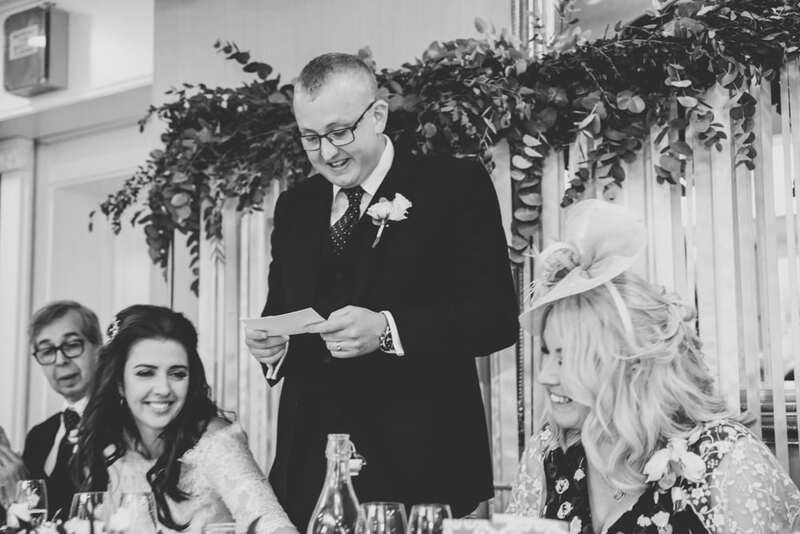 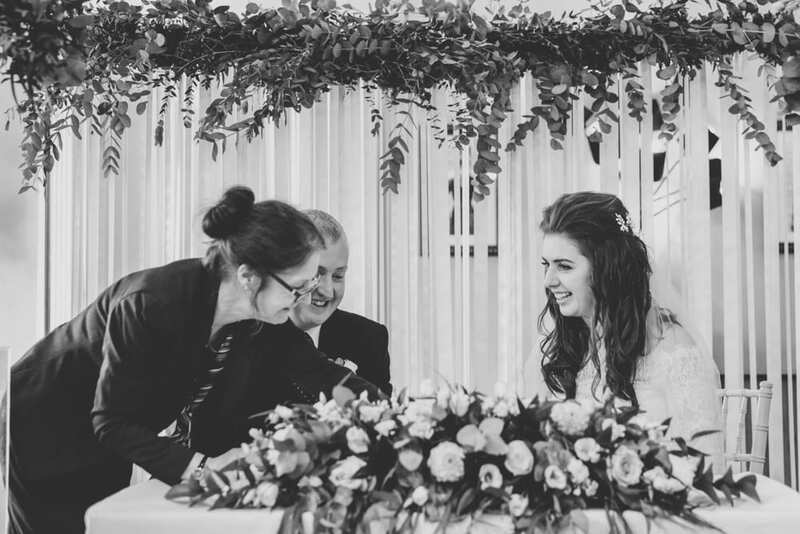 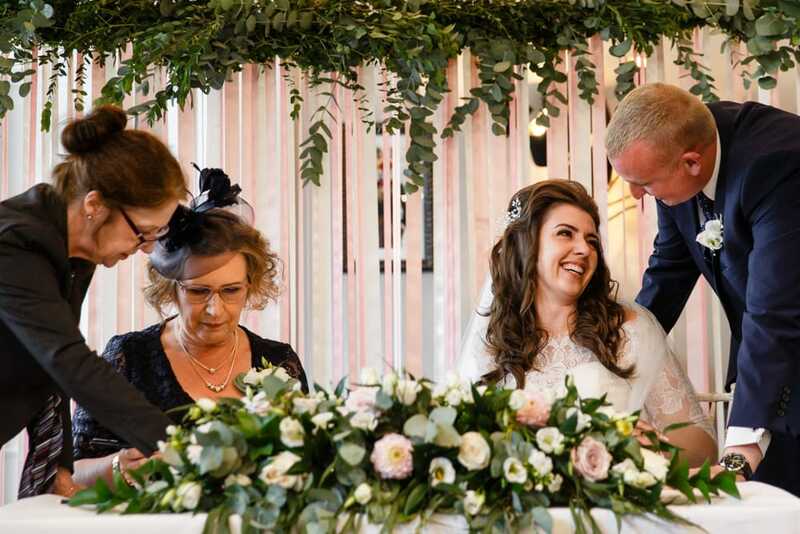 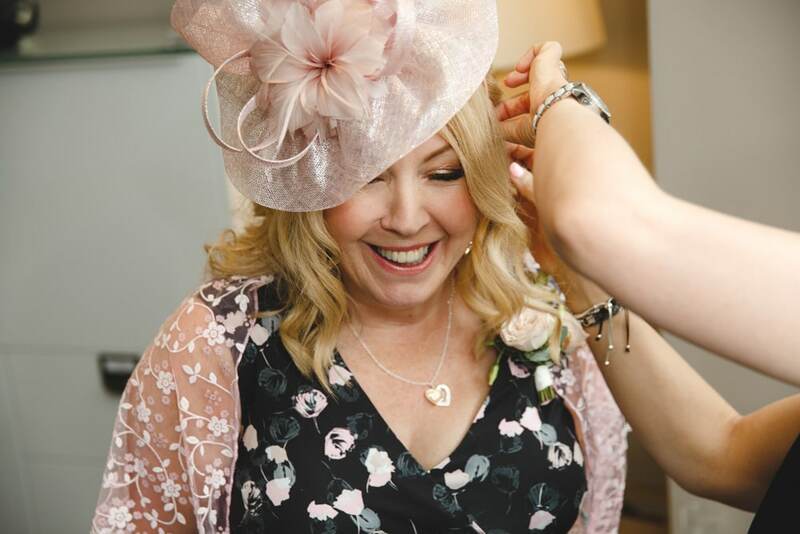 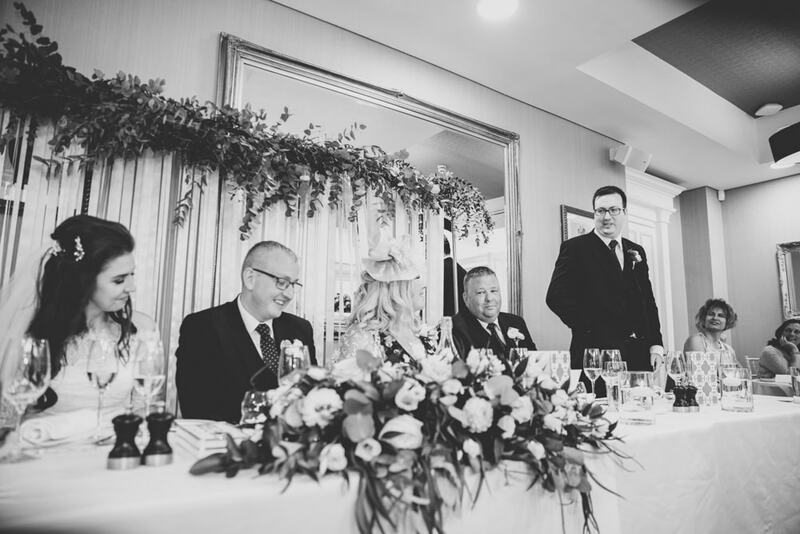 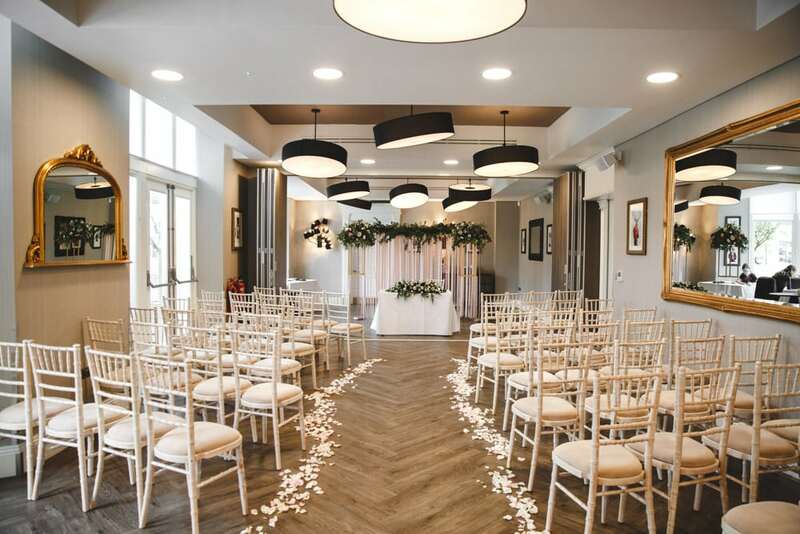 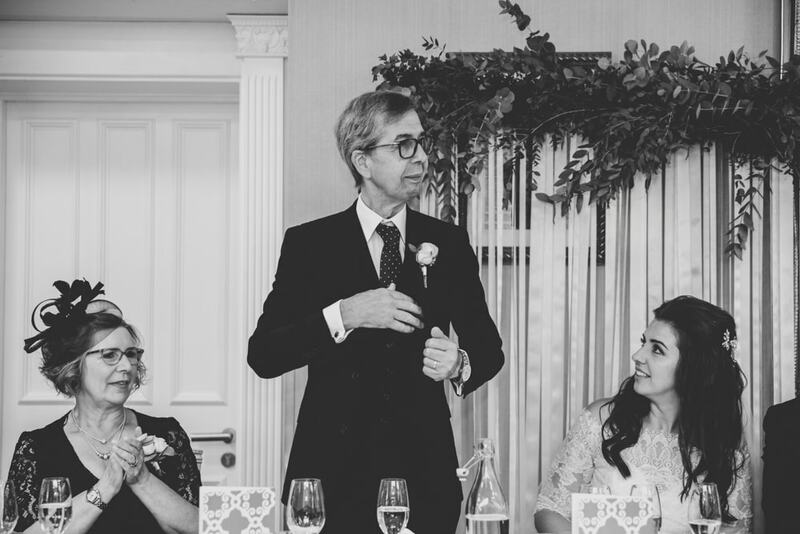 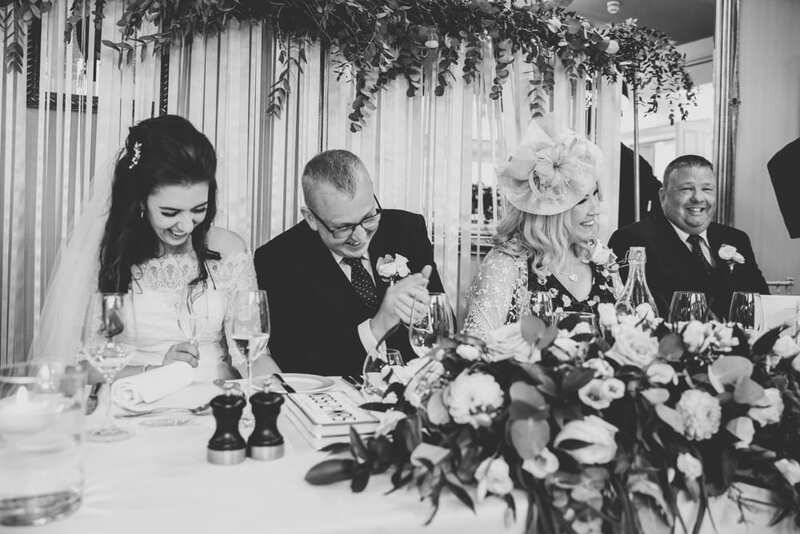 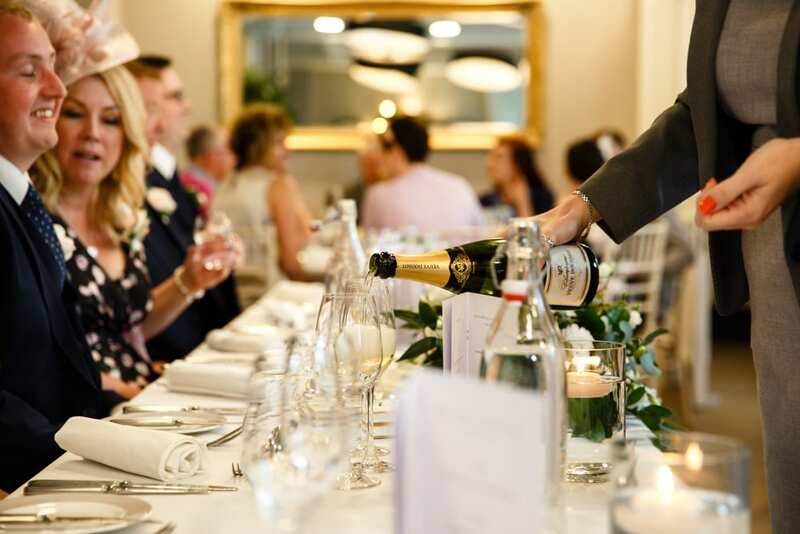 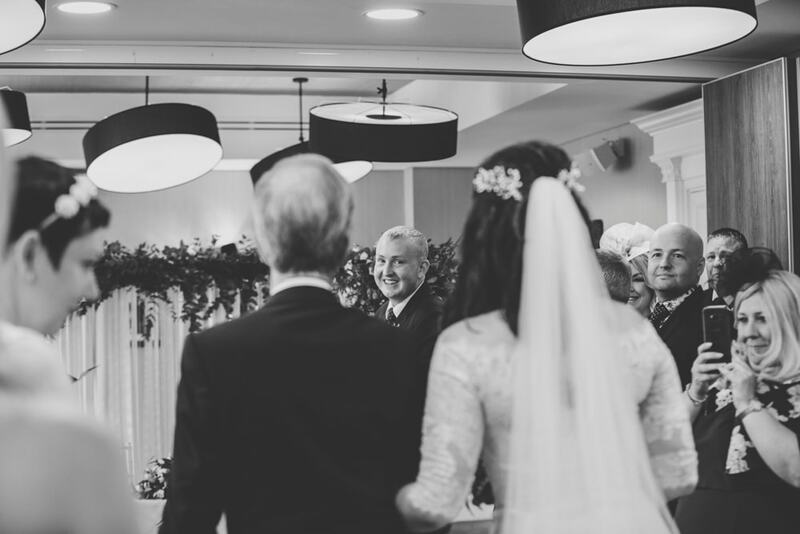 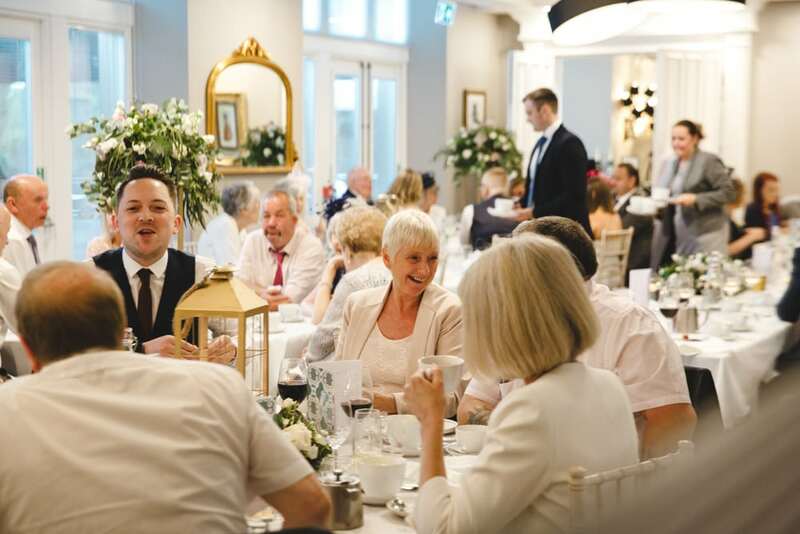 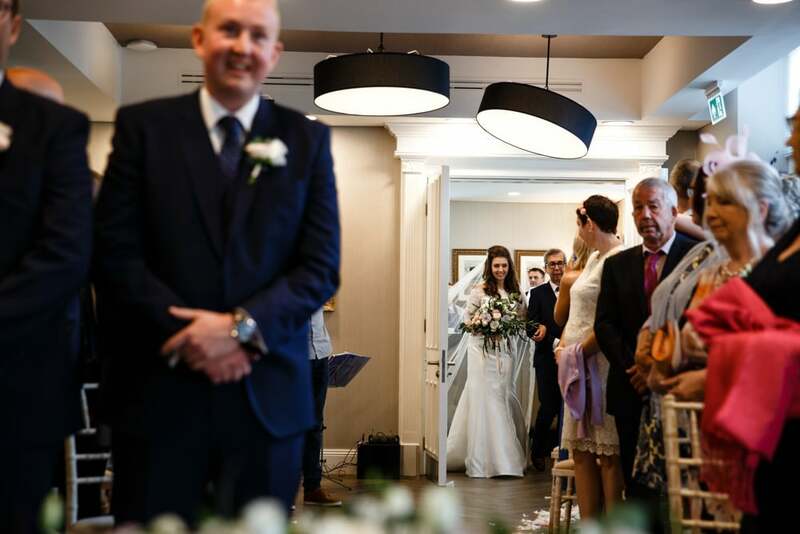 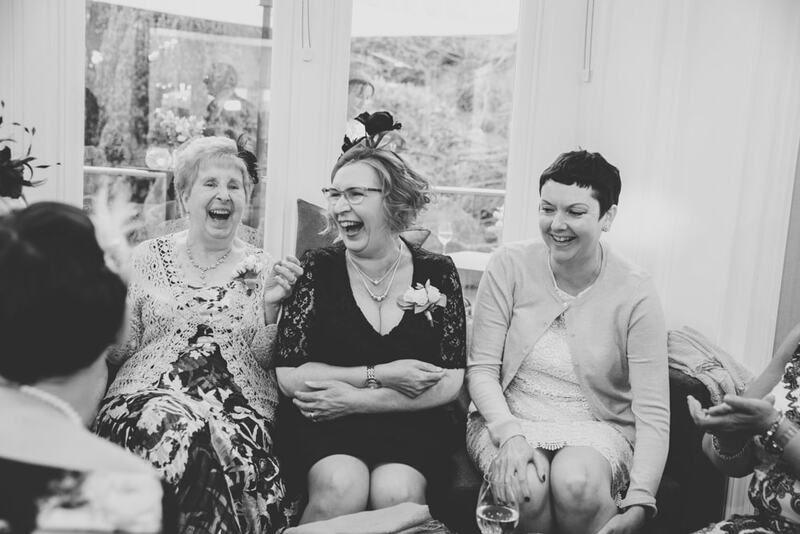 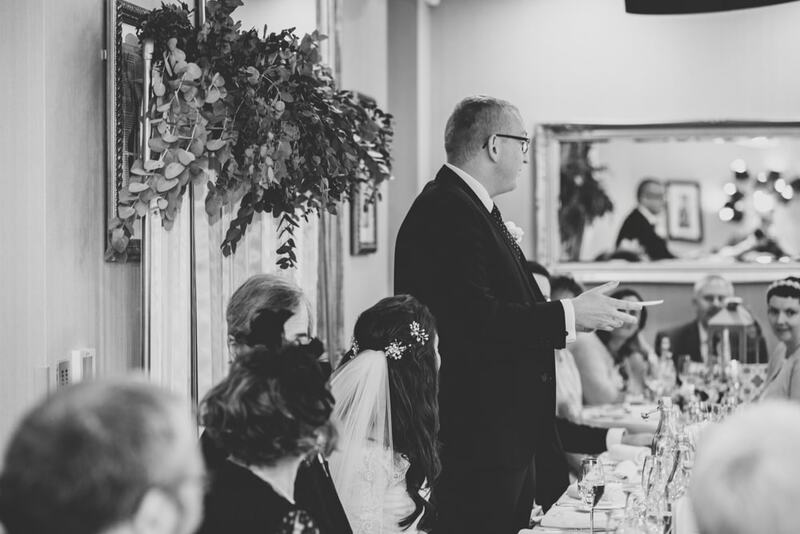 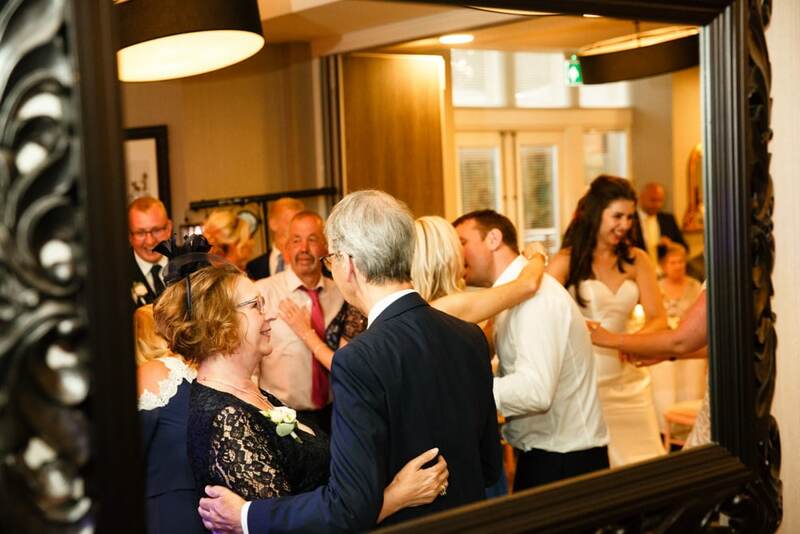 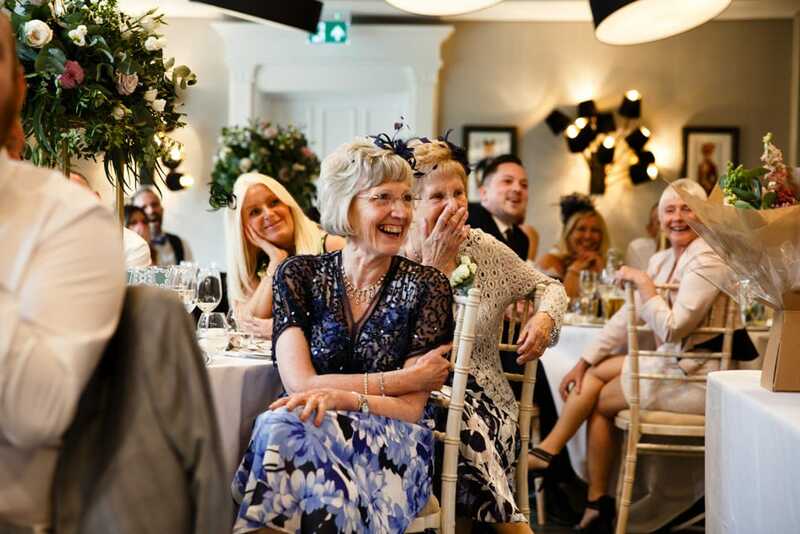 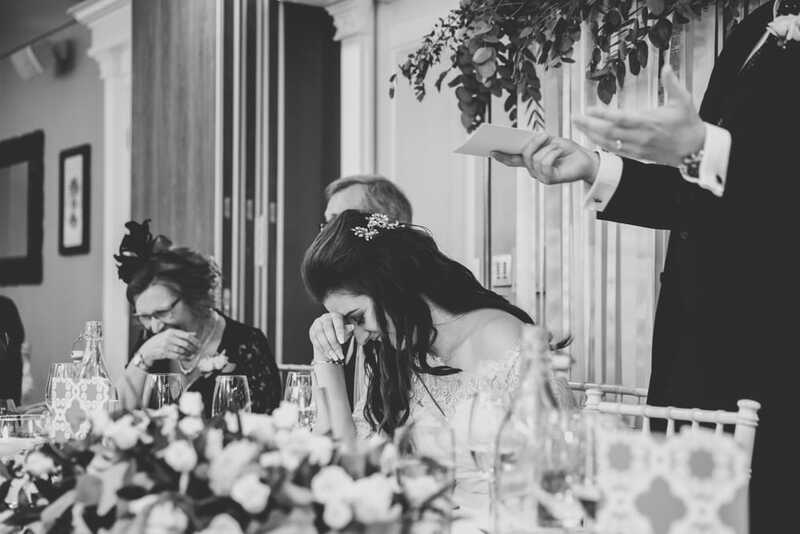 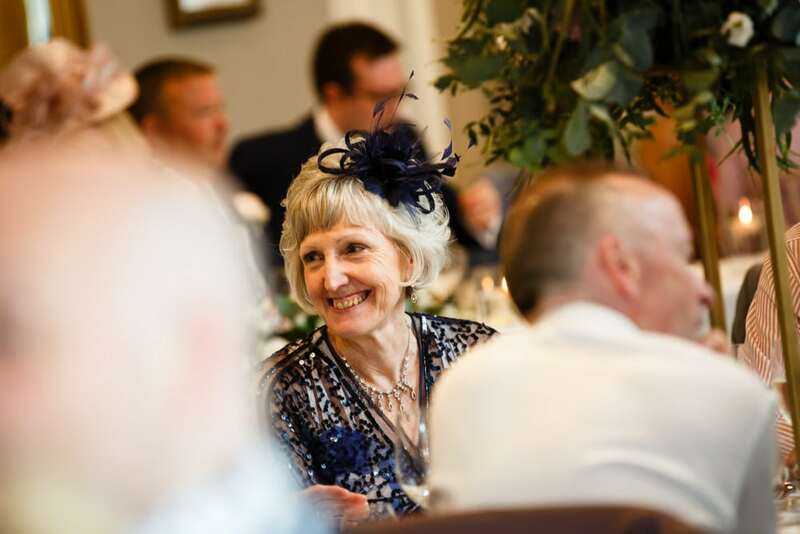 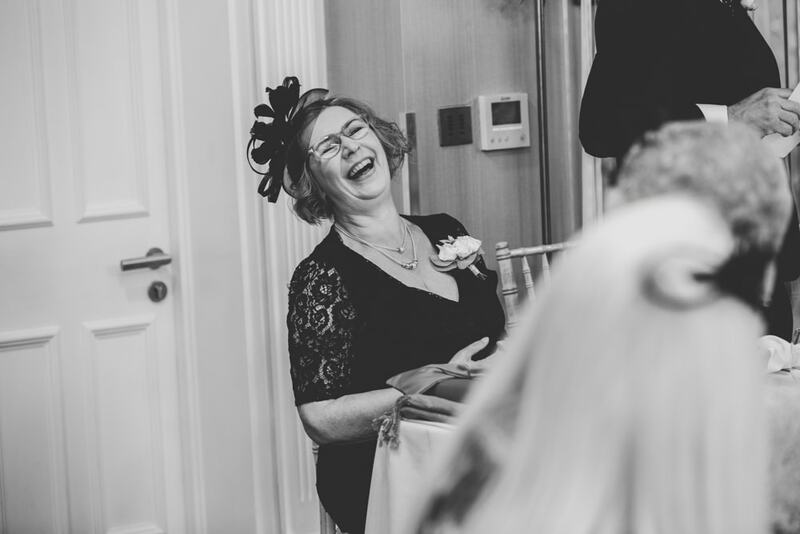 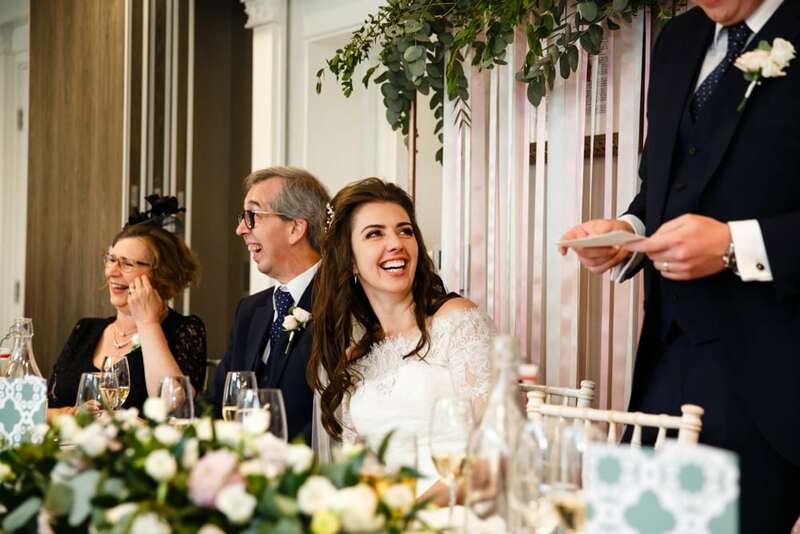 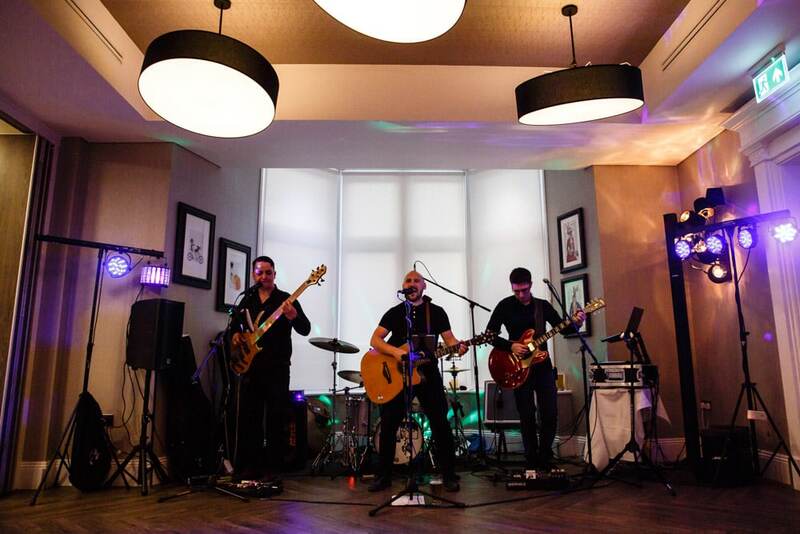 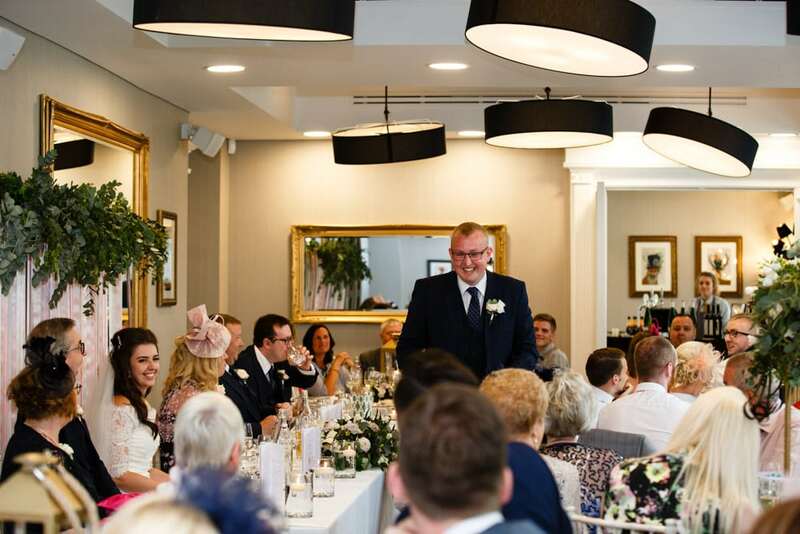 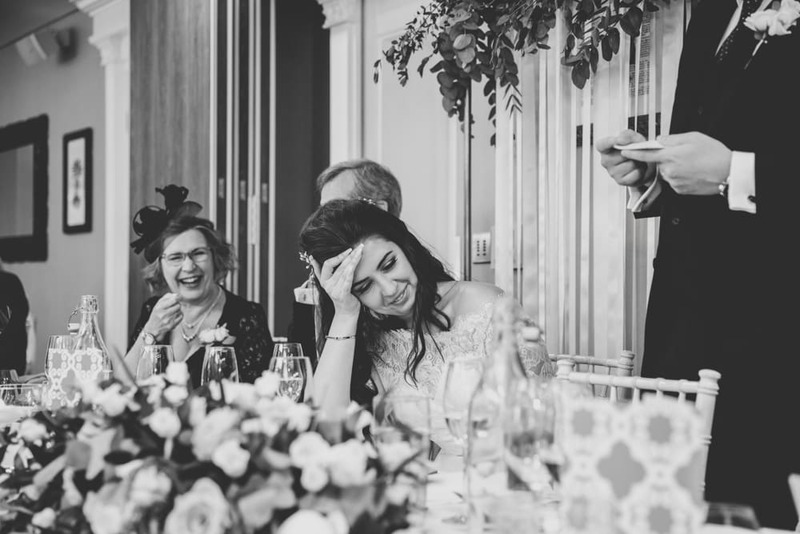 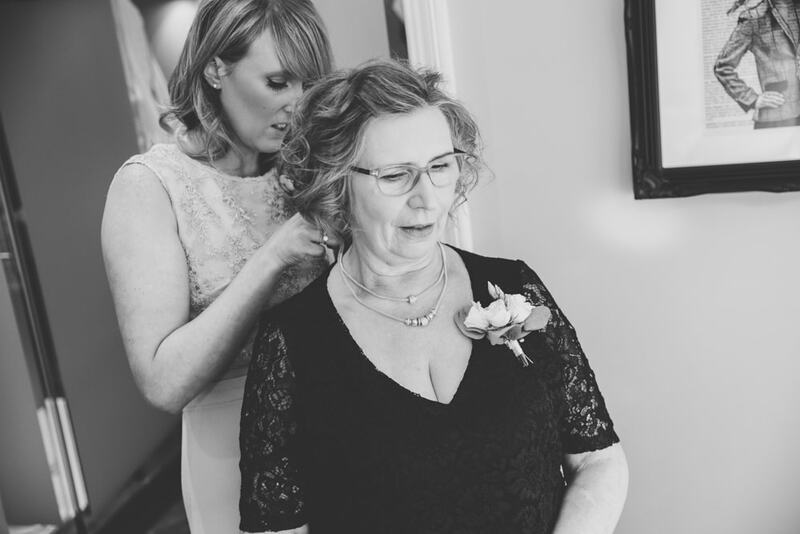 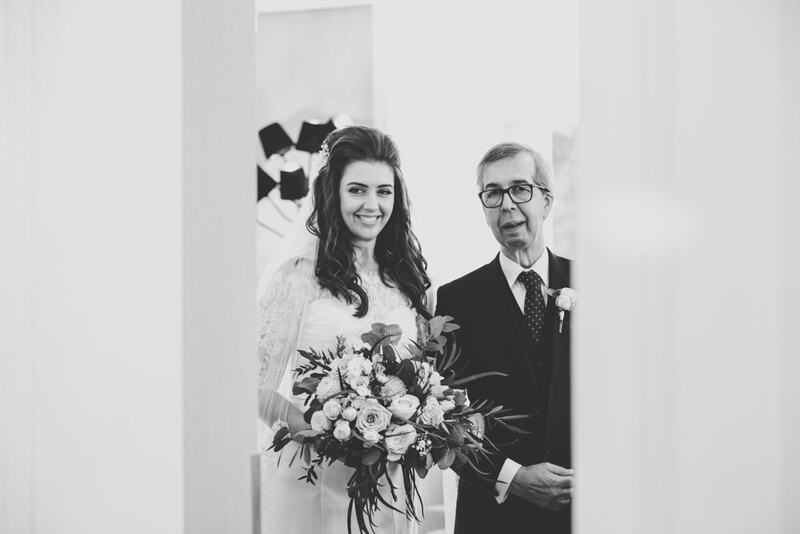 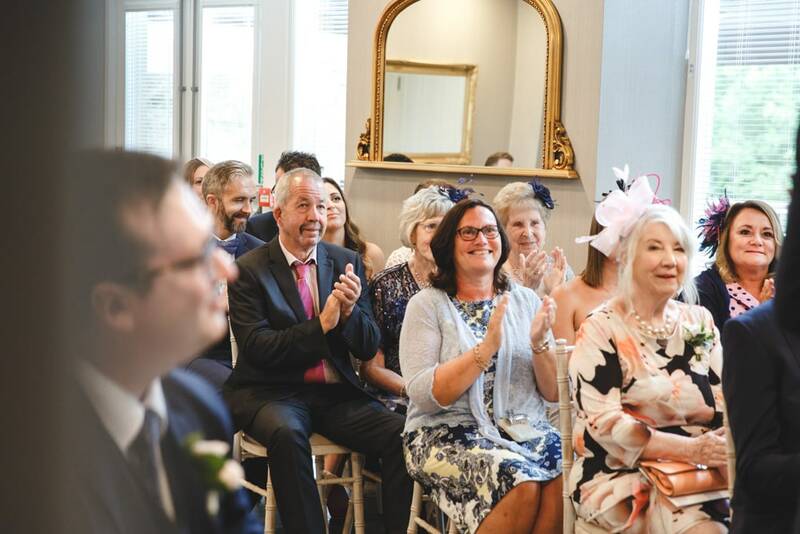 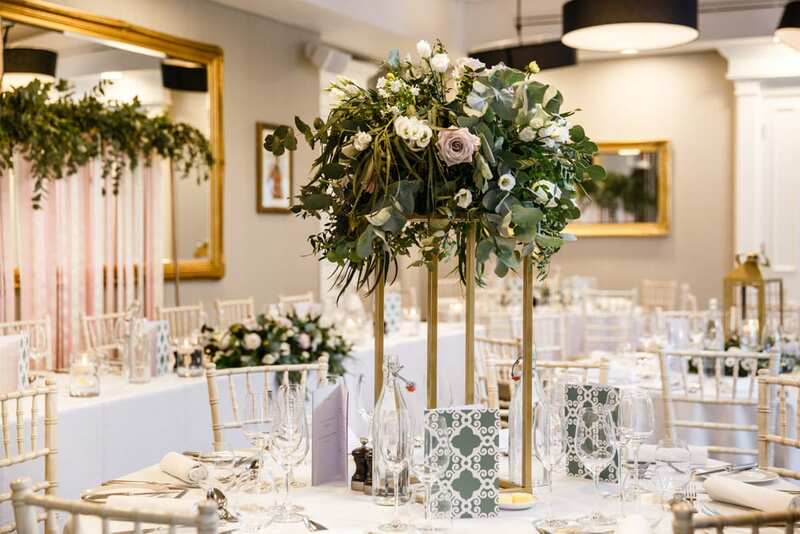 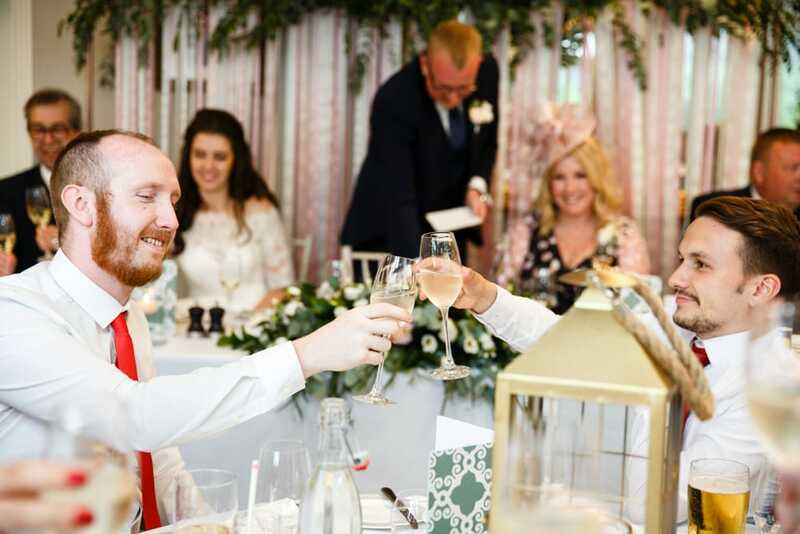 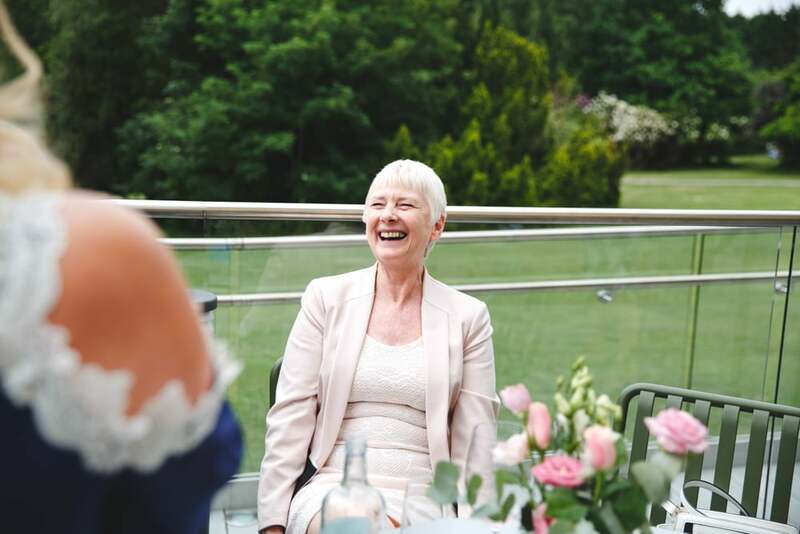 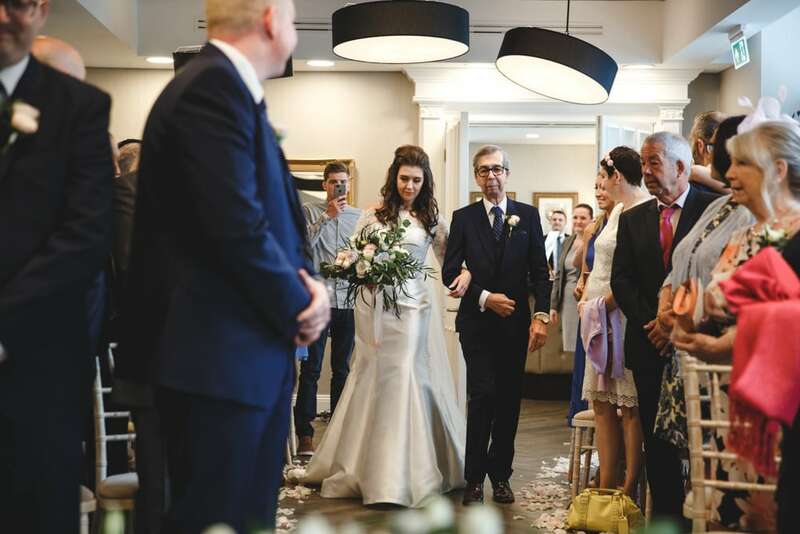 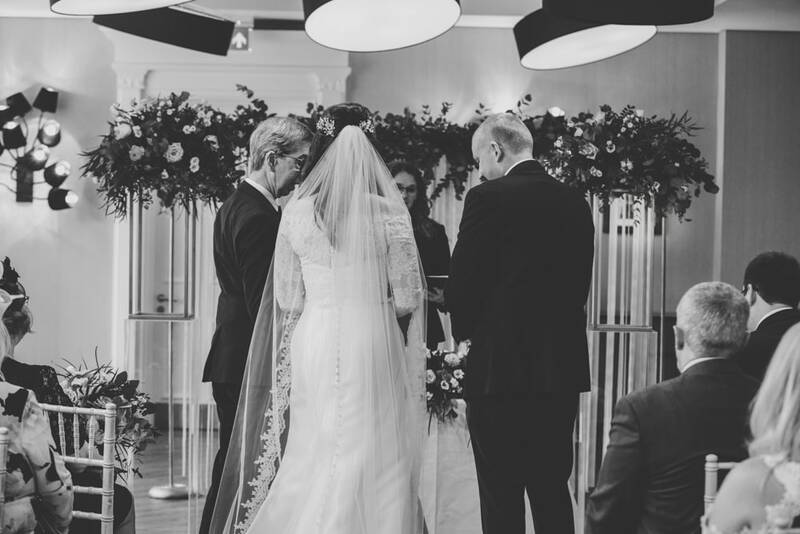 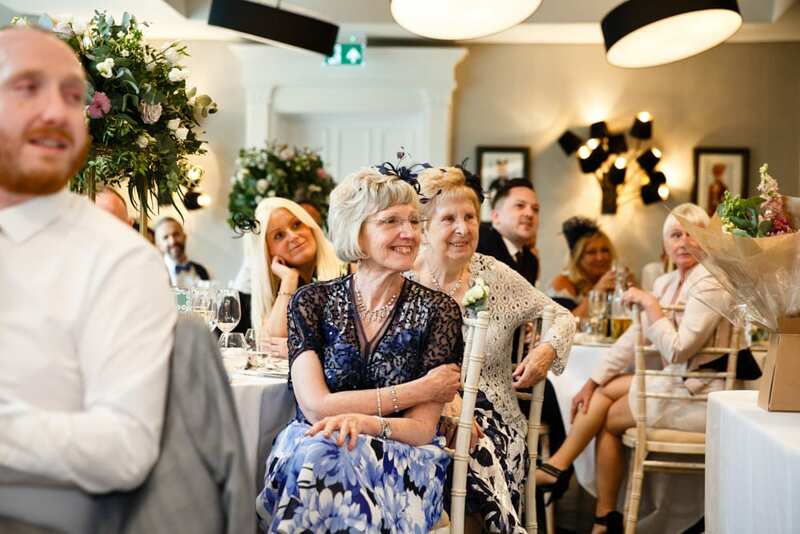 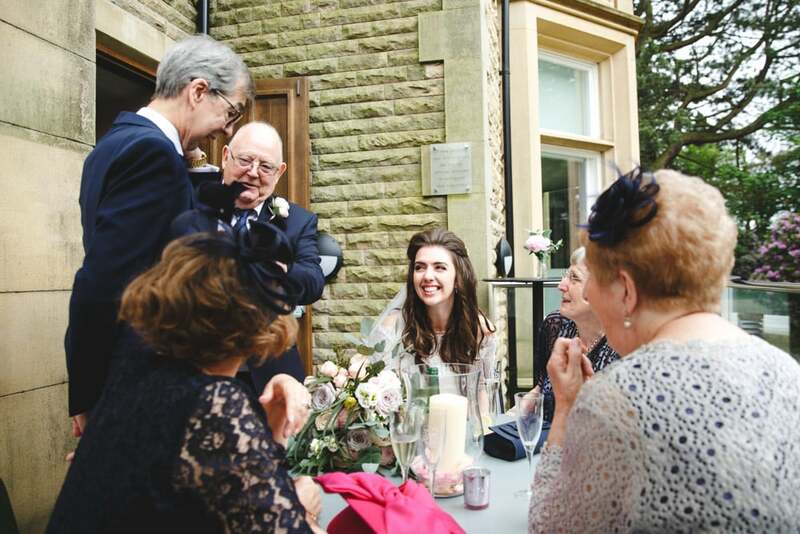 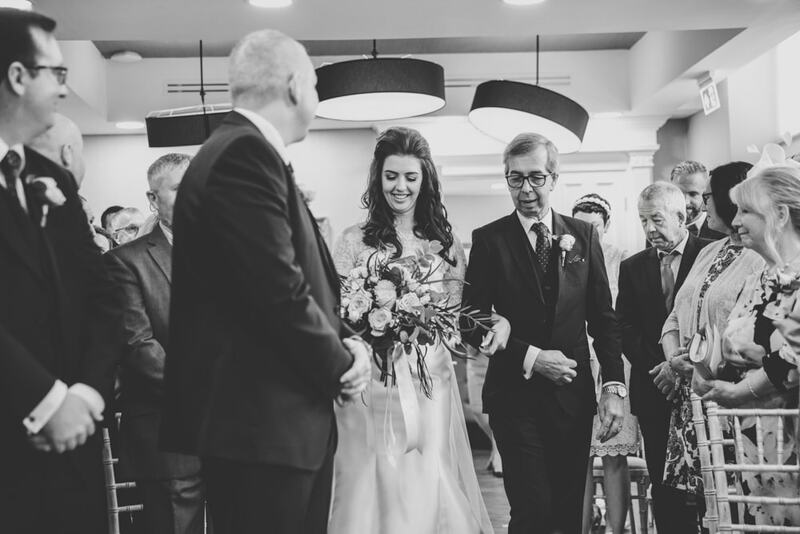 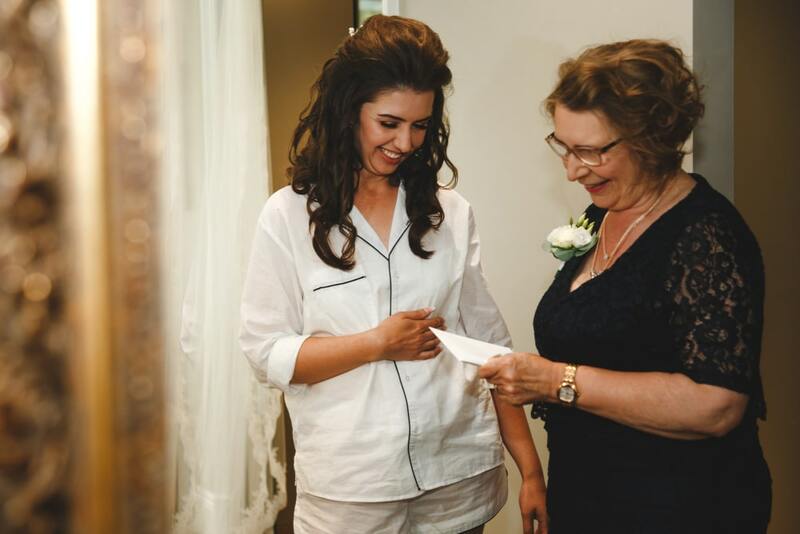 We particularly love the backdrop for the ceremony and top table, it reminded me of those fly catchers your gran used to have, such a wonderful idea that fit perfect with this modern, edgy, quirky venue. 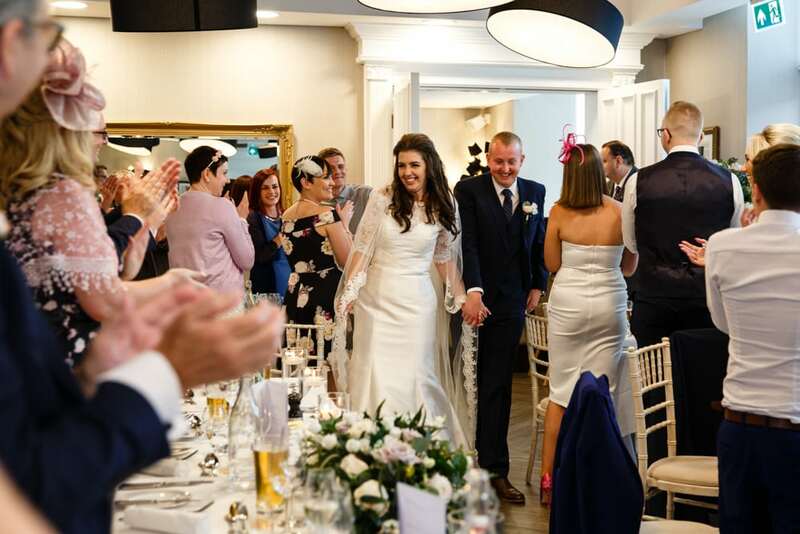 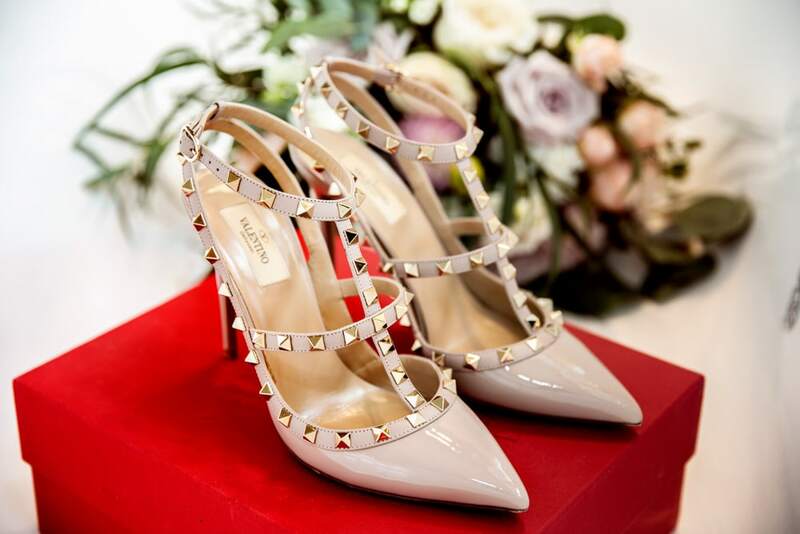 Thanks to all the amazing suppliers who helped make their dream day a reality.